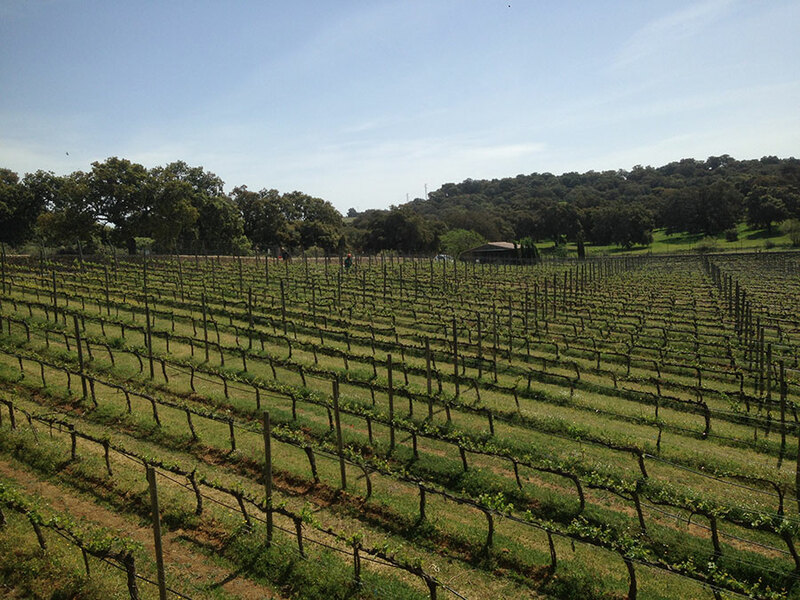 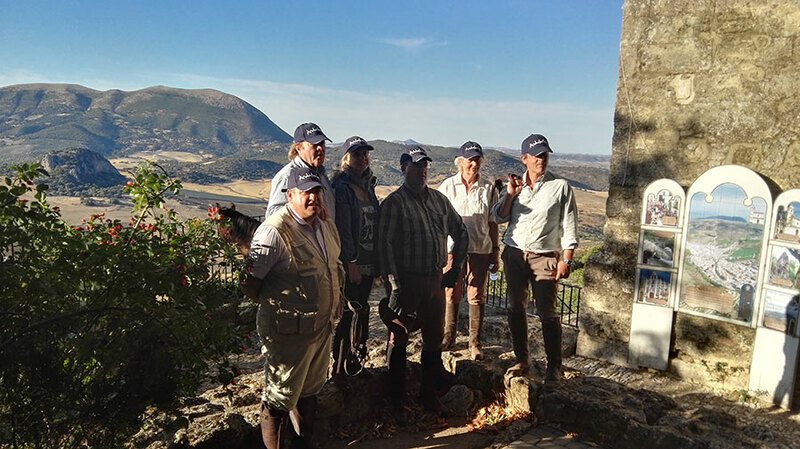 A route magic in that discover and enjoy of the Vereda Real of Osuna to round, touring a few unique places surrounded by impressive olive trees, Oaks, Cork oaks, dwarf and all the vegetation own of the mount under Mediterranean, with the exclusivity of walk next to the river Corbones until its birth, in the village of the Atalaya. 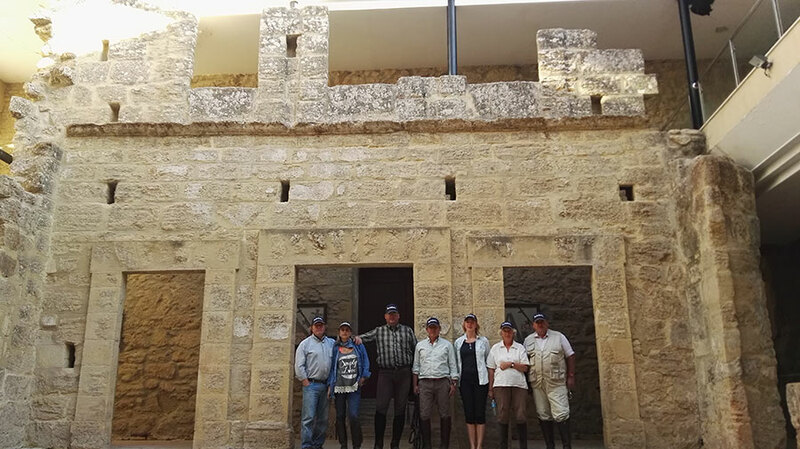 Crossing and walk-in in farms of bravos, tame and stud farms, opening and closing many gates are found during the tour, from a distance of 80 km. 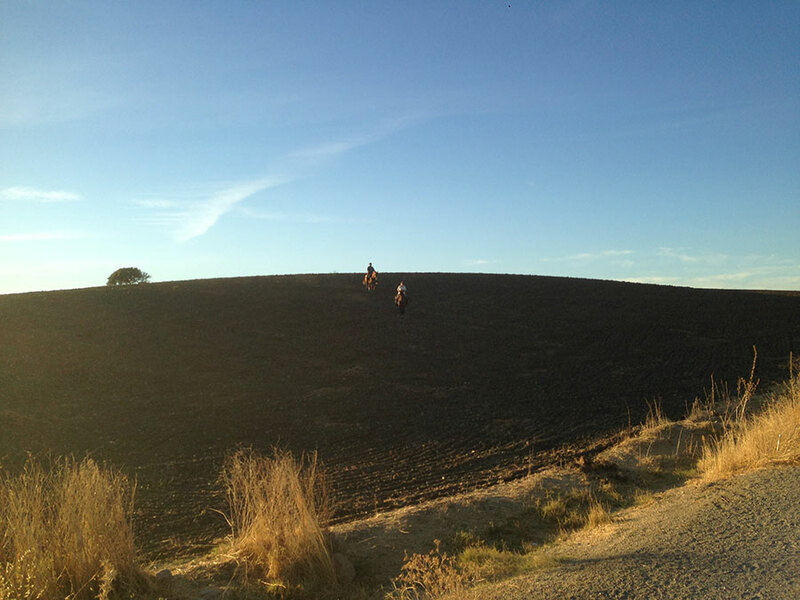 approximately. 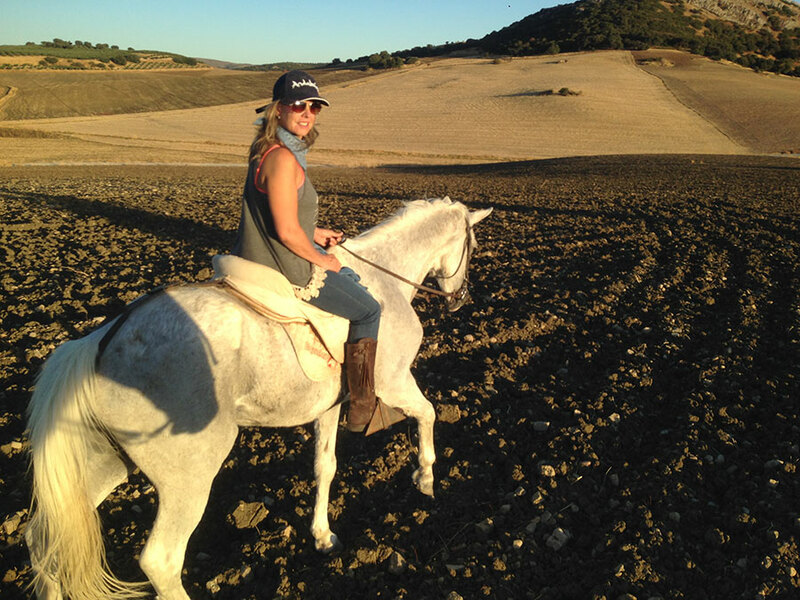 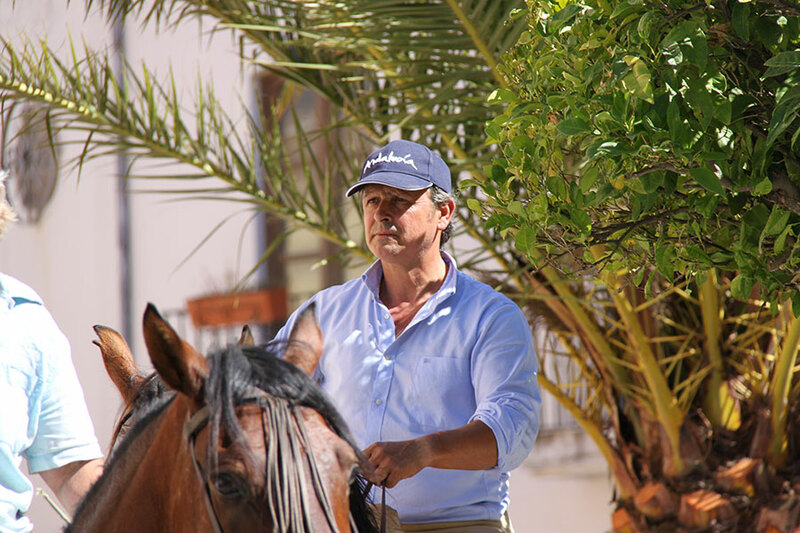 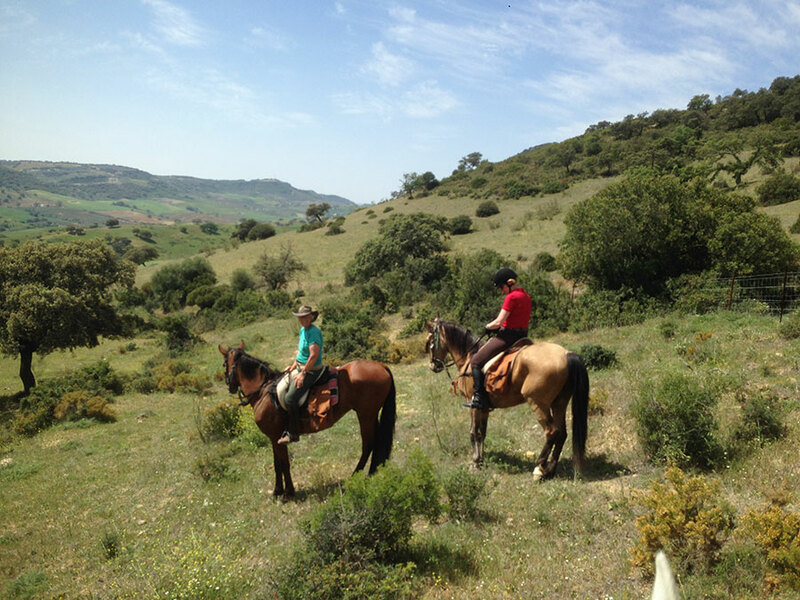 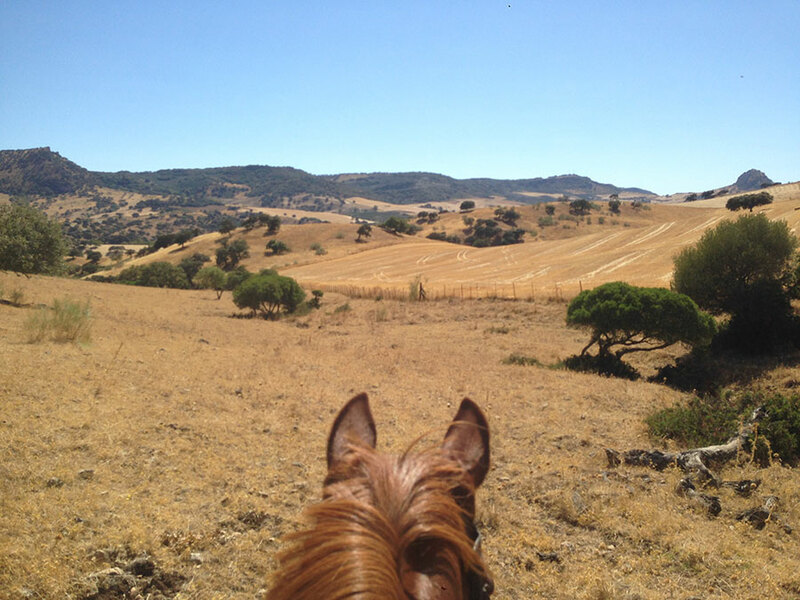 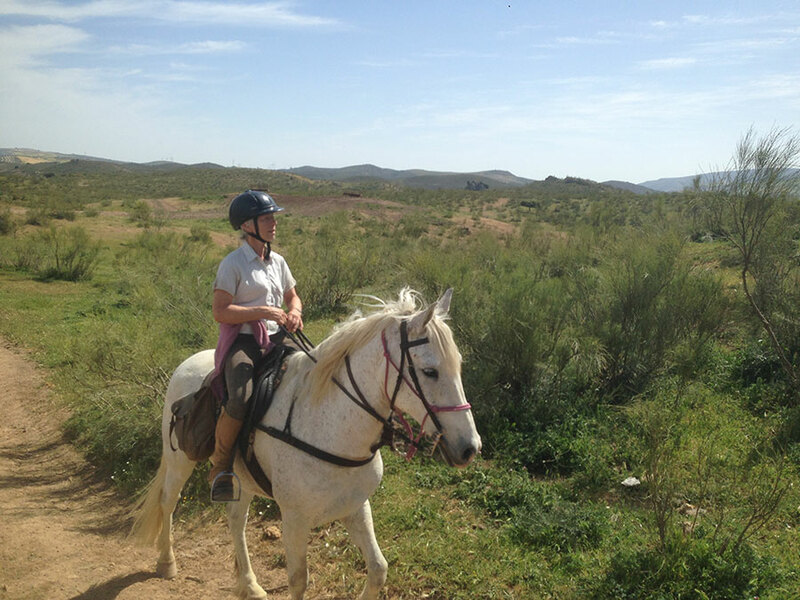 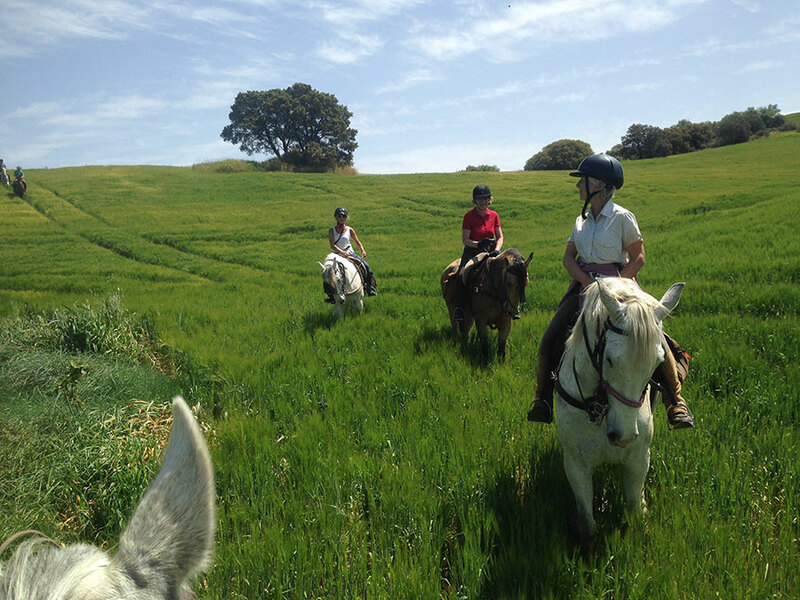 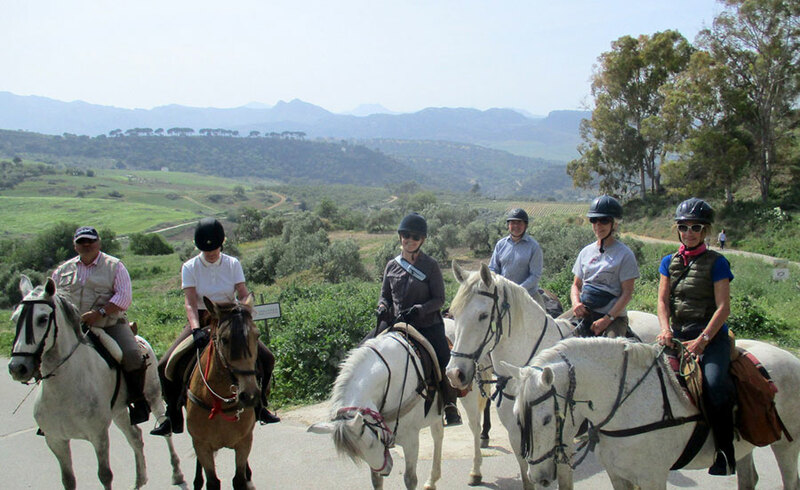 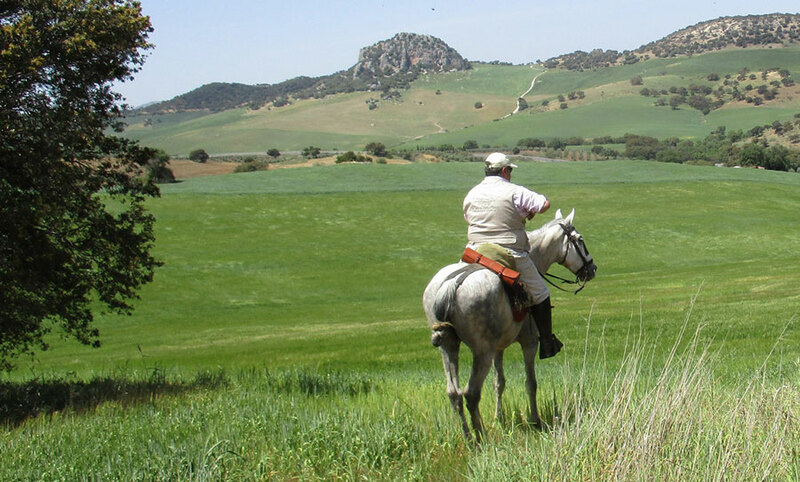 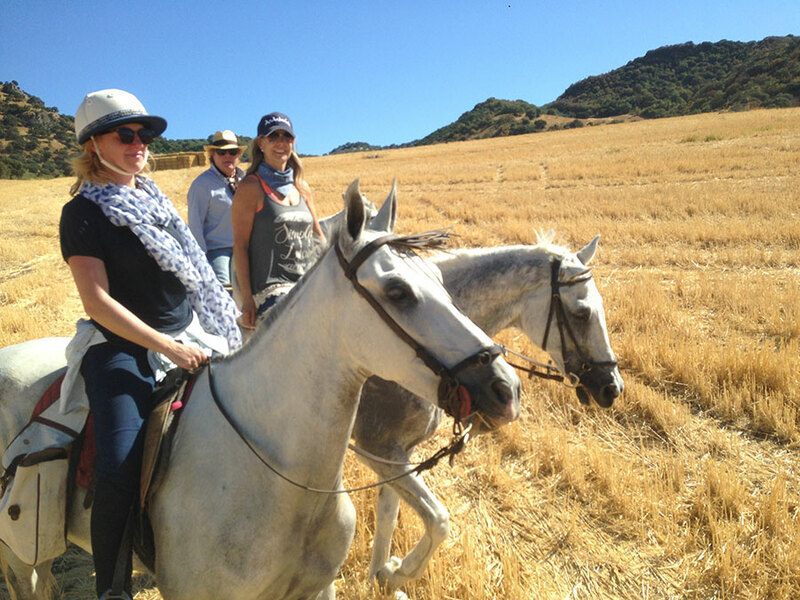 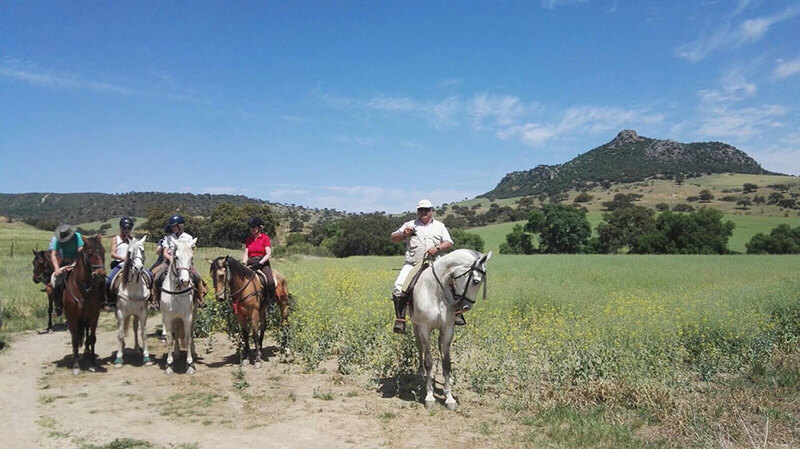 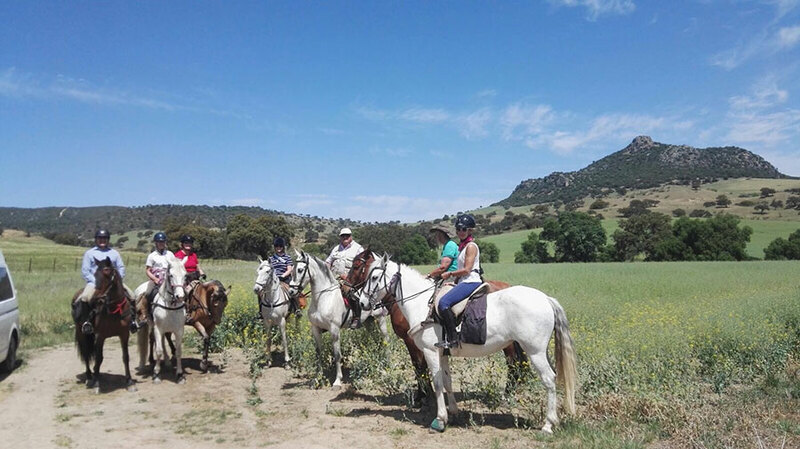 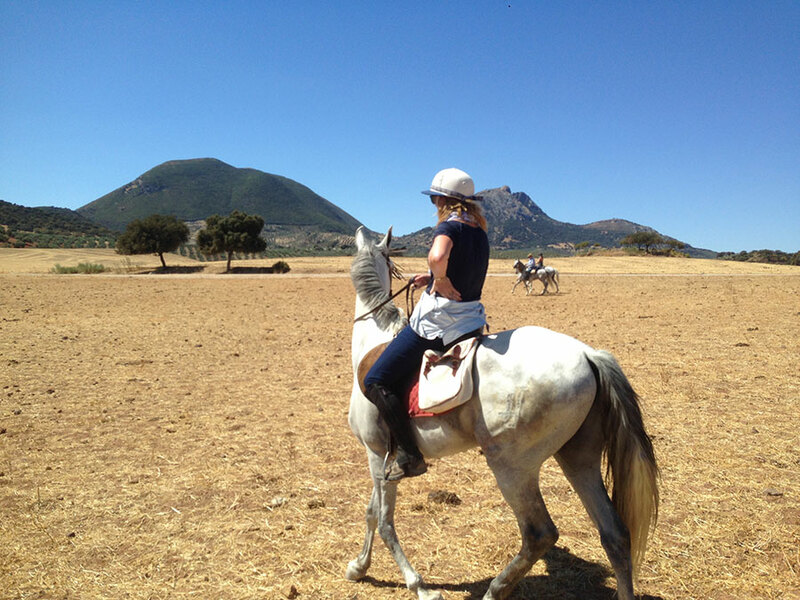 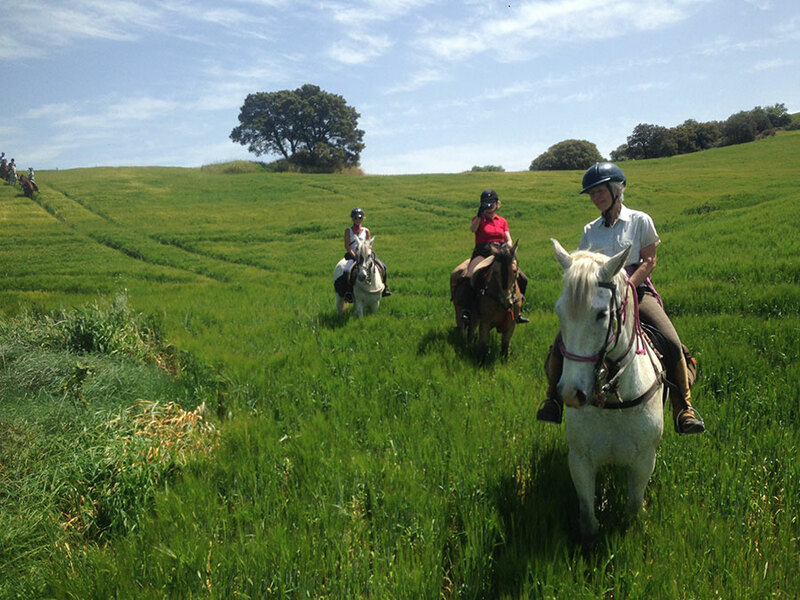 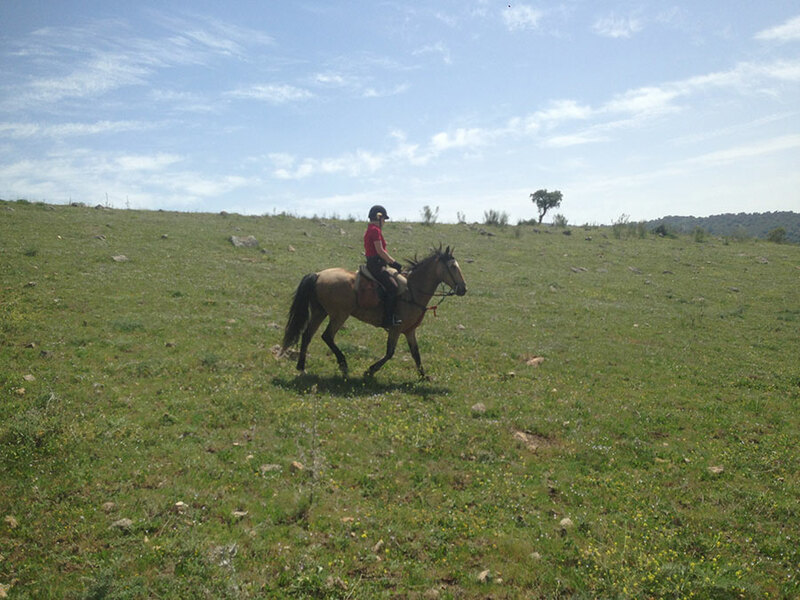 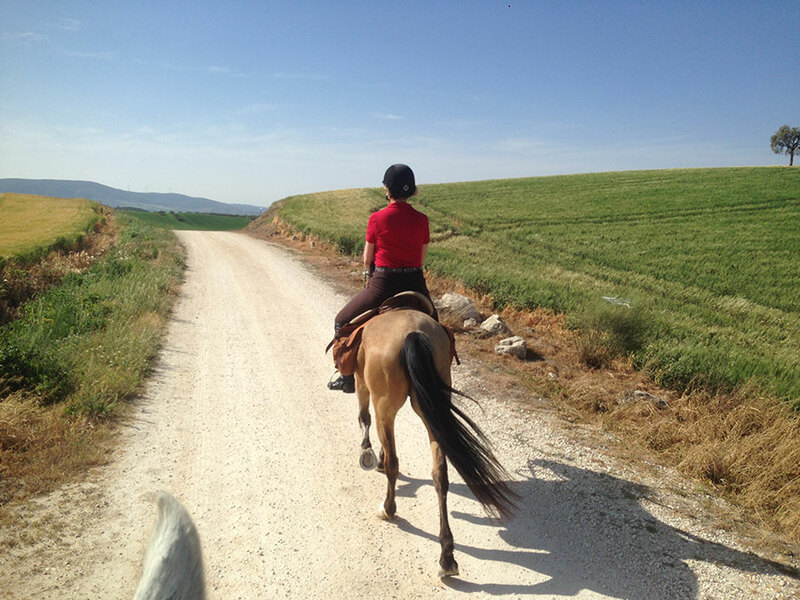 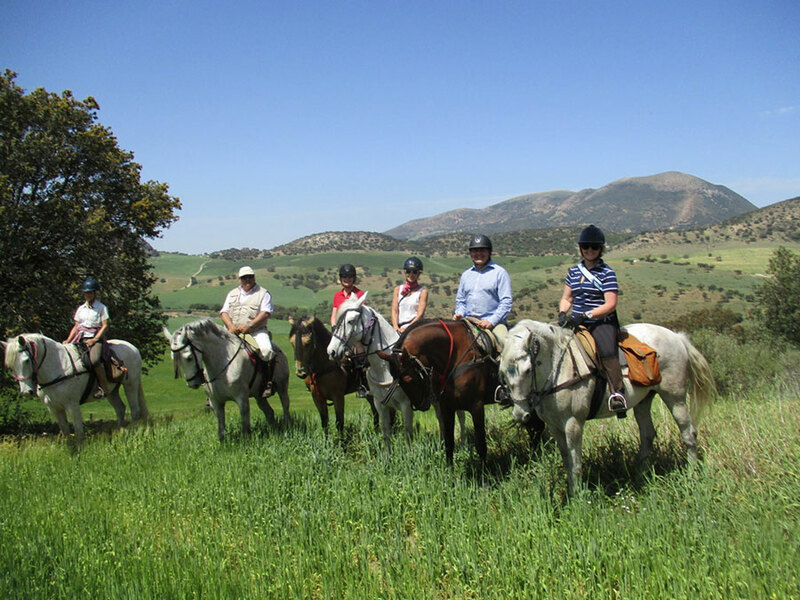 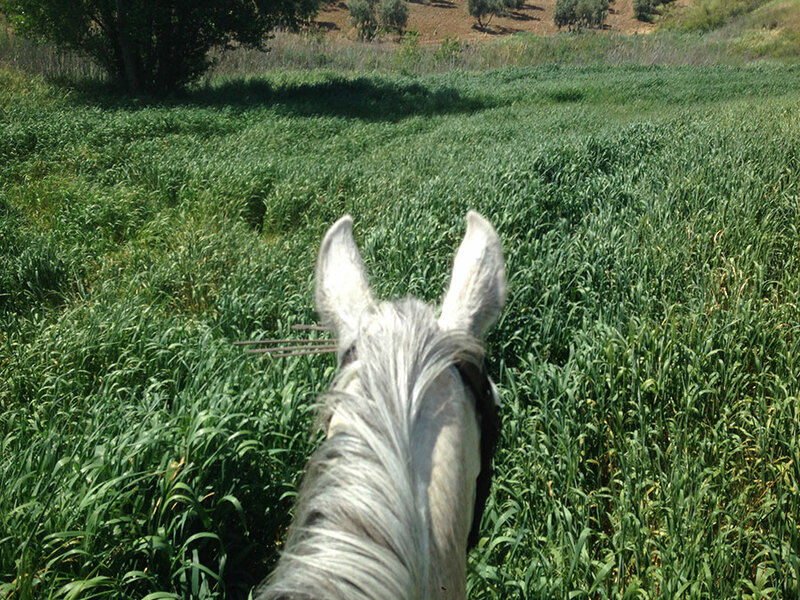 By its orography, the territory Andalusian that includes, is a landscape variety and some specific cultural connotations which make that route is more than the simple ride equestrian. 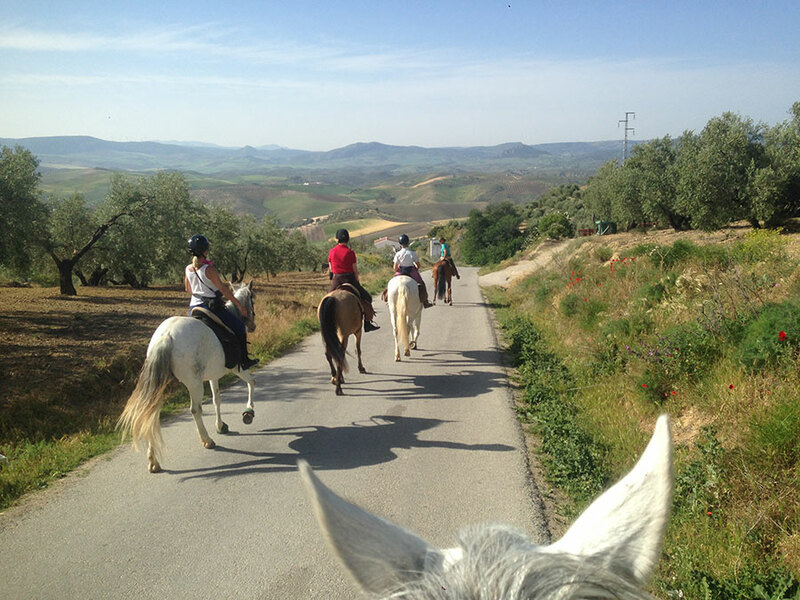 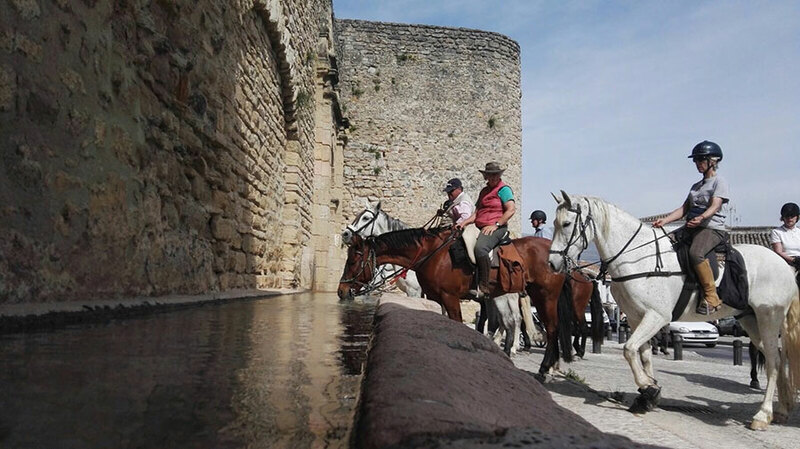 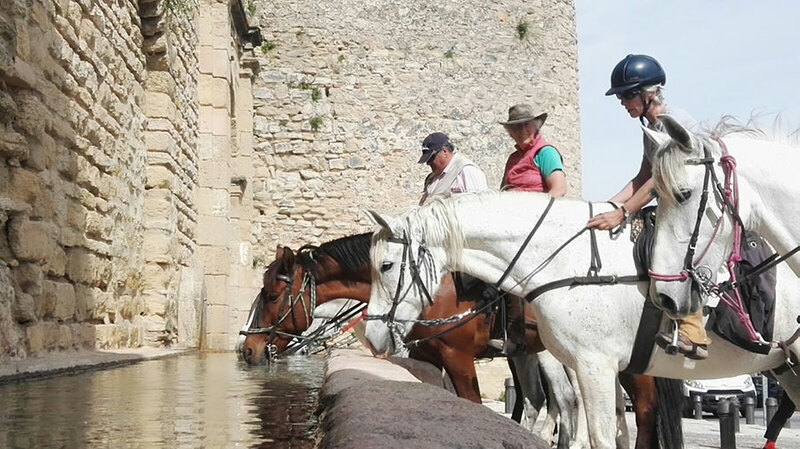 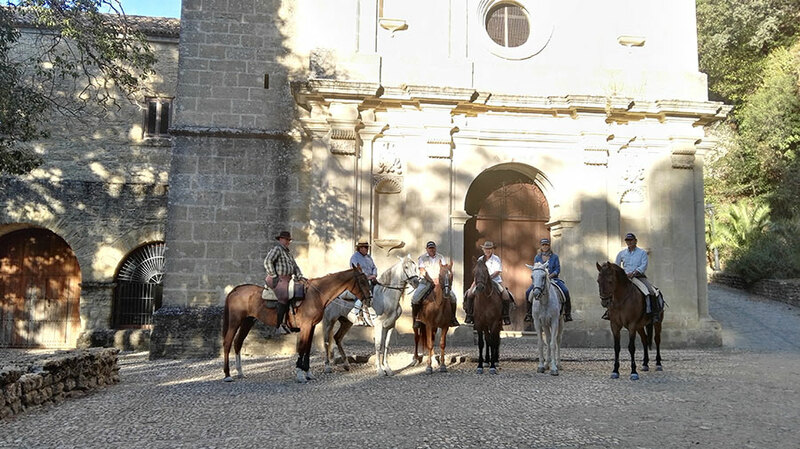 Through roads full of history and on the backs of noble horses adapted to the terrain, can enjoy during two days of a true adventure riding unforgettable. 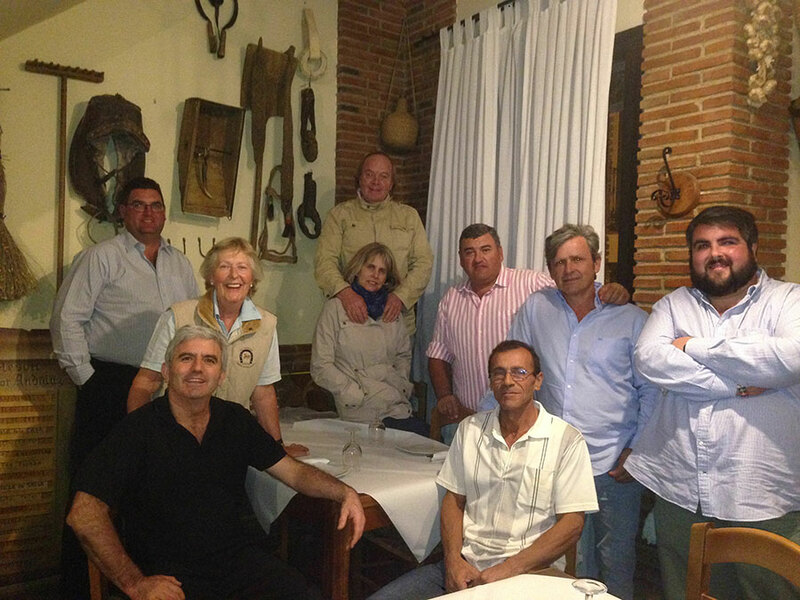 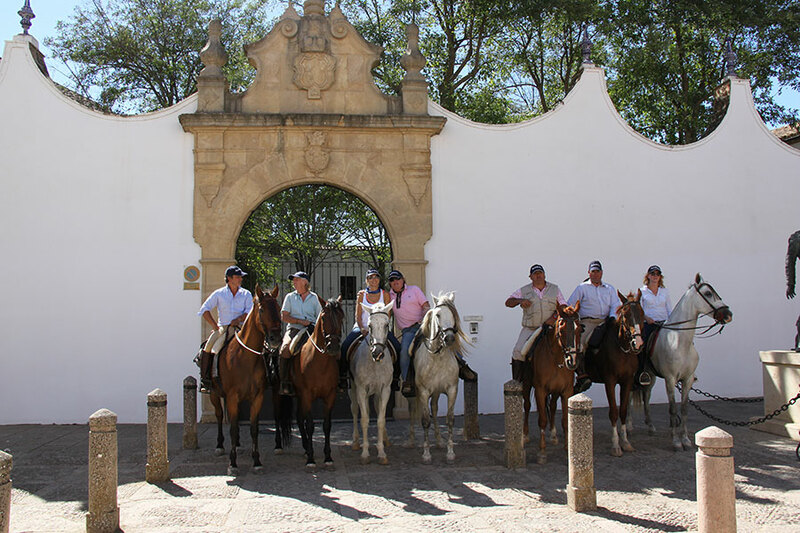 Welcome at the complex "Casas Rurales Las Viñas" and our bed and breakfast accommodation. 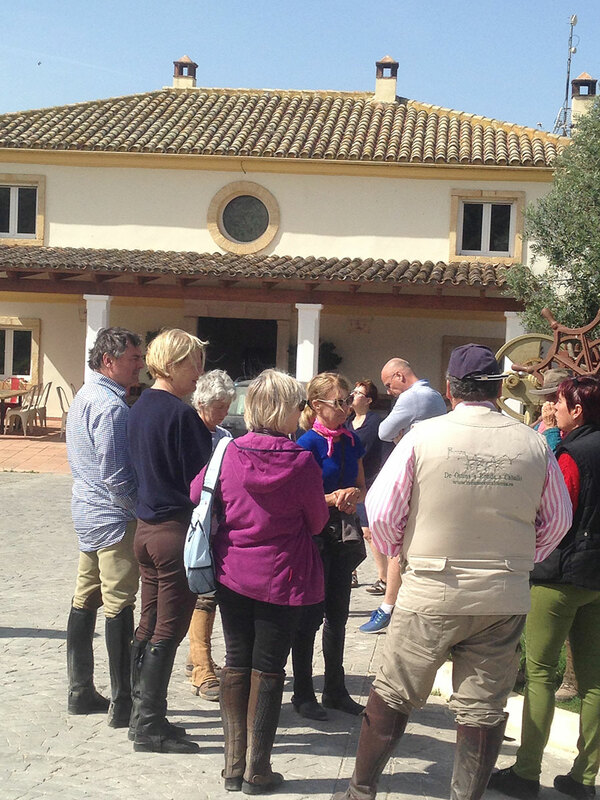 After noon we will meet everyone on the block, to learn more about us and explanation of everything to do with the route. 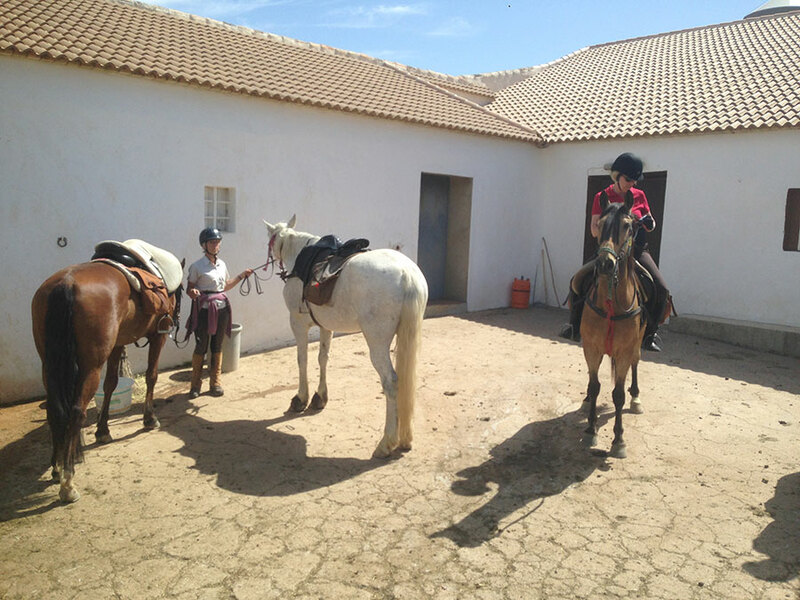 Then we will have a first making contact with horses, to assign the horse proper to each rider. 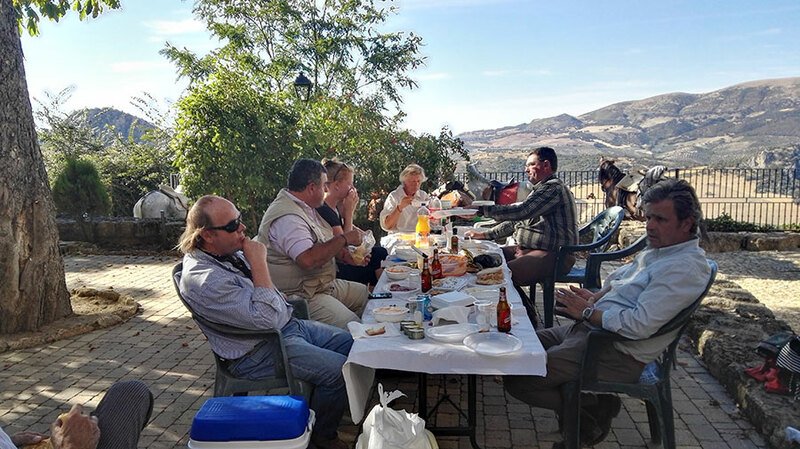 To the 8´00 in the morning, Miller breakfast with bread and oil to take the path to the 9´00, address to the actual path of Osuna to round. 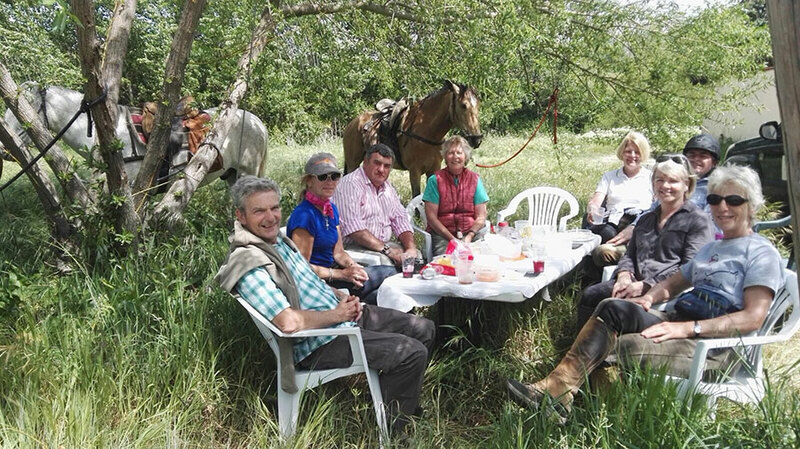 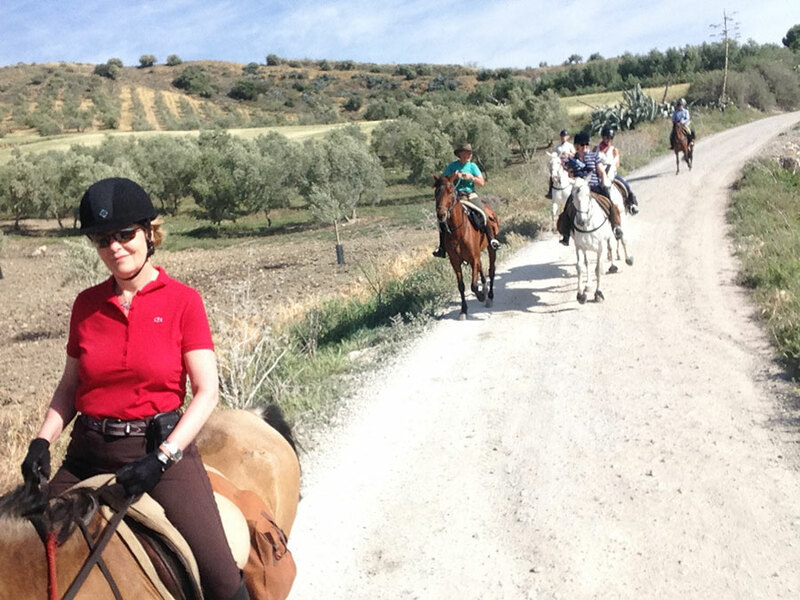 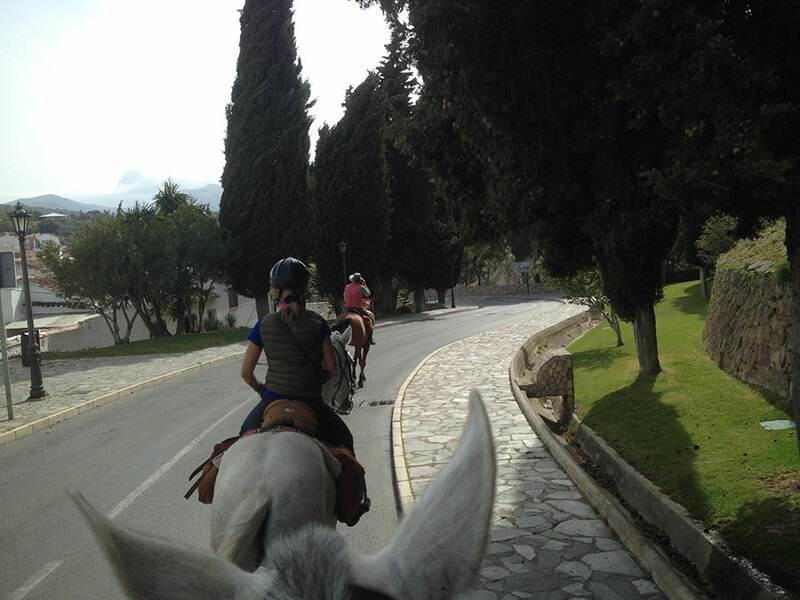 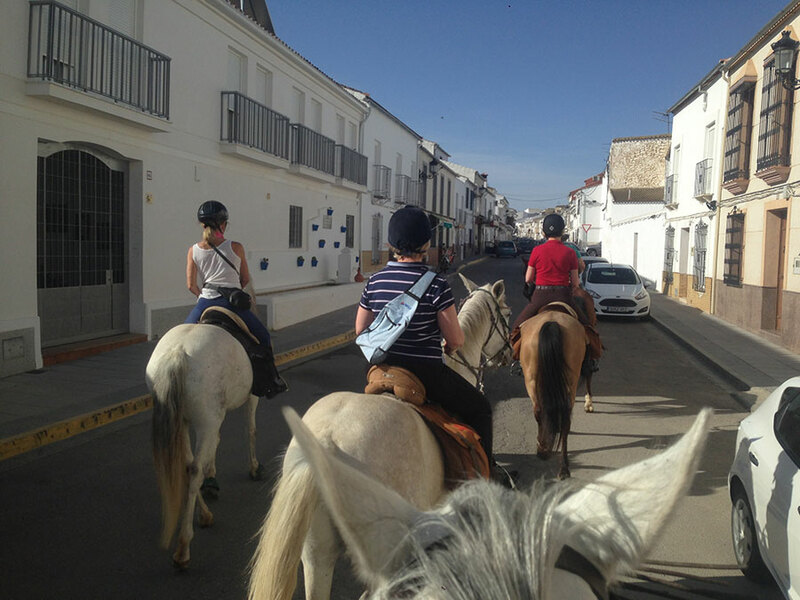 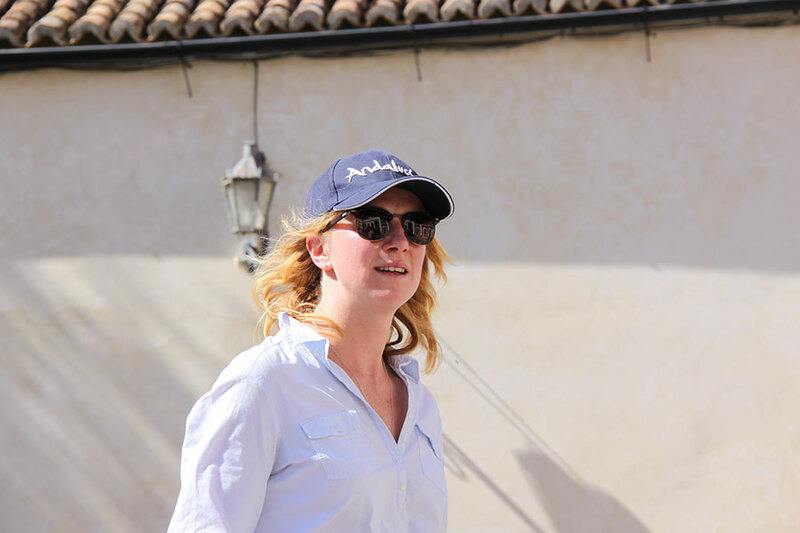 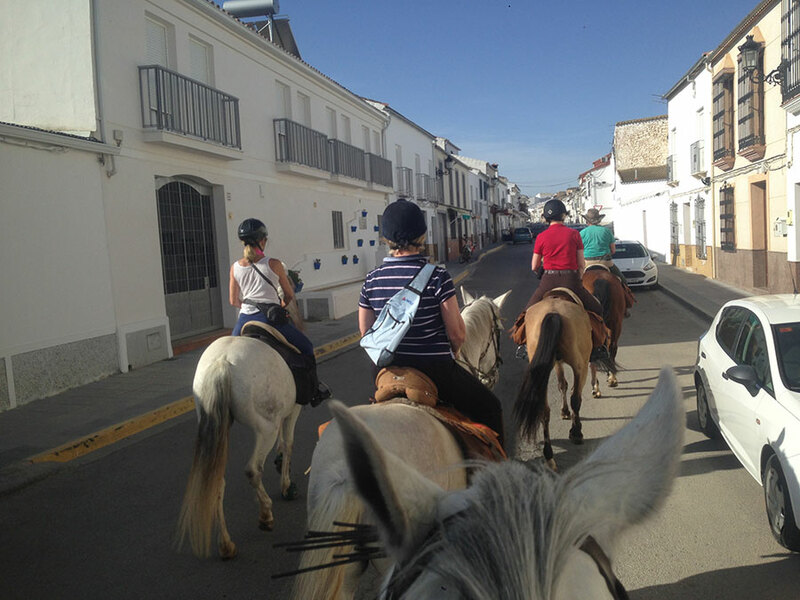 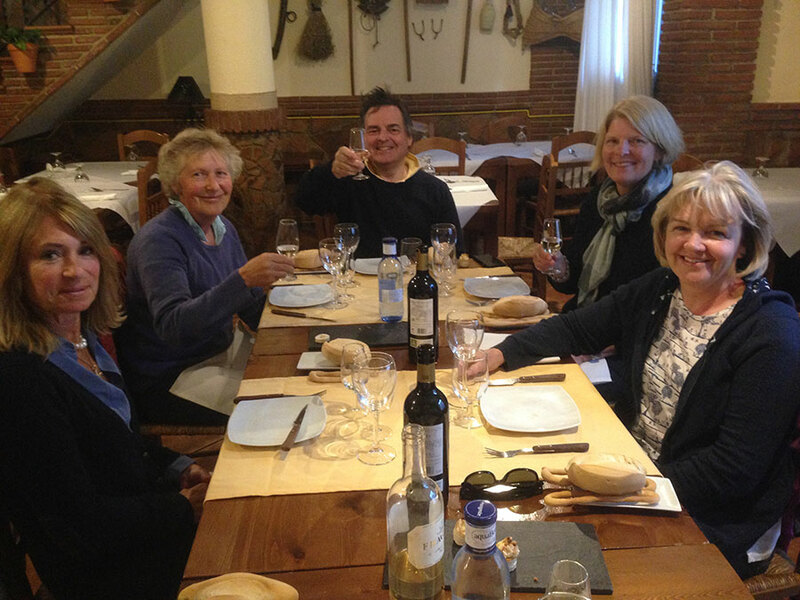 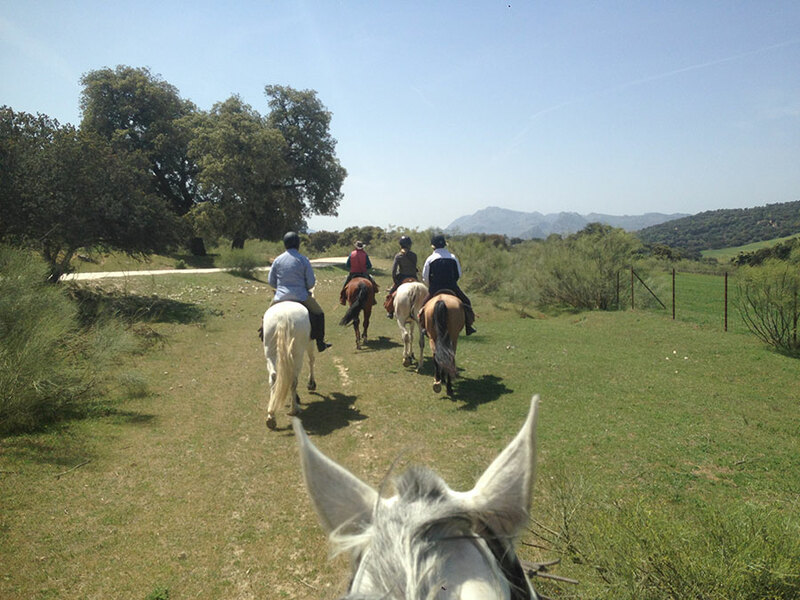 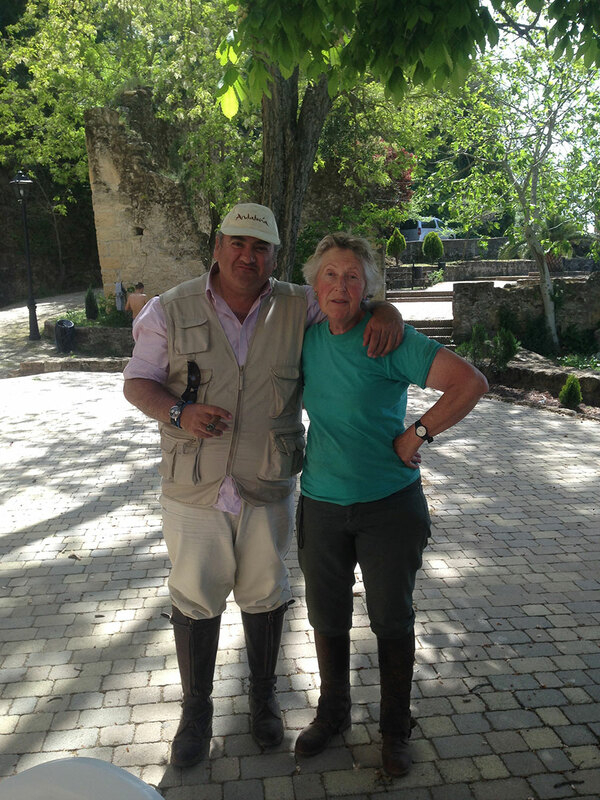 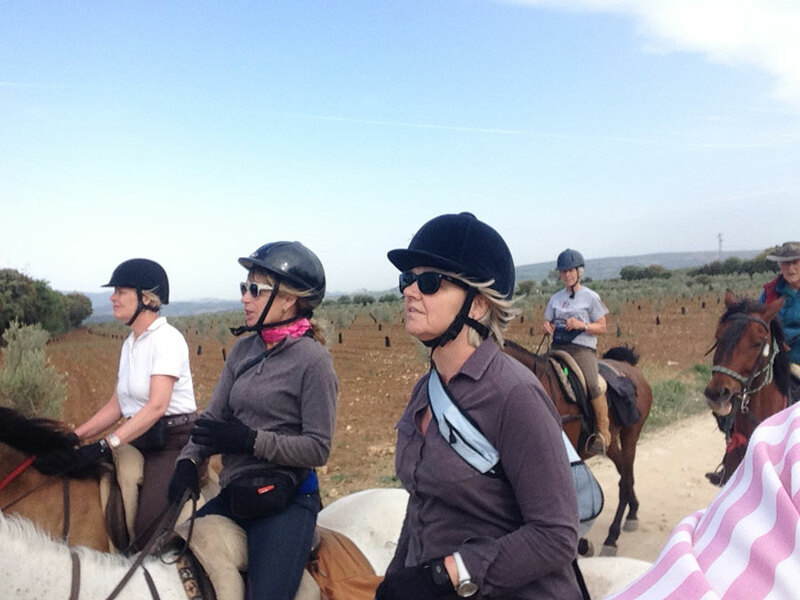 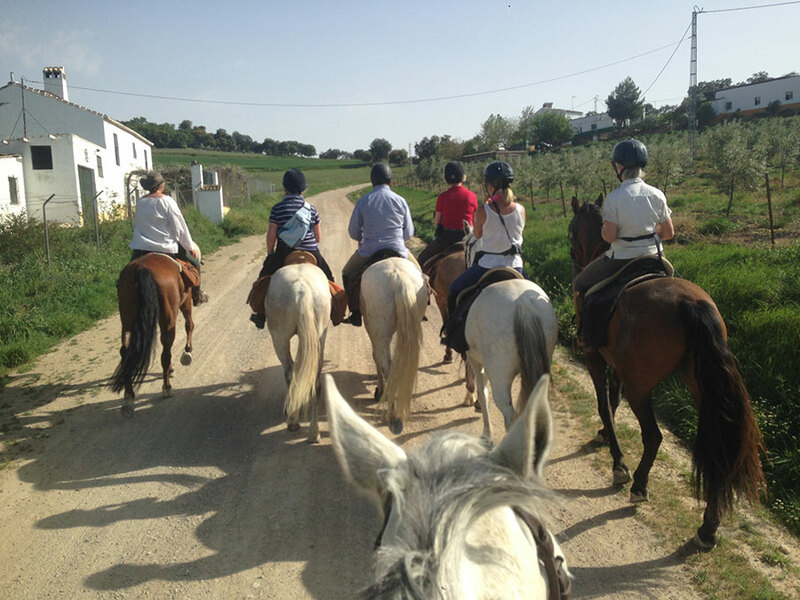 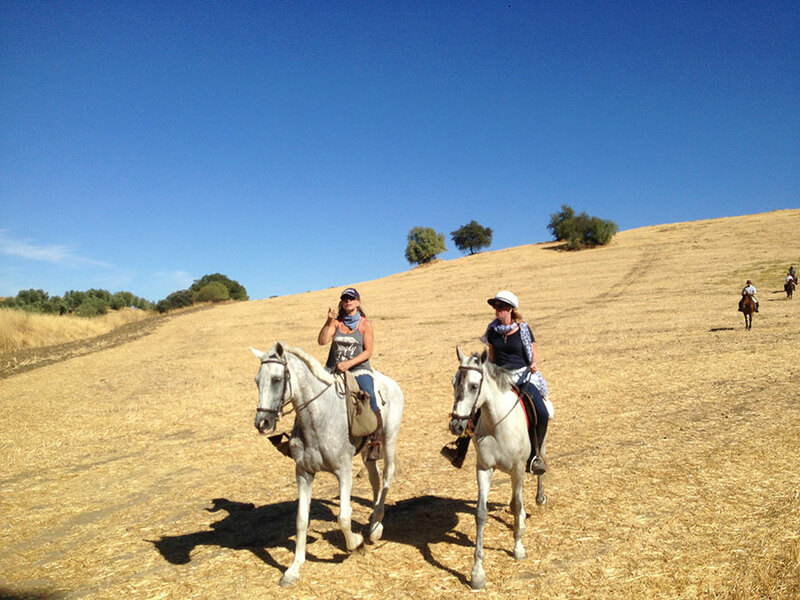 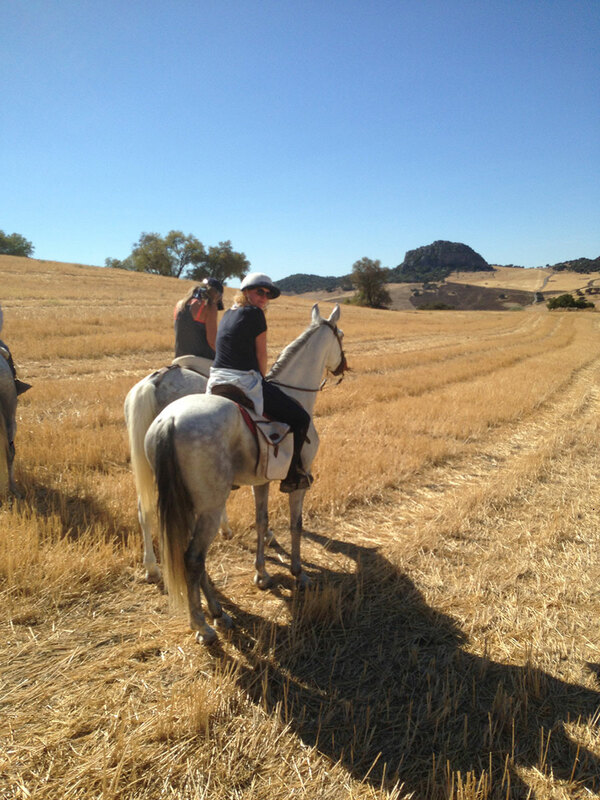 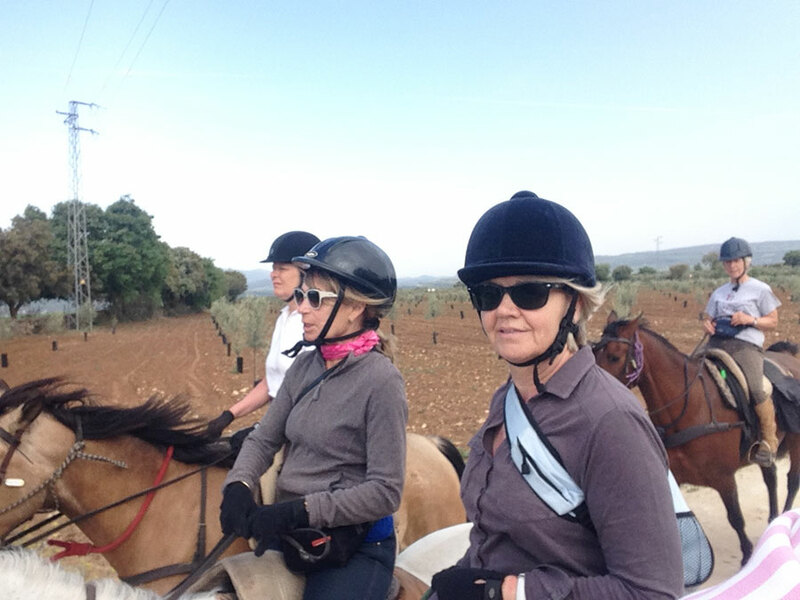 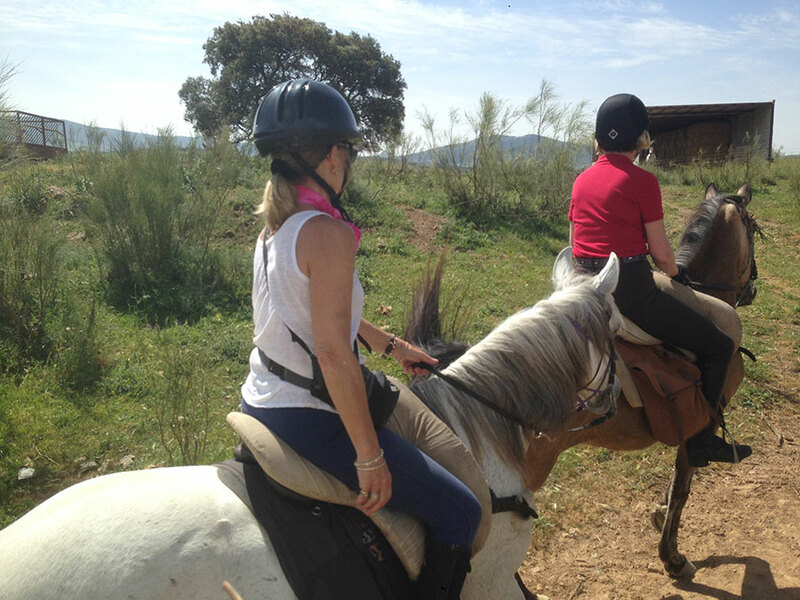 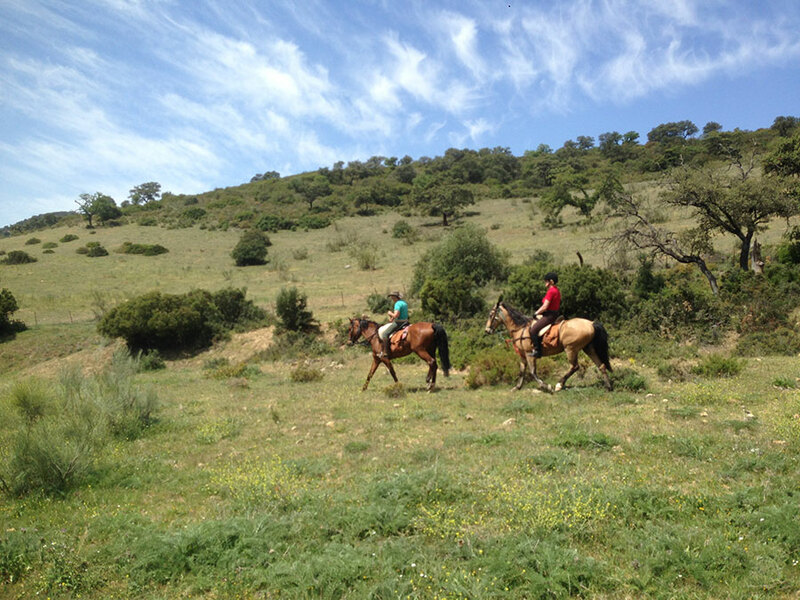 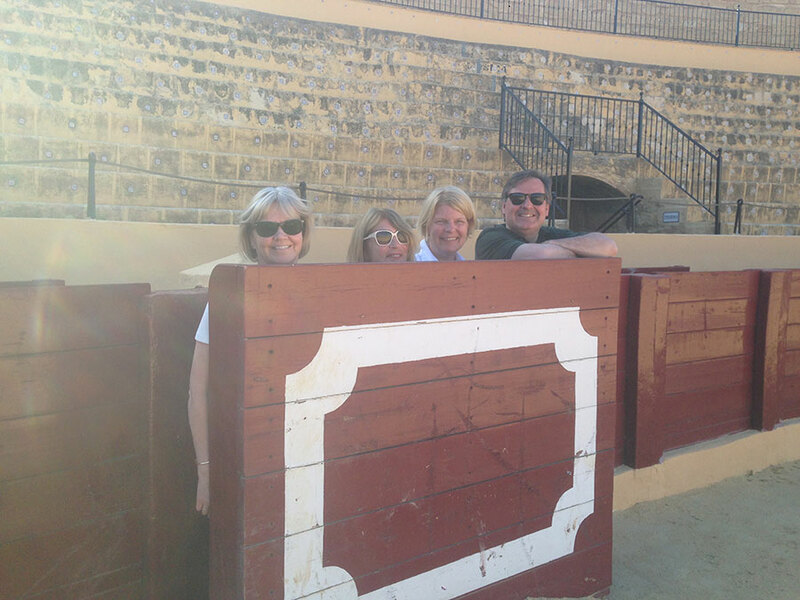 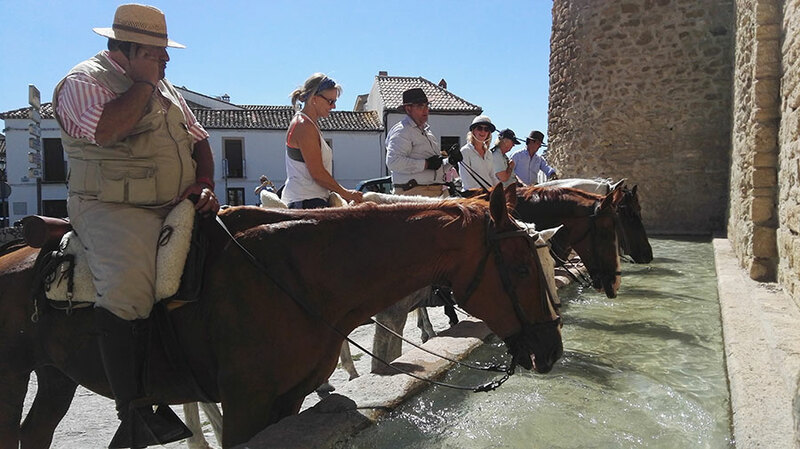 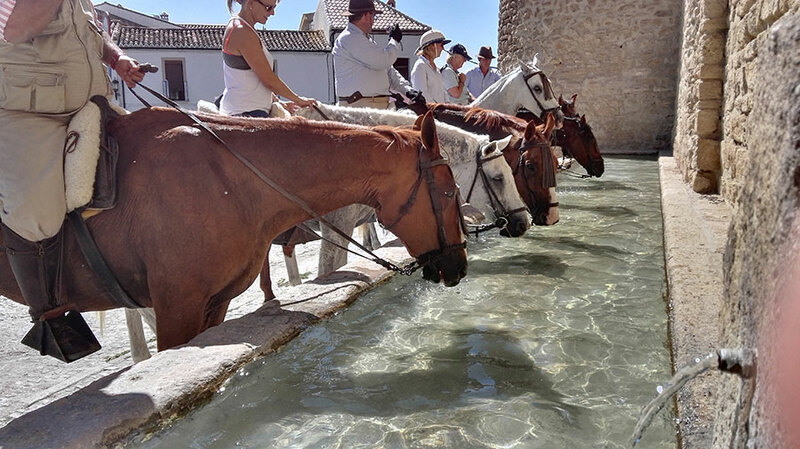 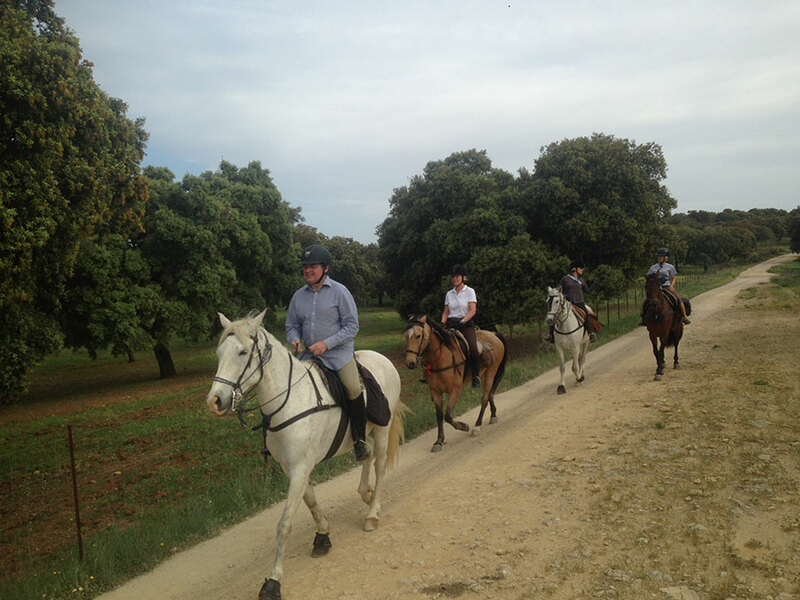 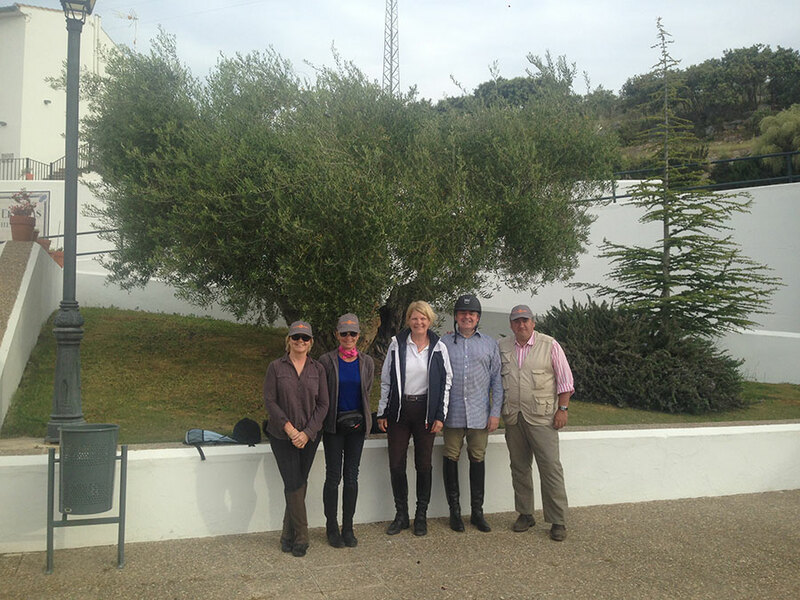 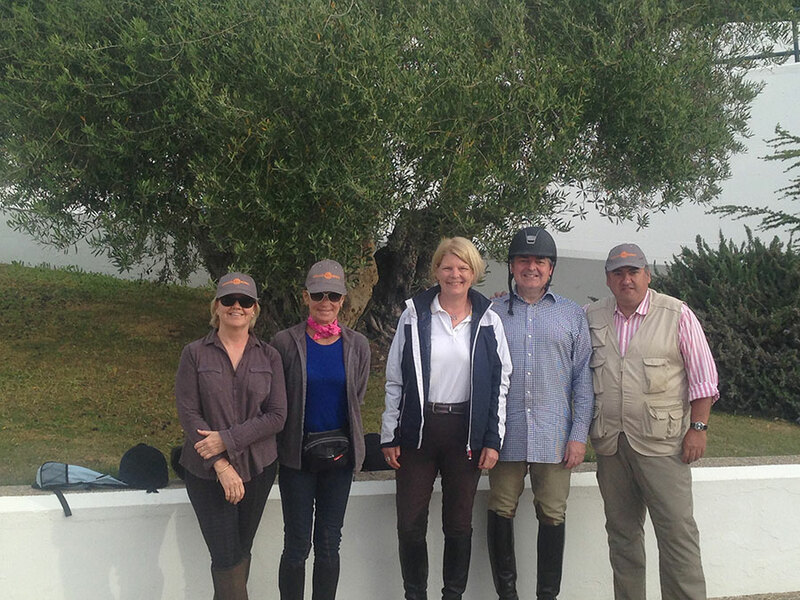 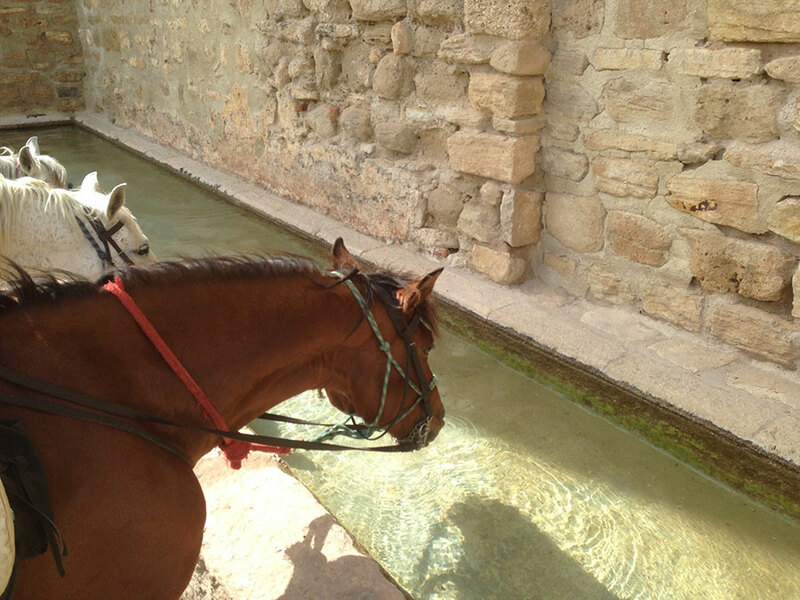 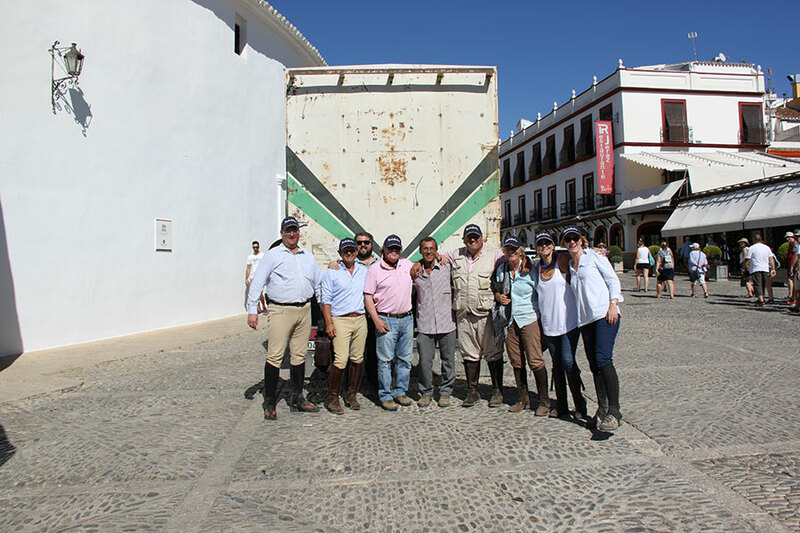 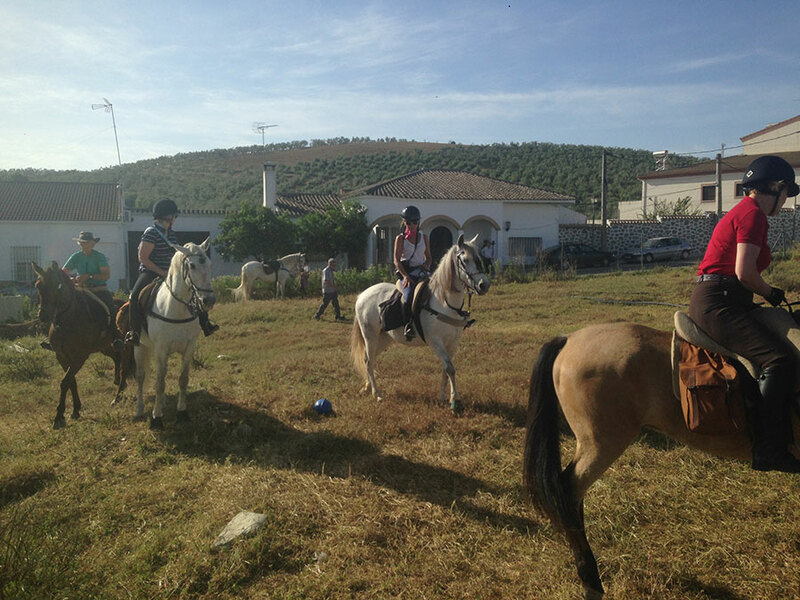 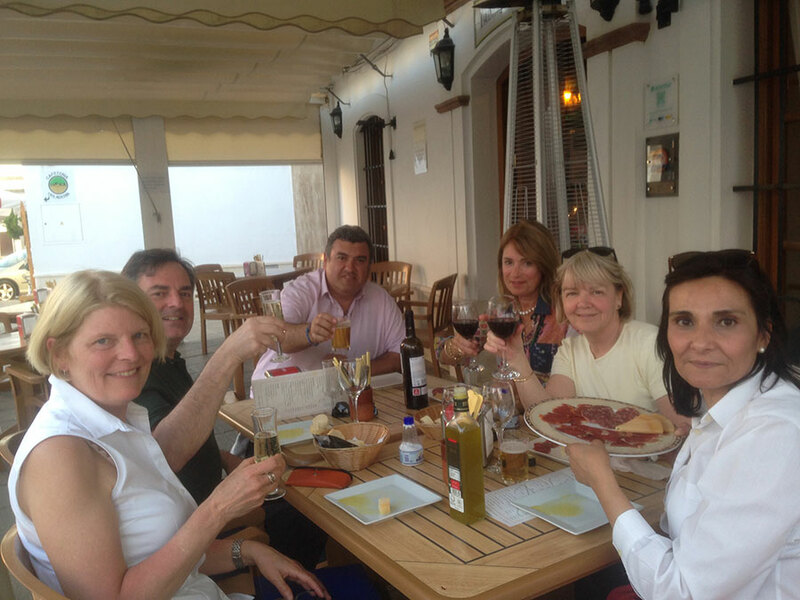 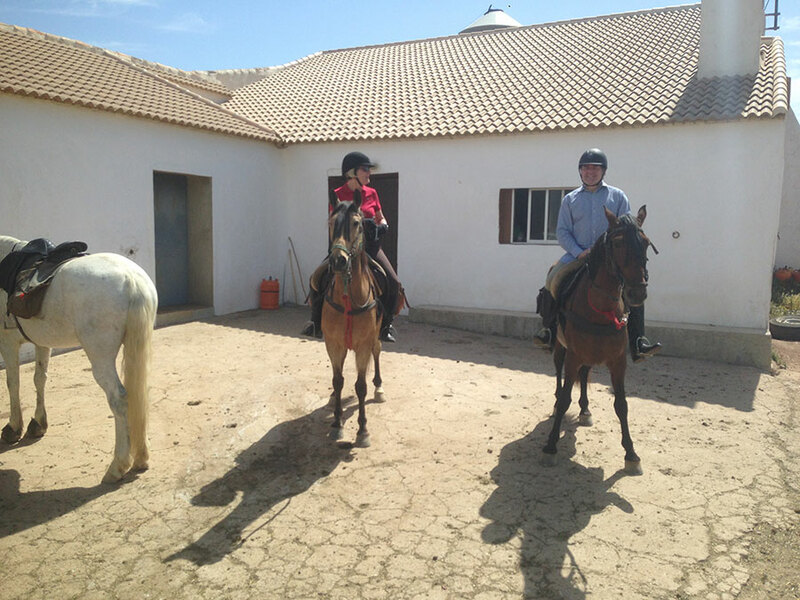 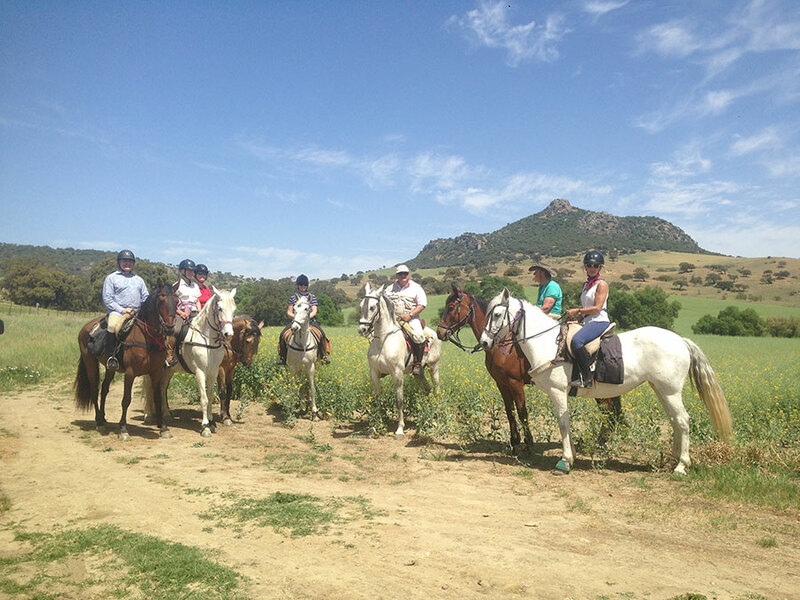 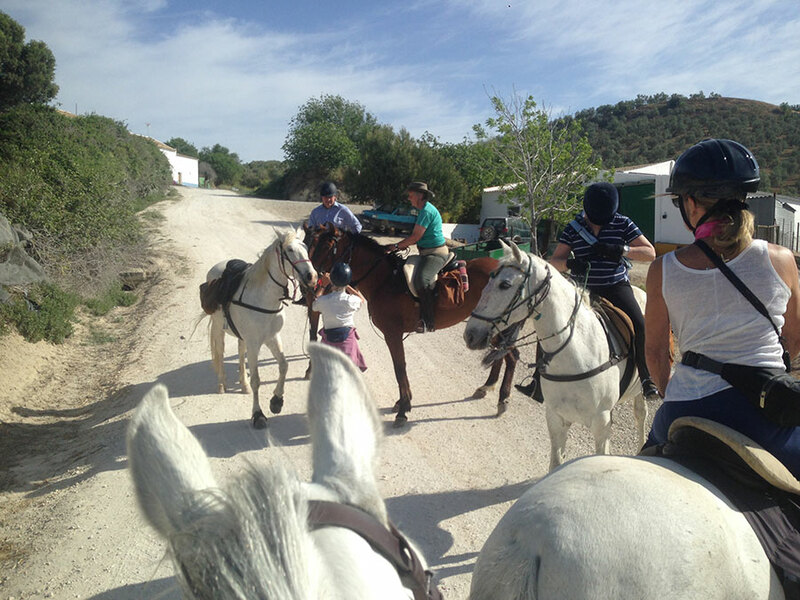 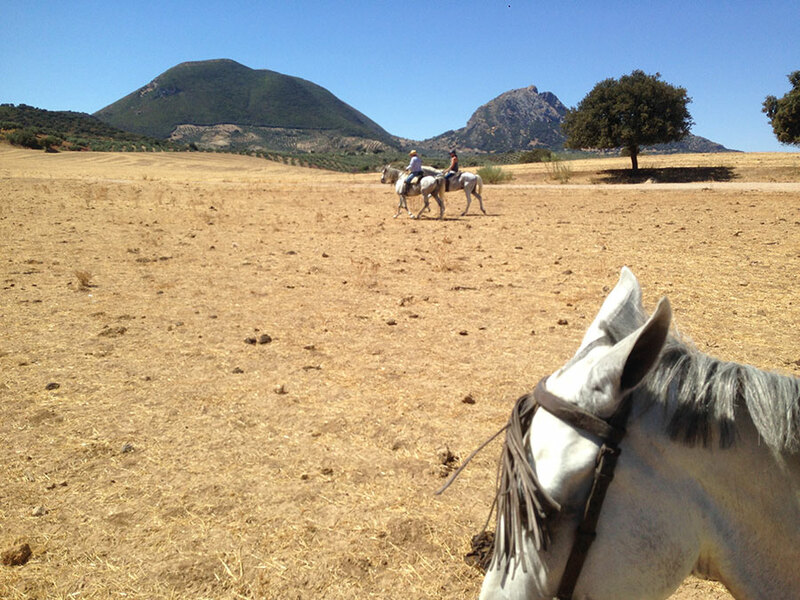 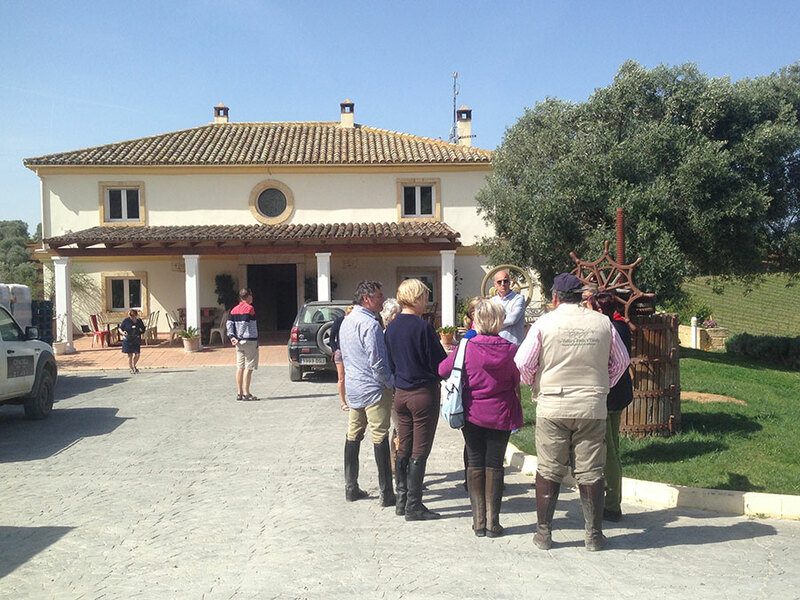 First stop in the village of El Saucejo, We'll rest half an hour for a snack and drink the horses. 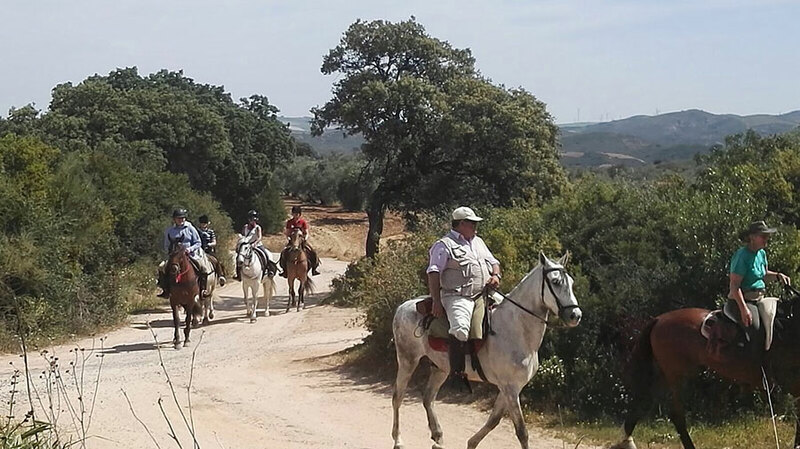 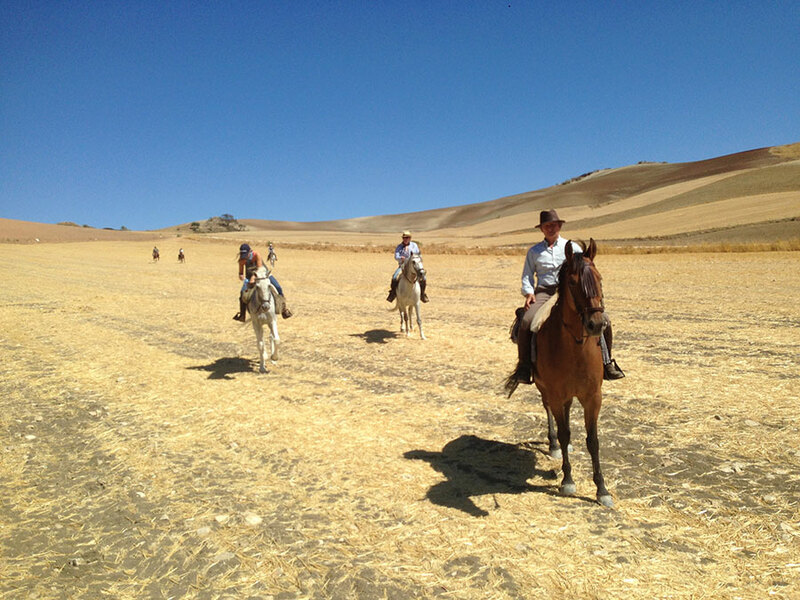 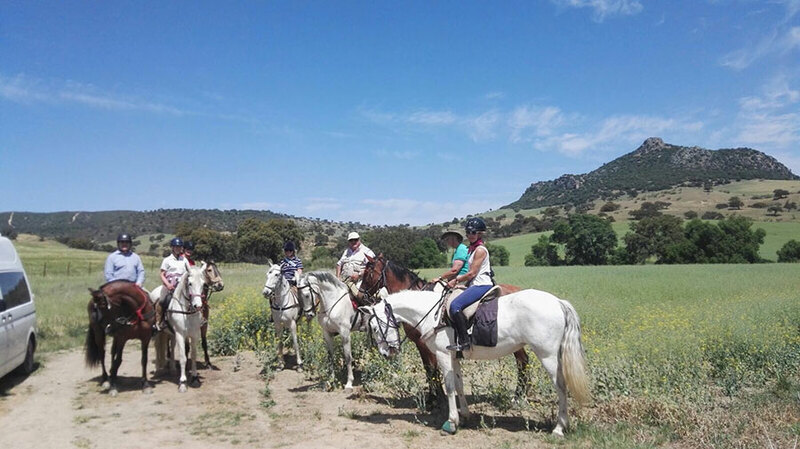 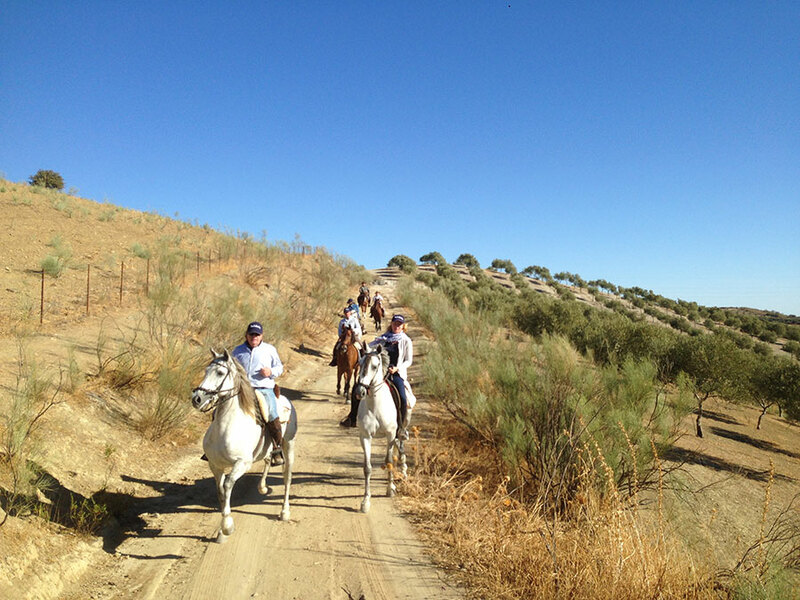 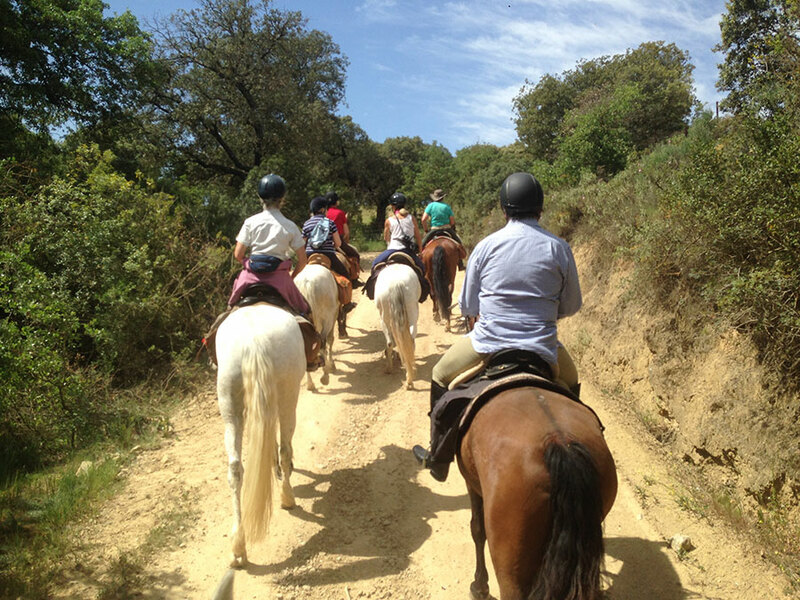 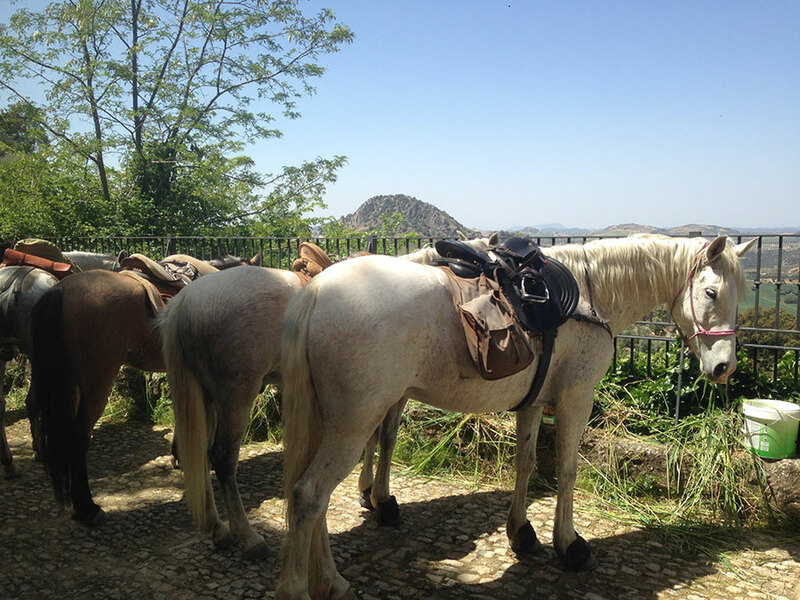 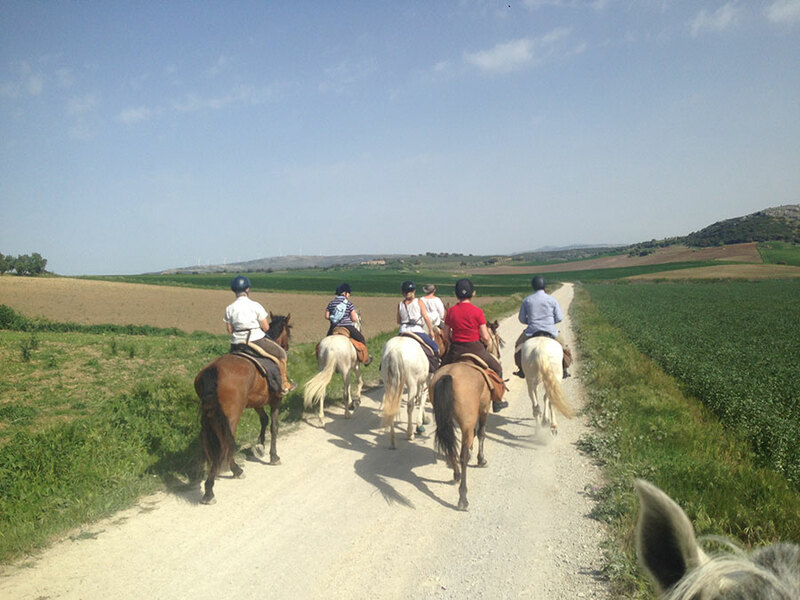 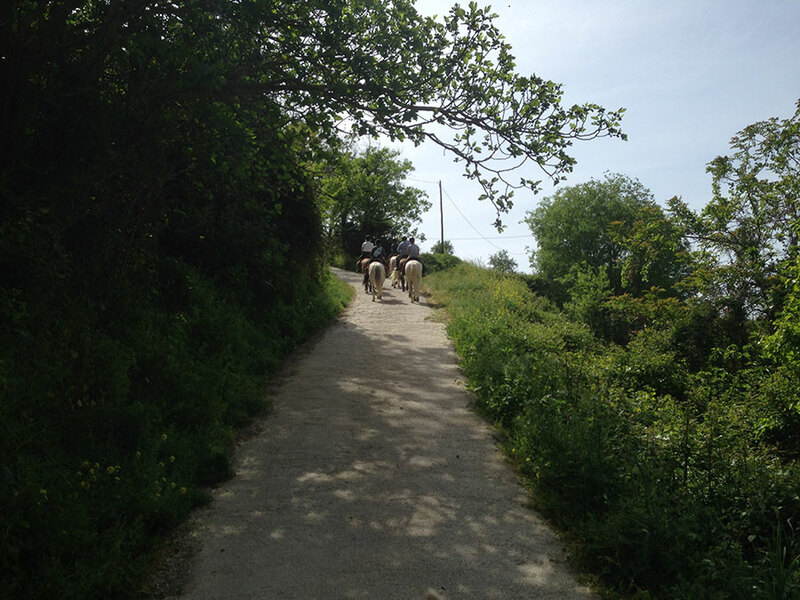 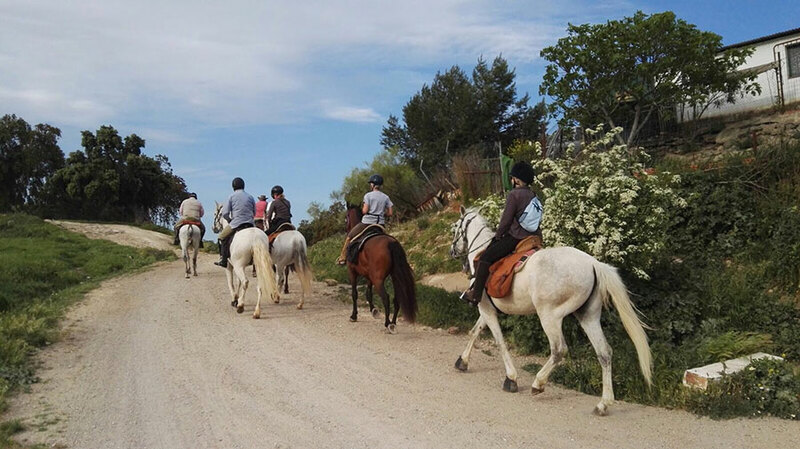 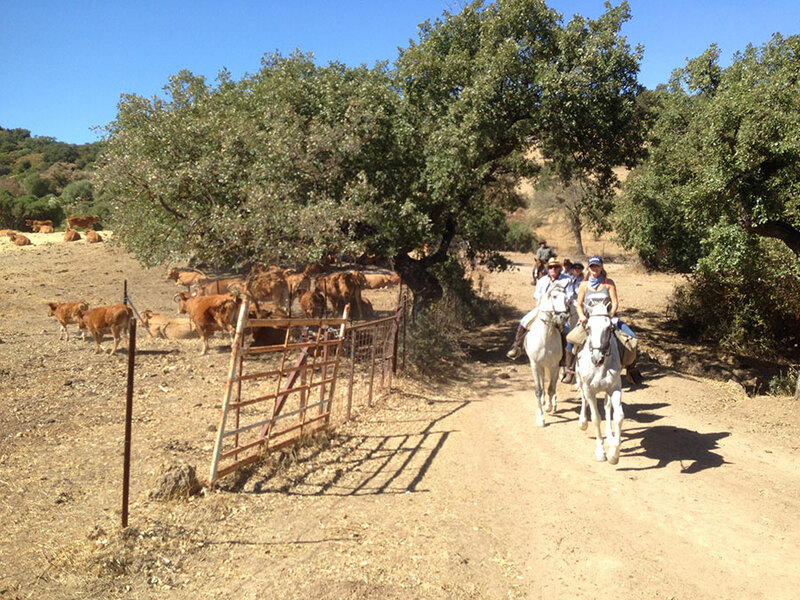 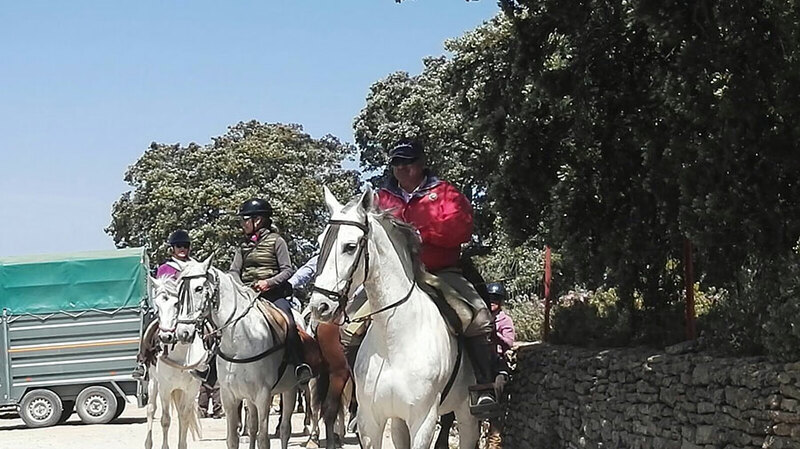 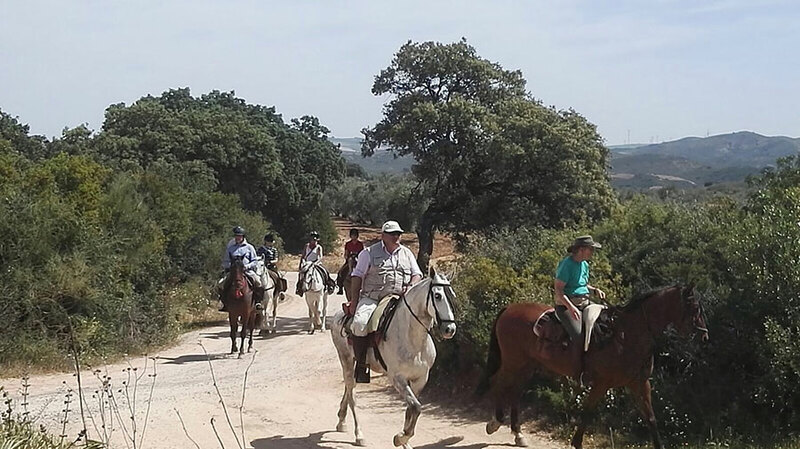 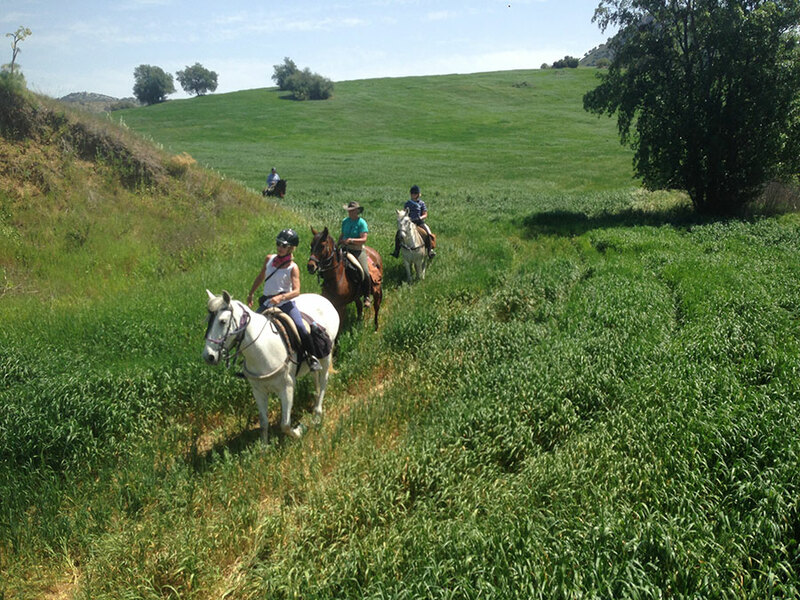 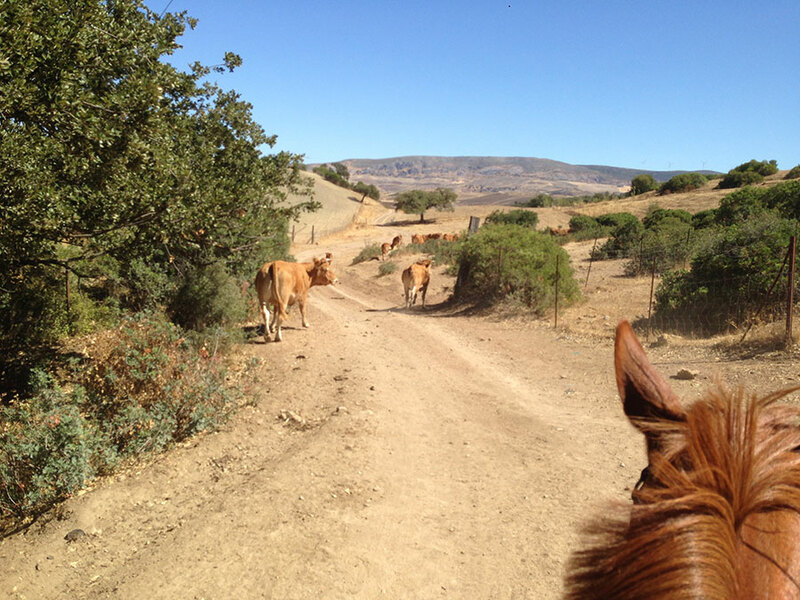 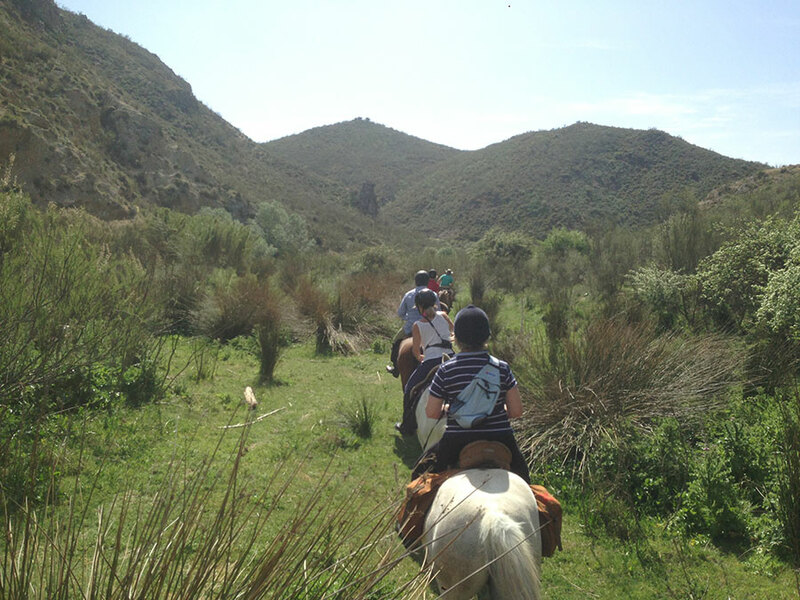 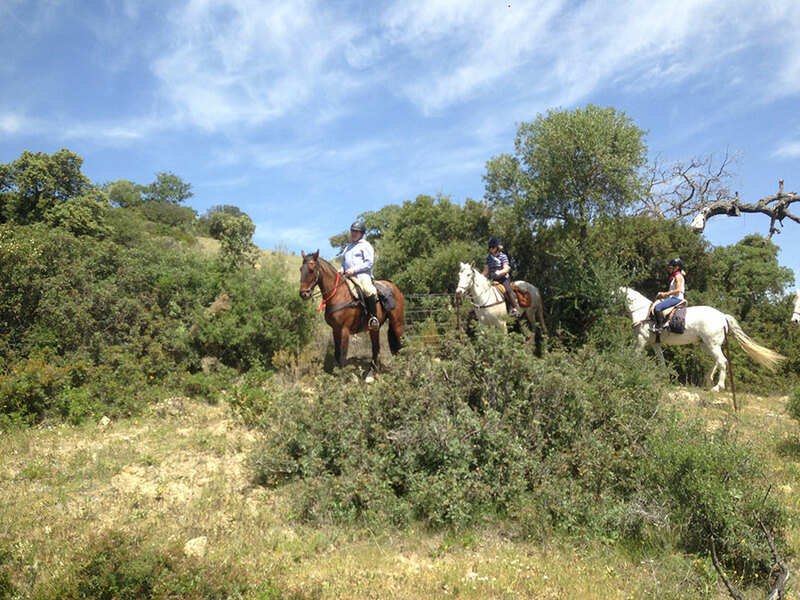 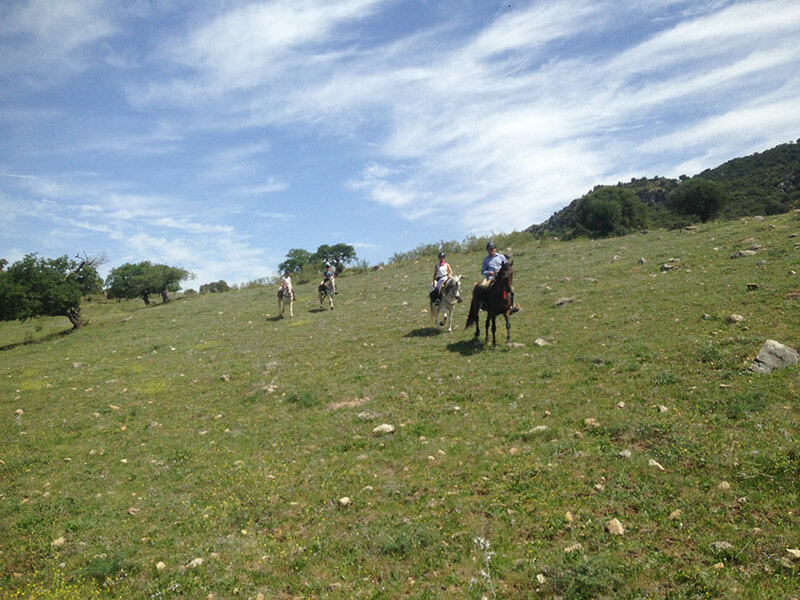 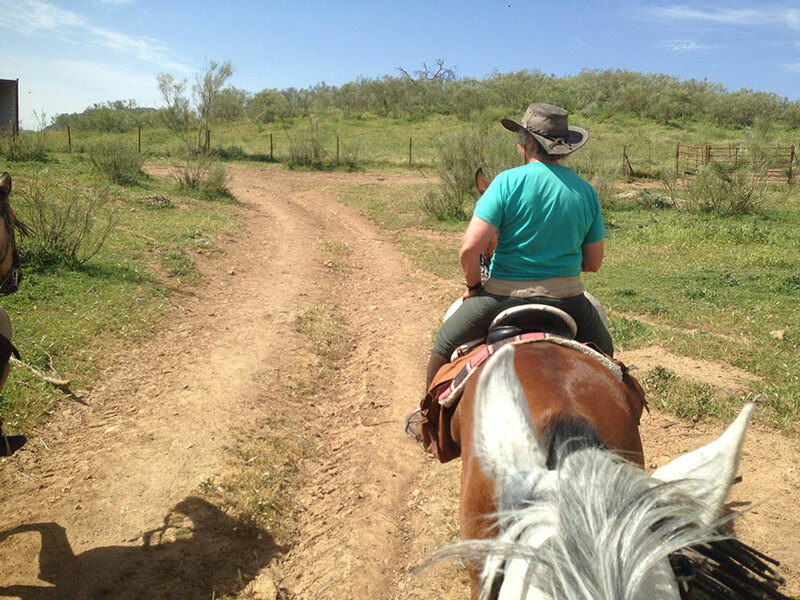 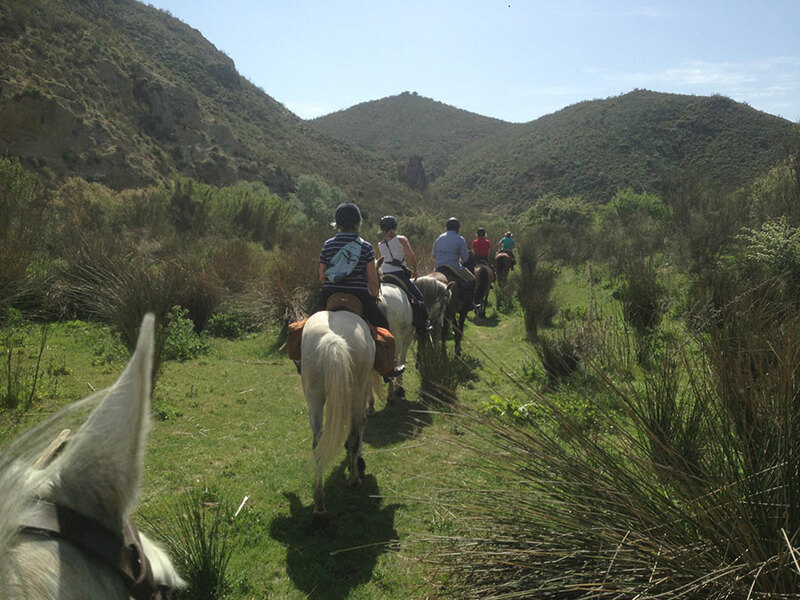 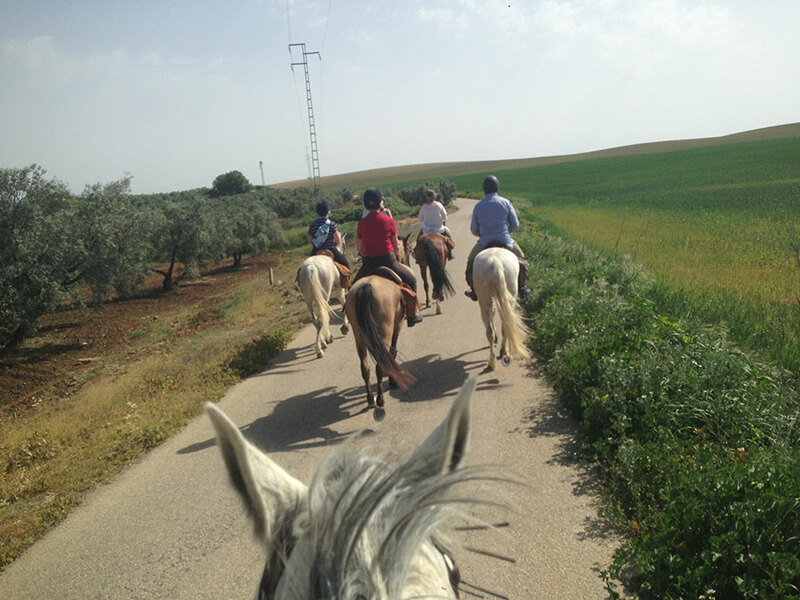 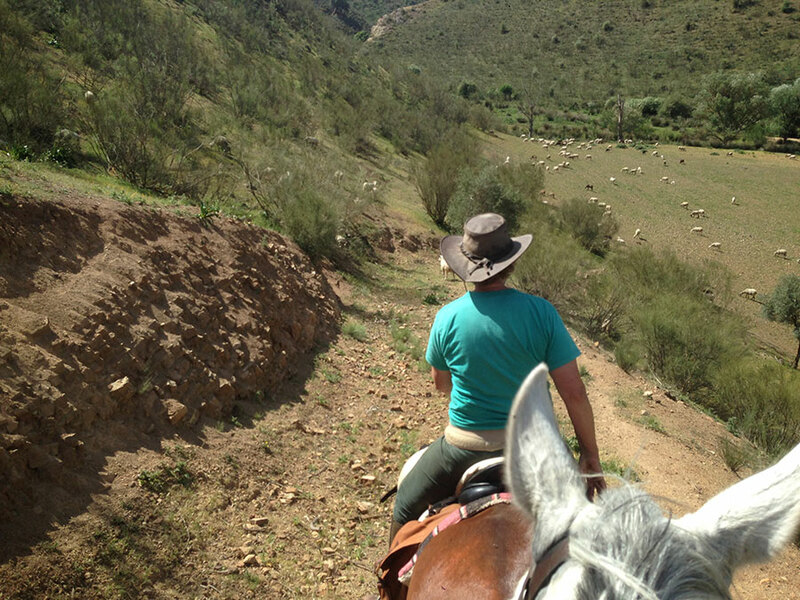 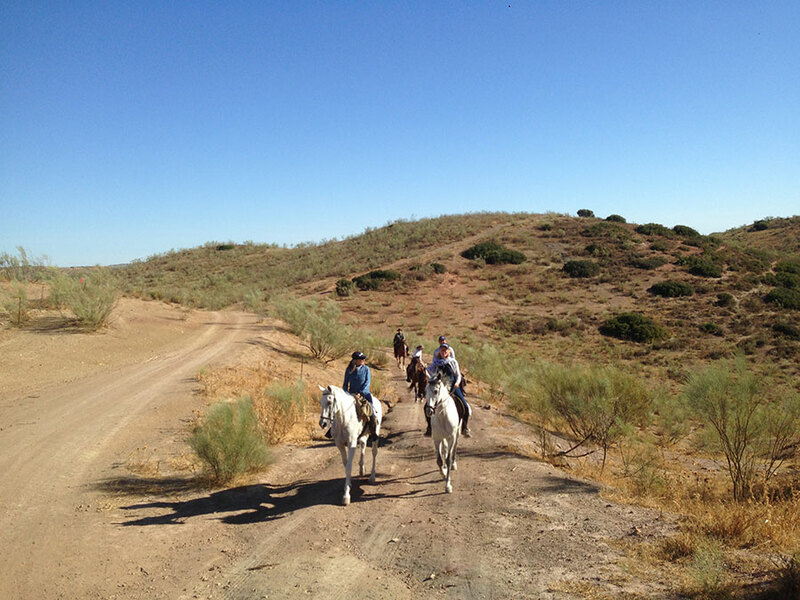 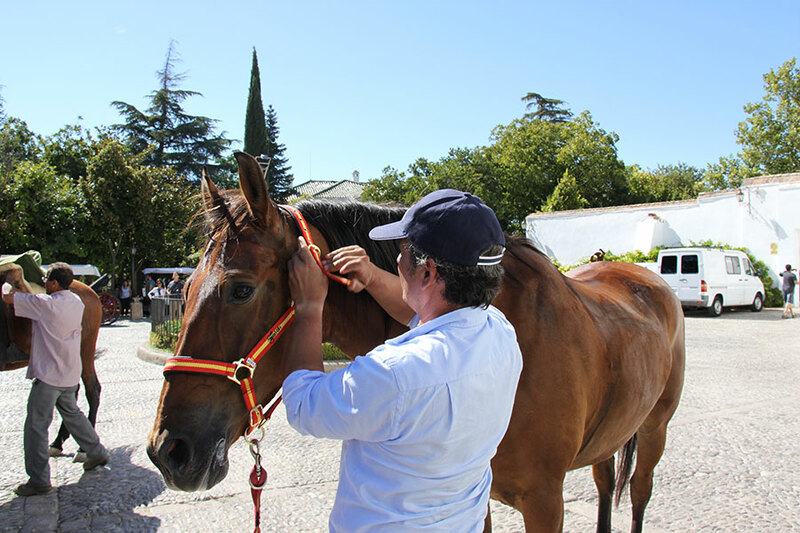 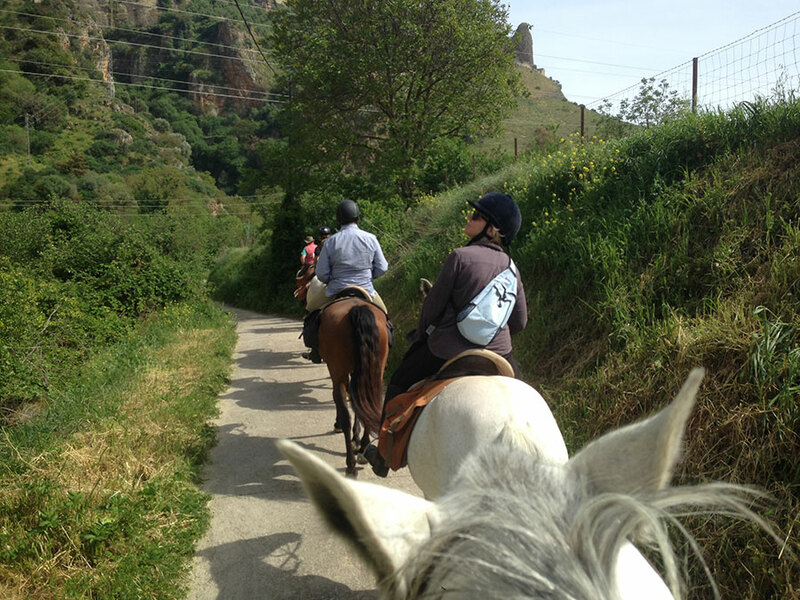 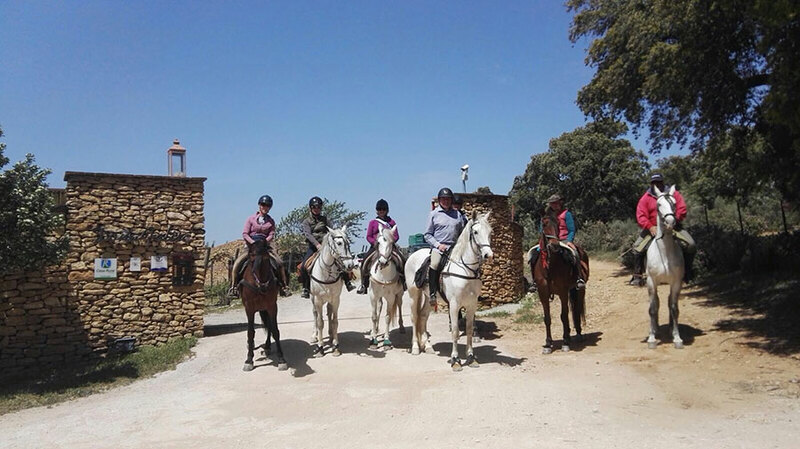 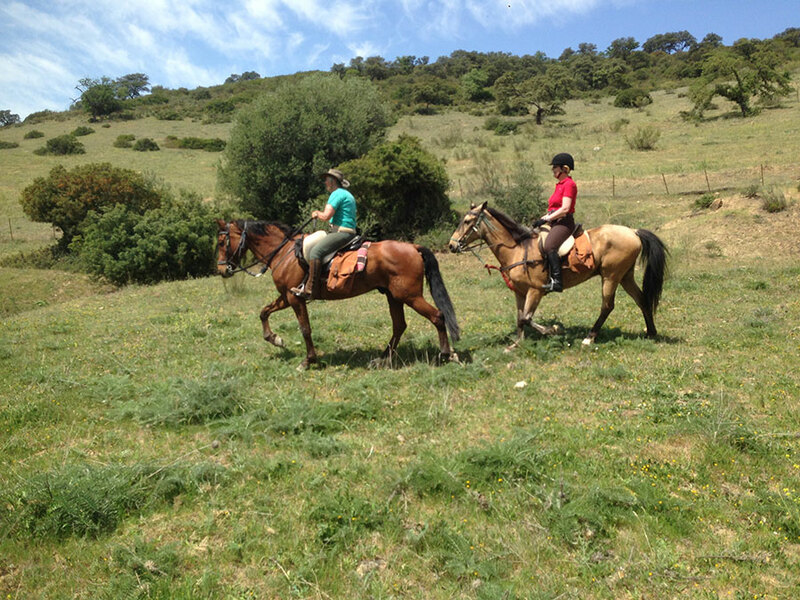 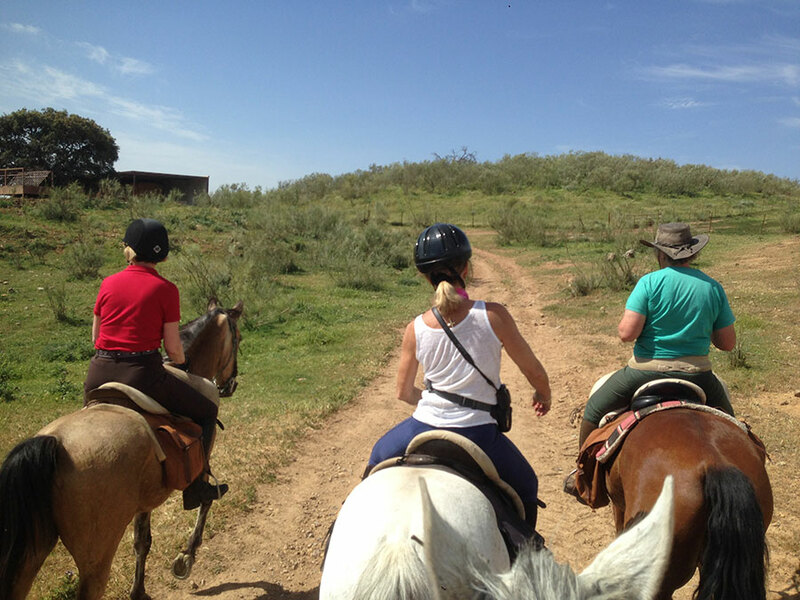 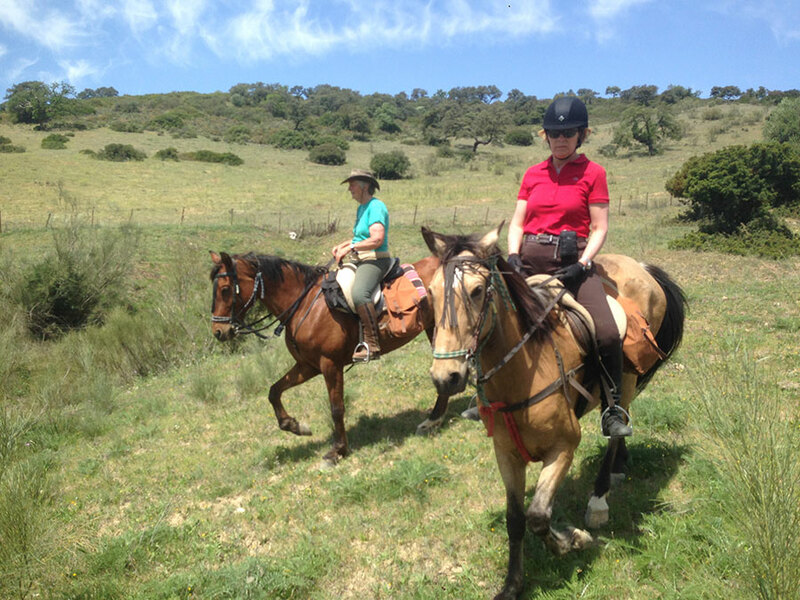 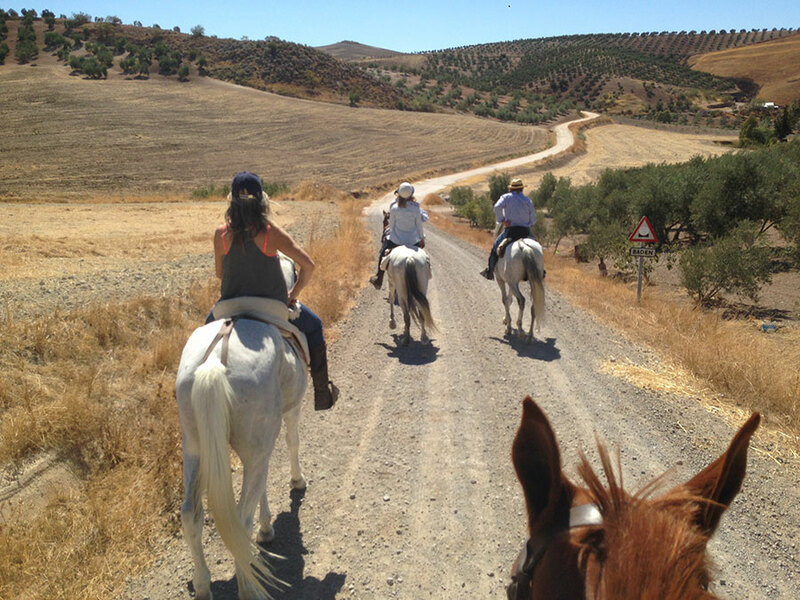 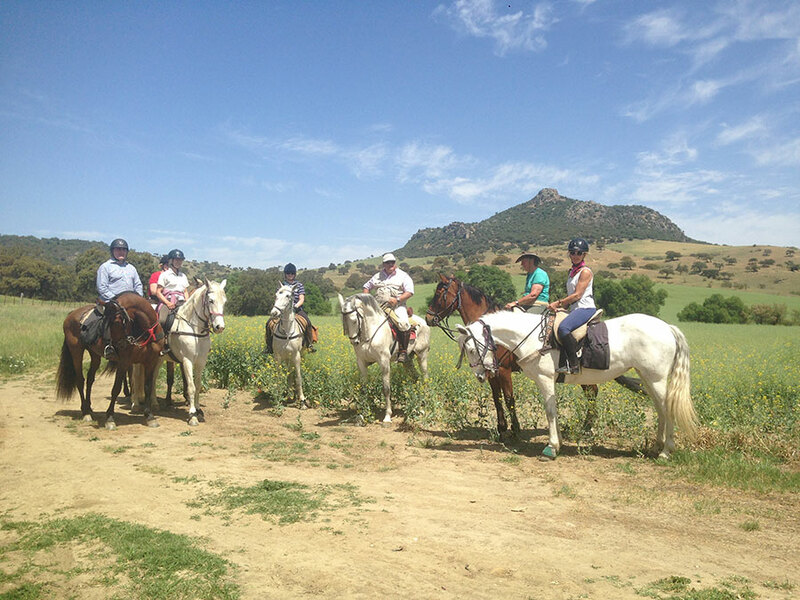 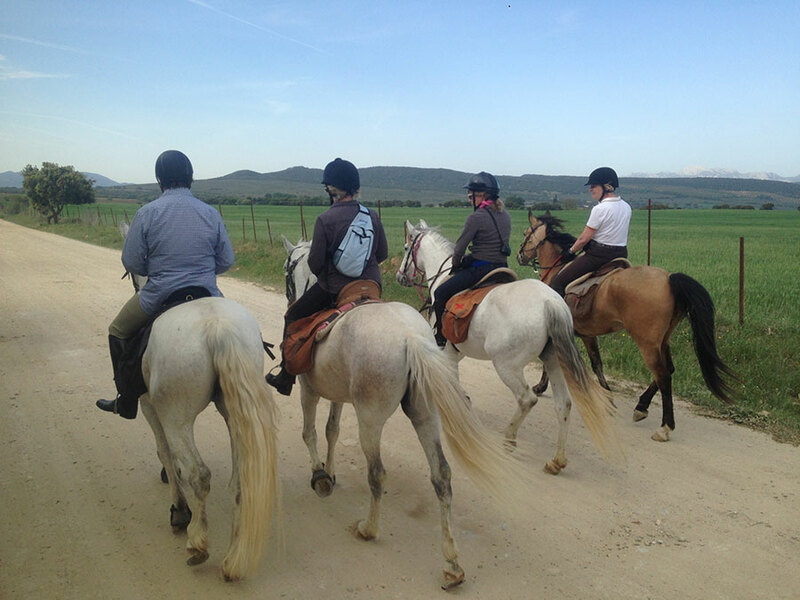 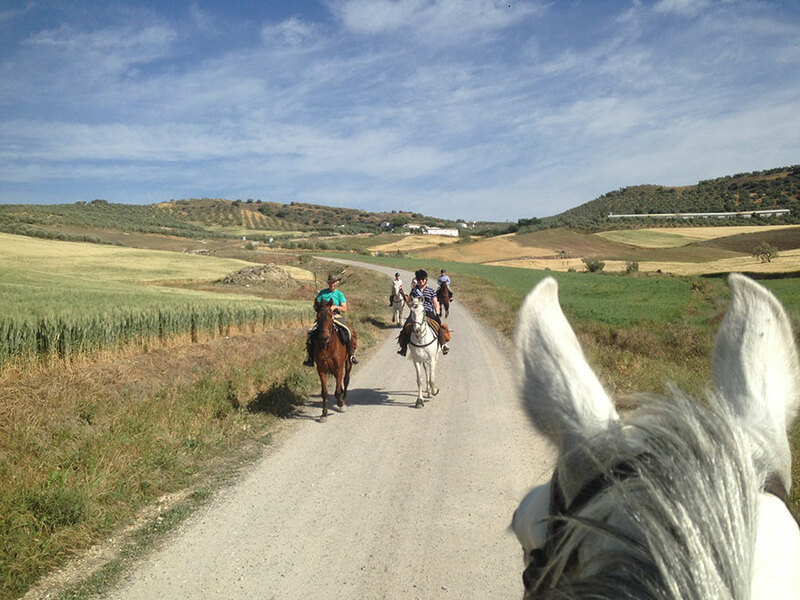 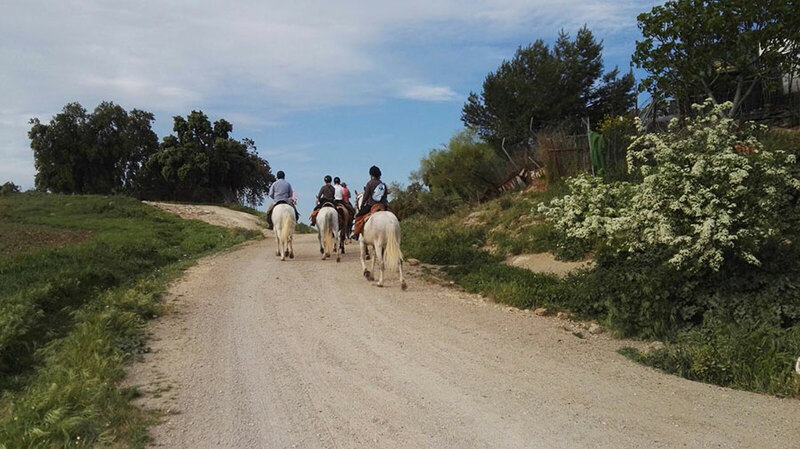 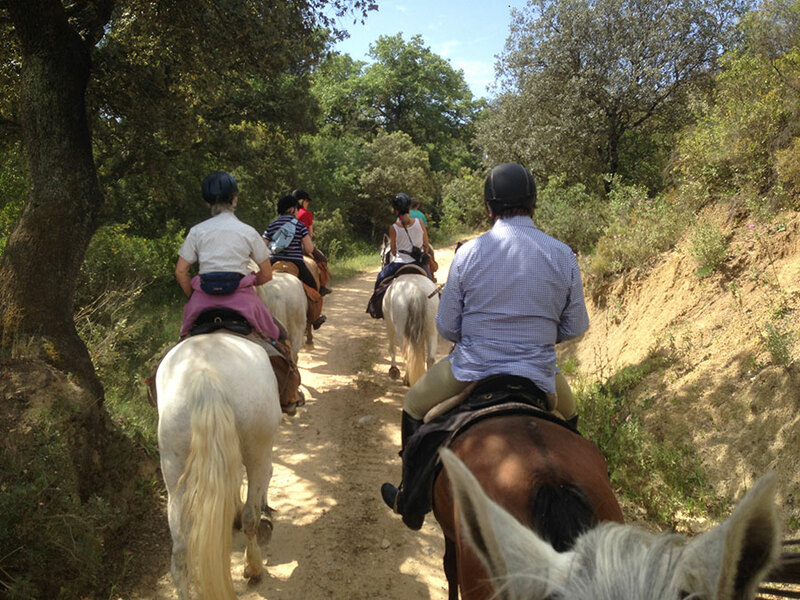 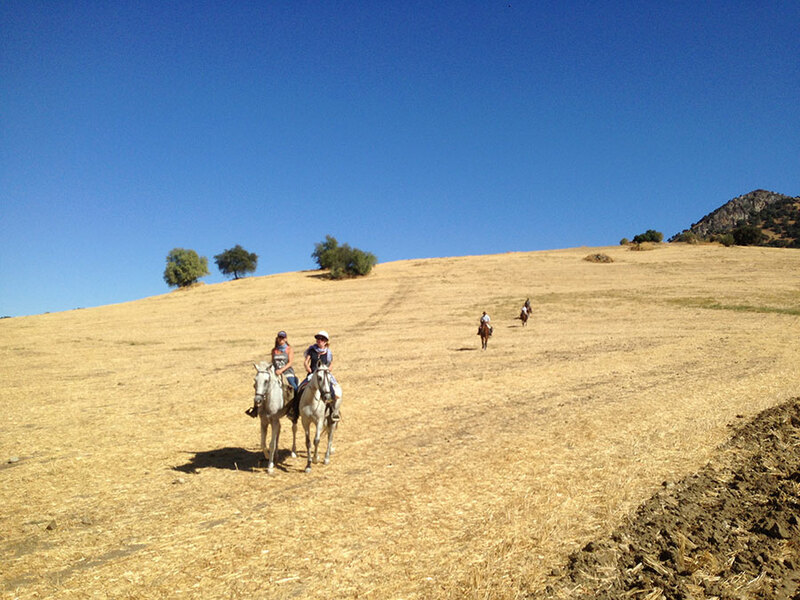 Continue path along until you reach a foraging for campero lunch, with a stop of one 2 approximate hours, where will remove all the horses their mounts so that they rest, as the riders. 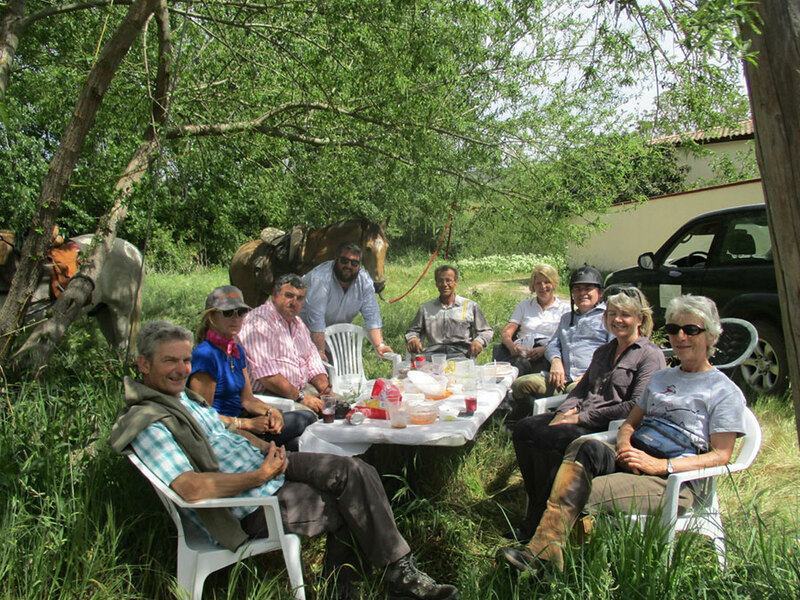 To them 16´00 hours approximately, will resume our route to enter us River Corbones up, to get to his birth and, stop new. 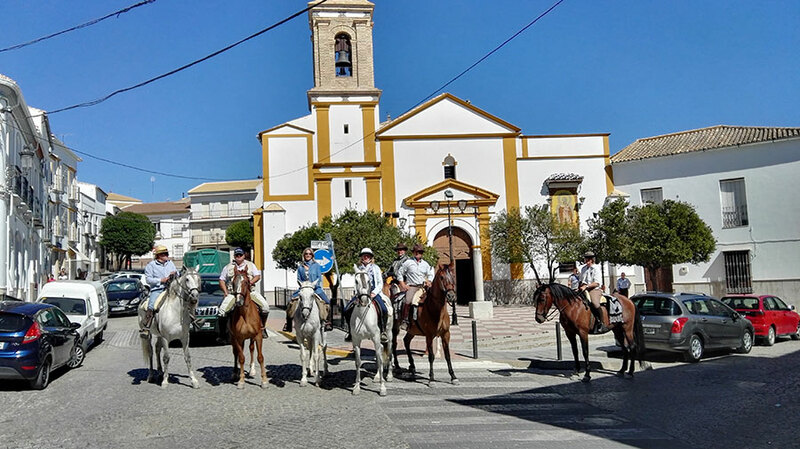 Subsequently, we ride up to the pretty Cadiz town of Alcalá del Valle, where will end our journey to make night into a rural hotel. 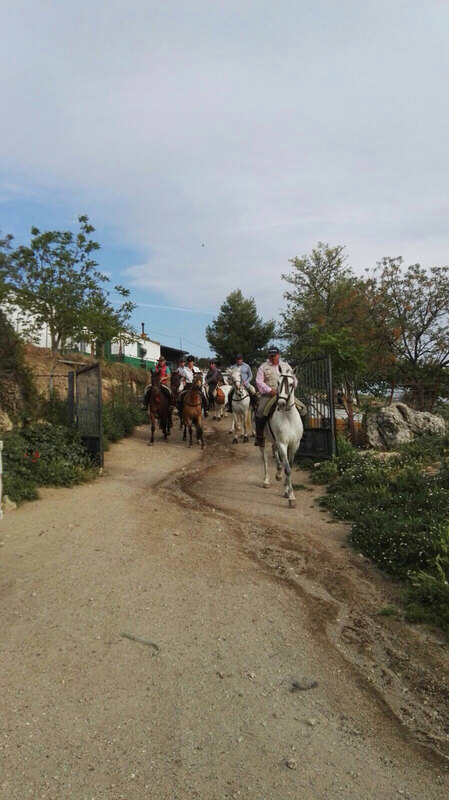 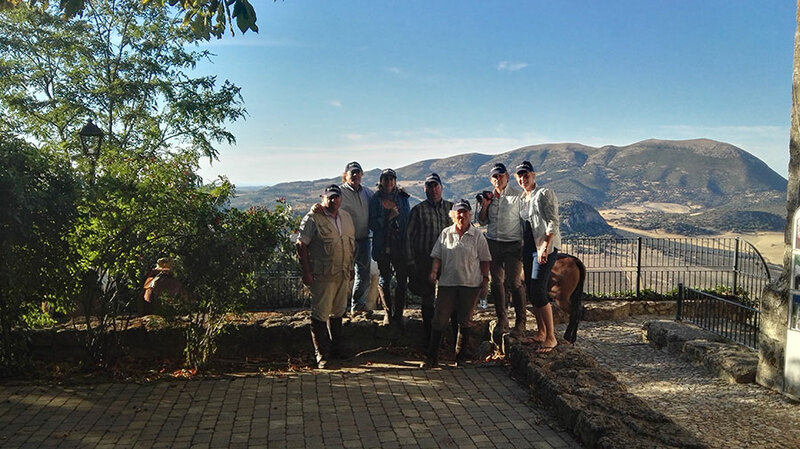 We will return to touch diana to the 8´00 in the morning to start your day with a good breakfast and regain strength for the final stretch of the route as, It will take us in the Serranía de Ronda. 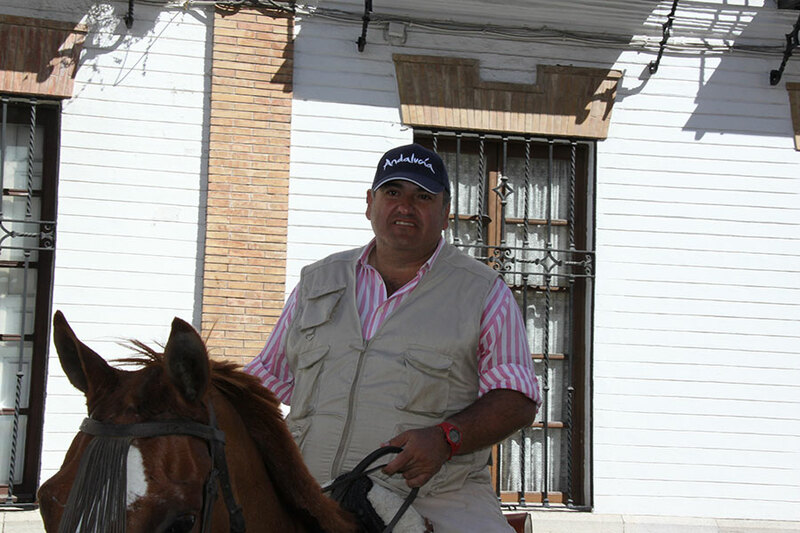 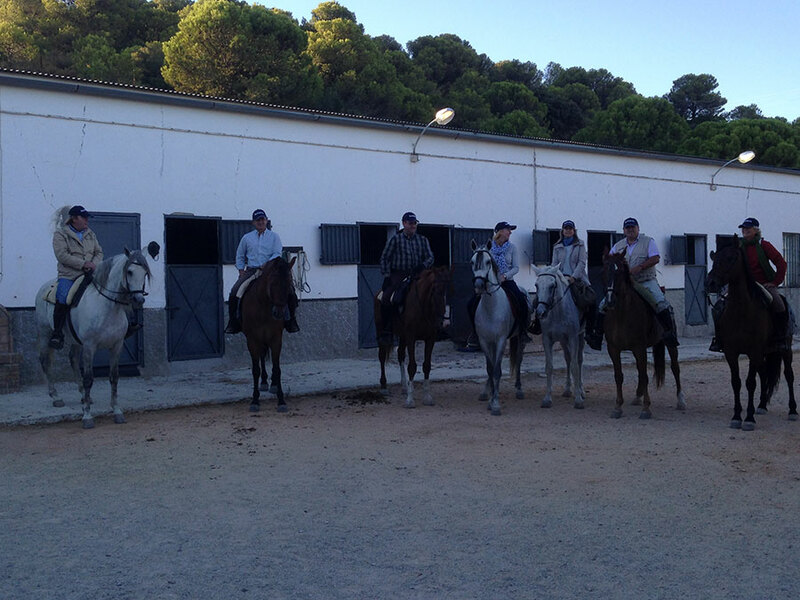 The 9´00 we will arrive to the block where sleeping road partners, horses. 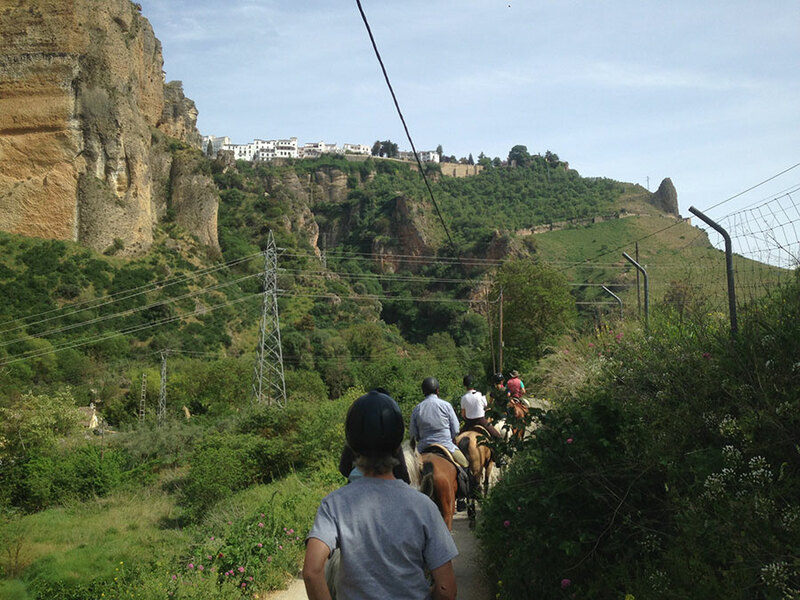 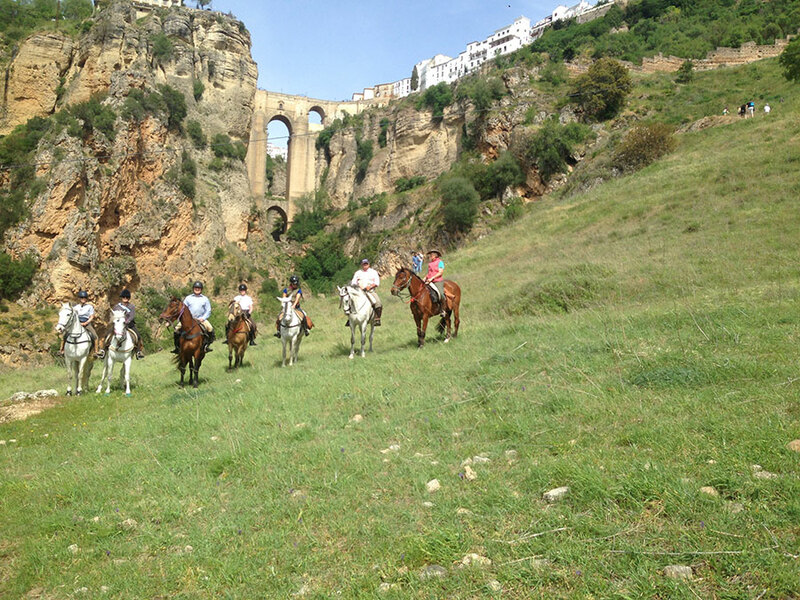 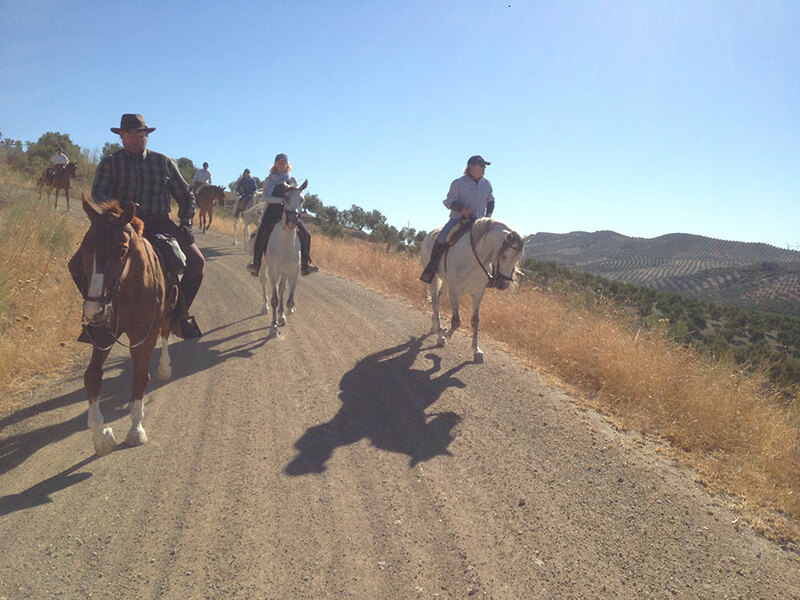 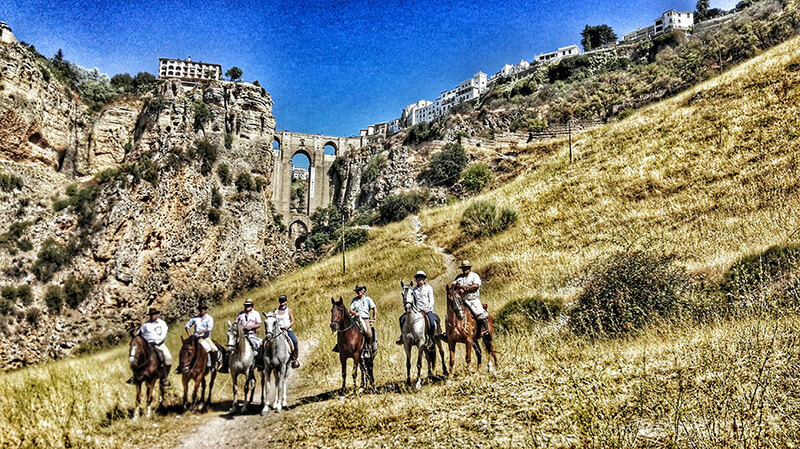 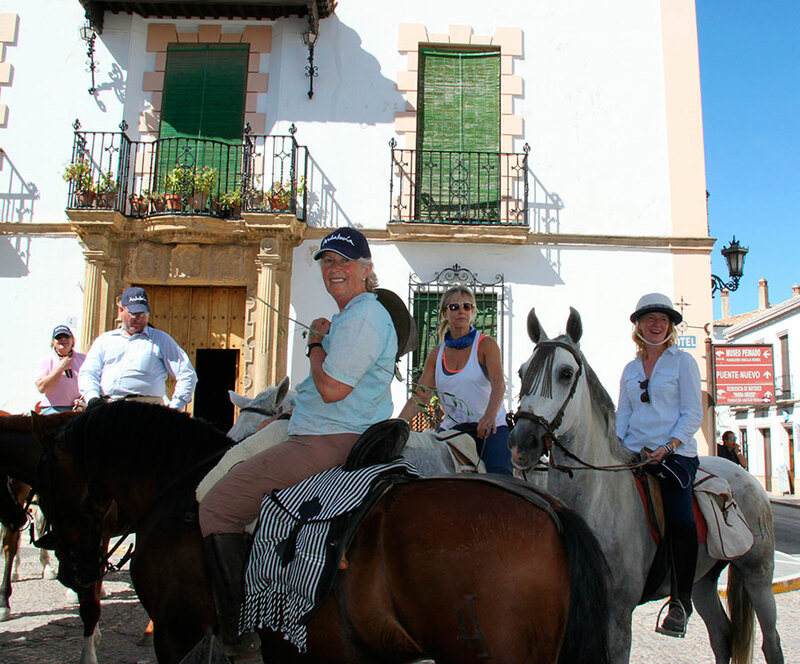 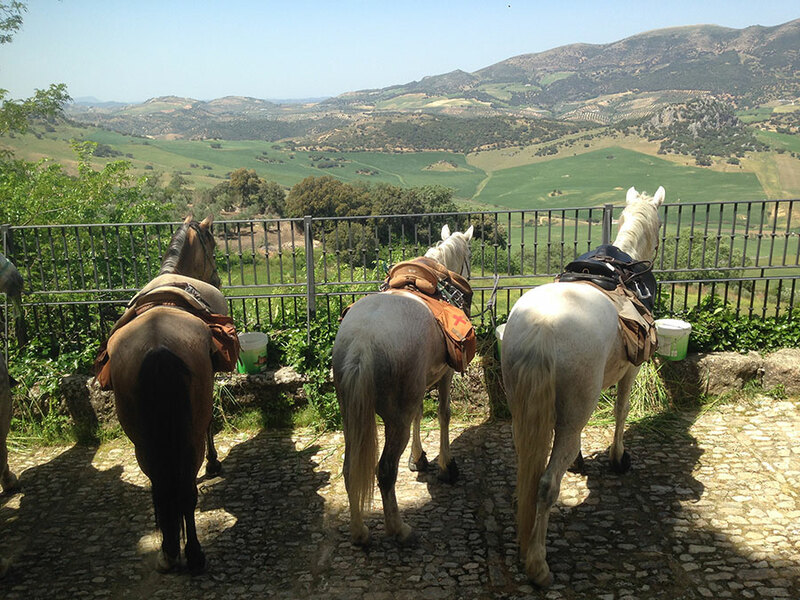 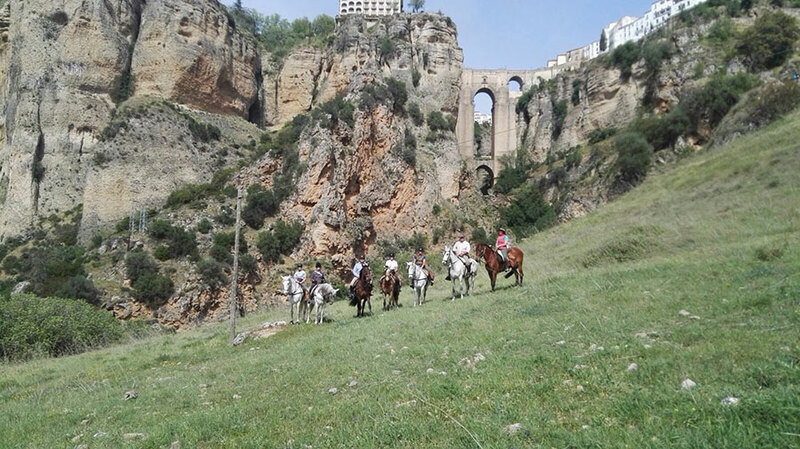 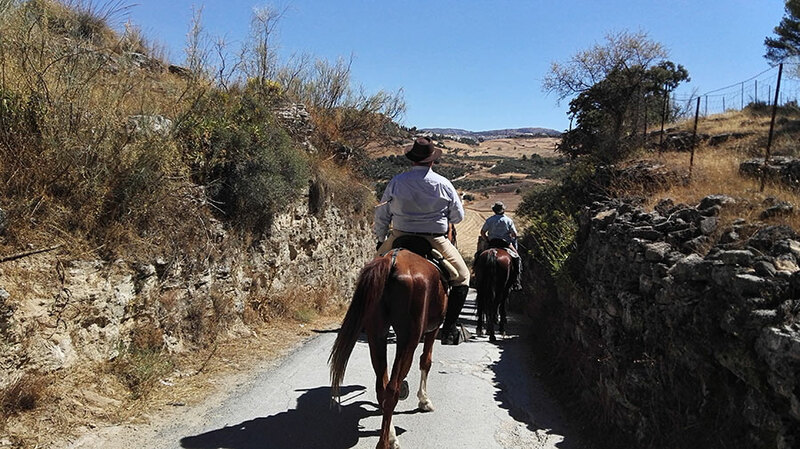 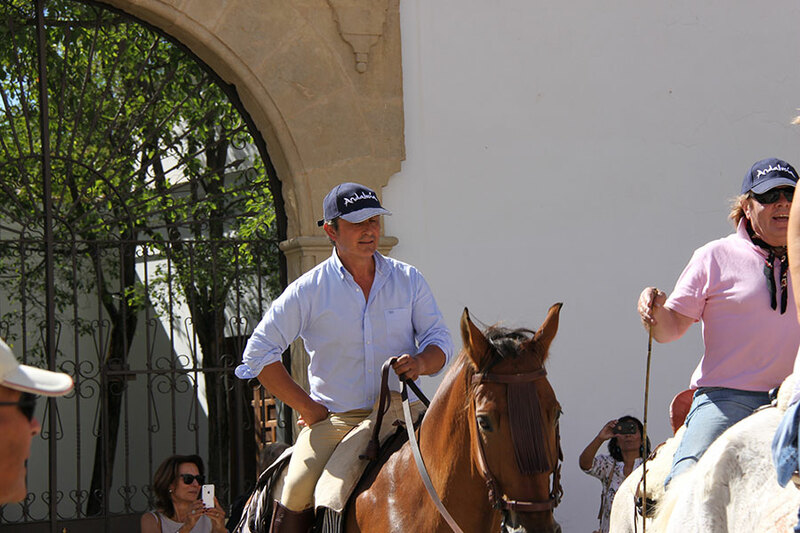 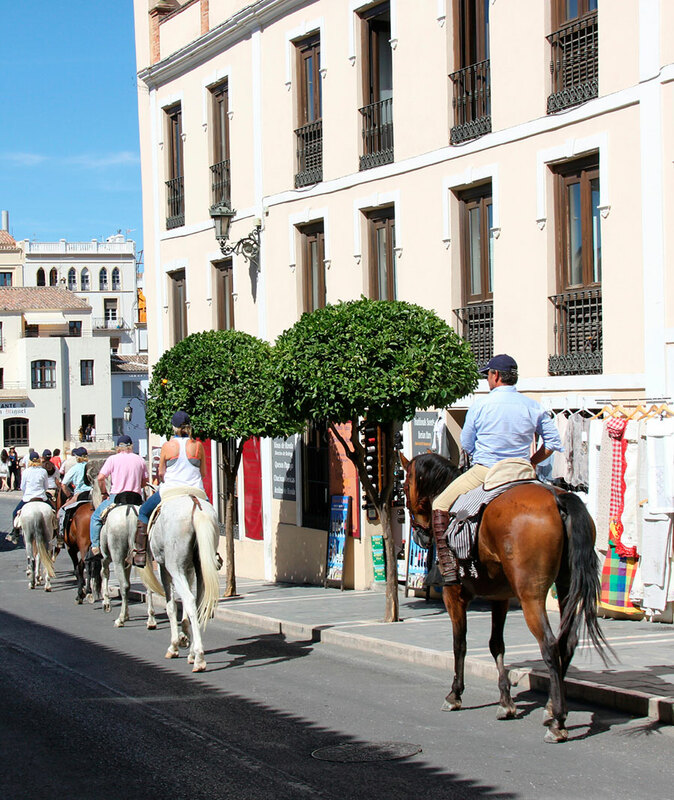 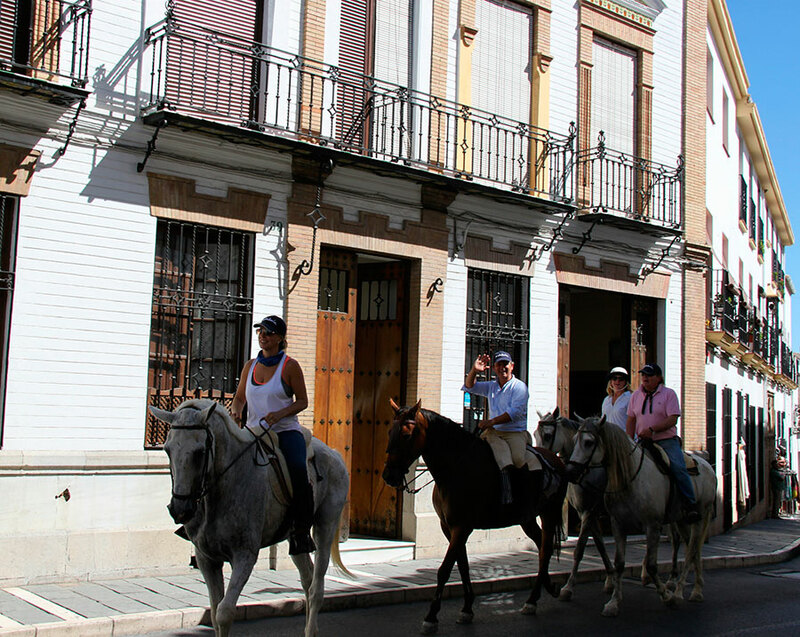 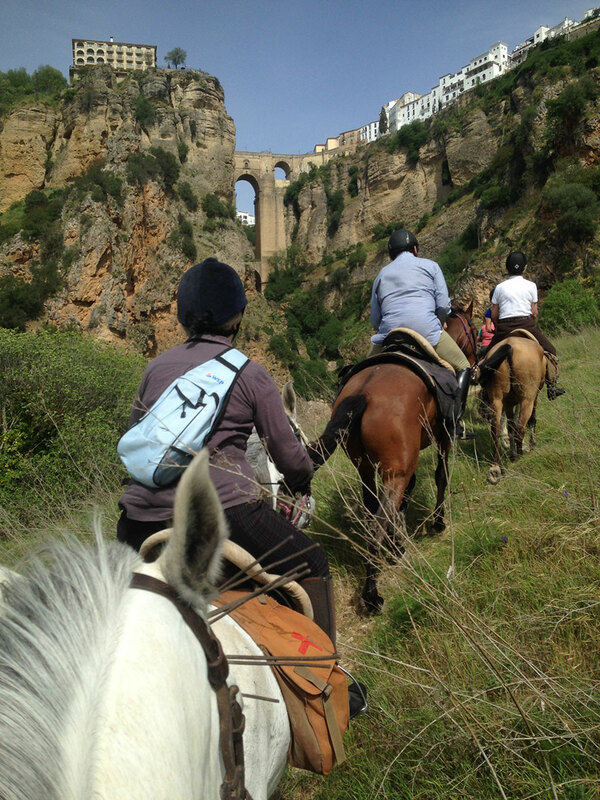 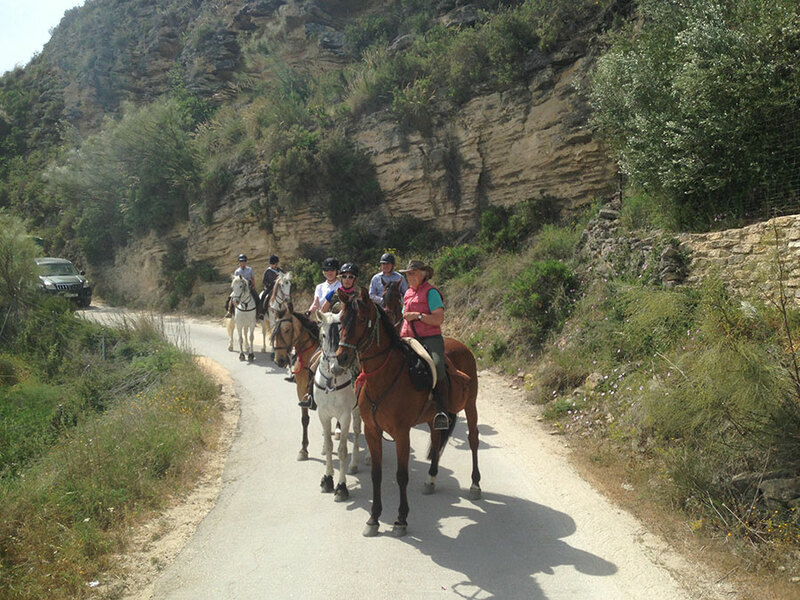 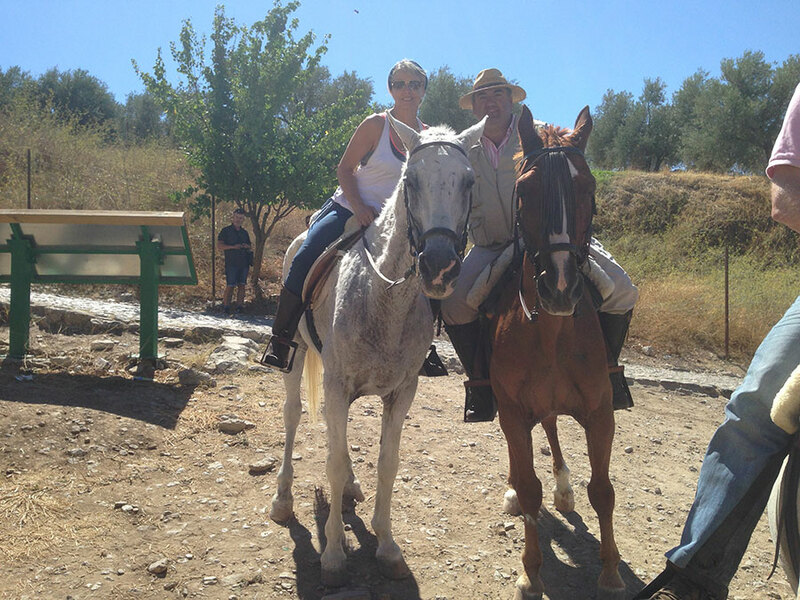 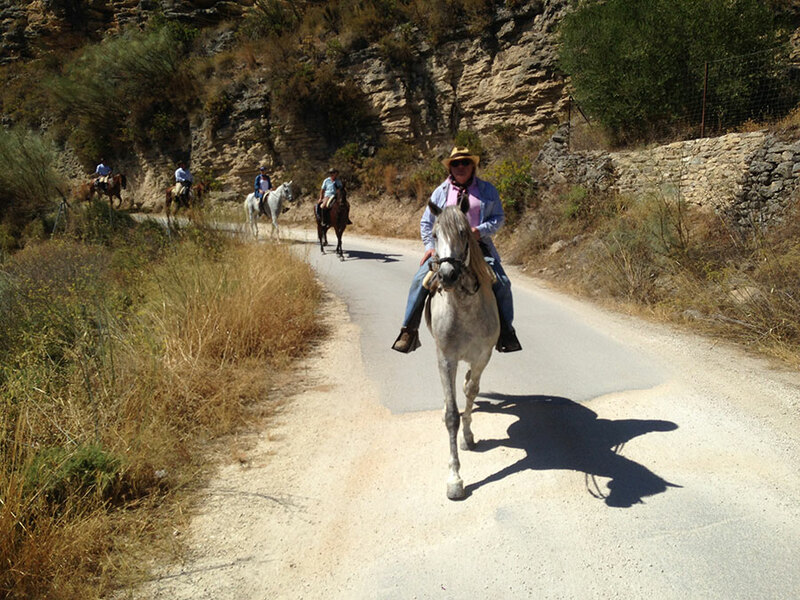 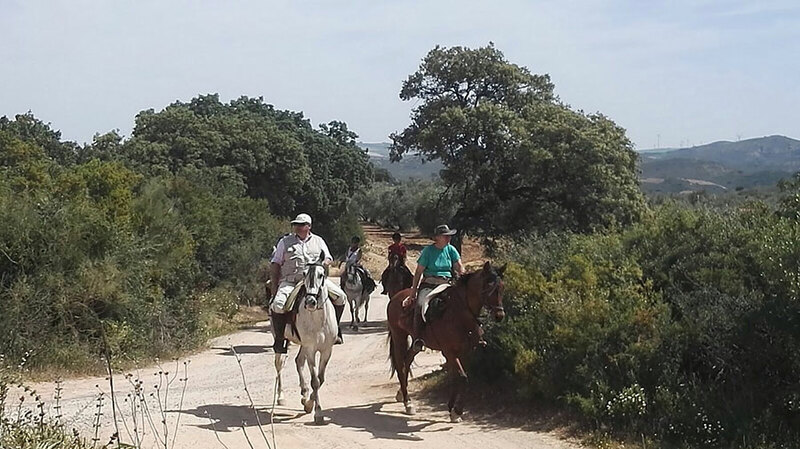 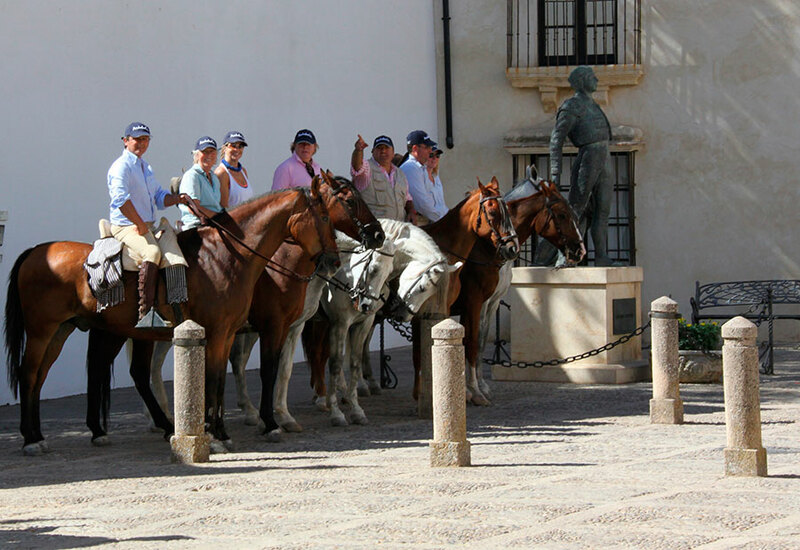 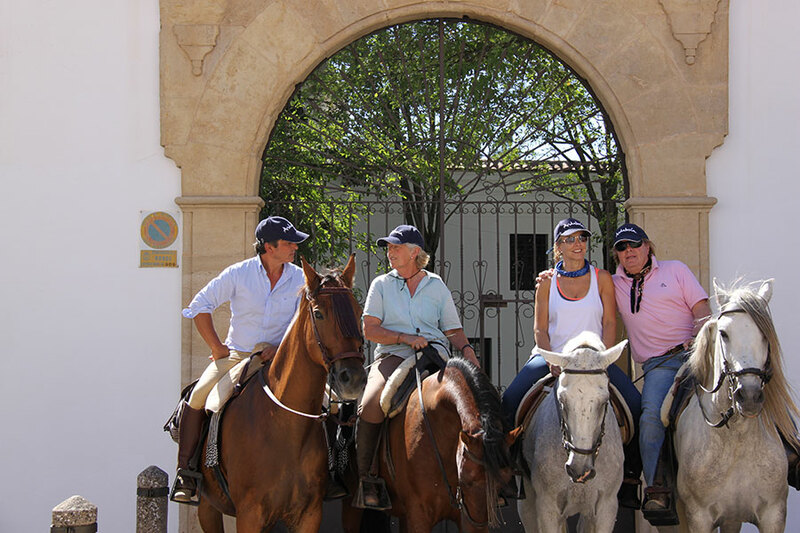 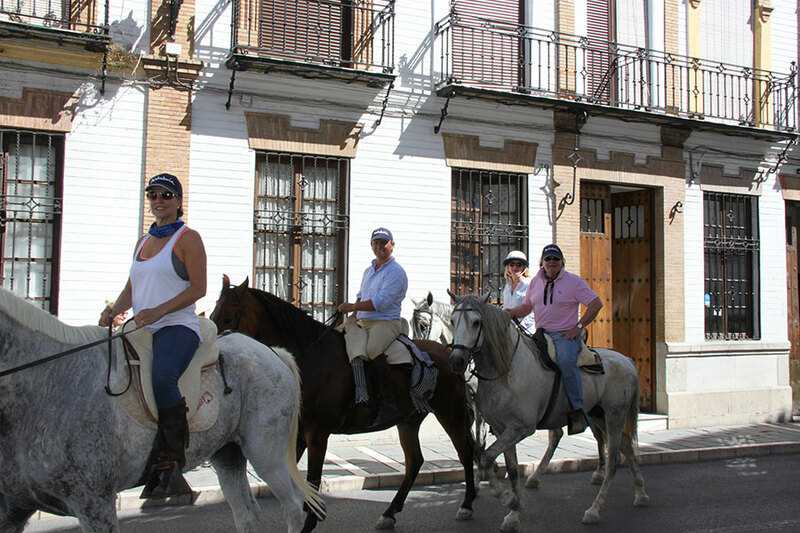 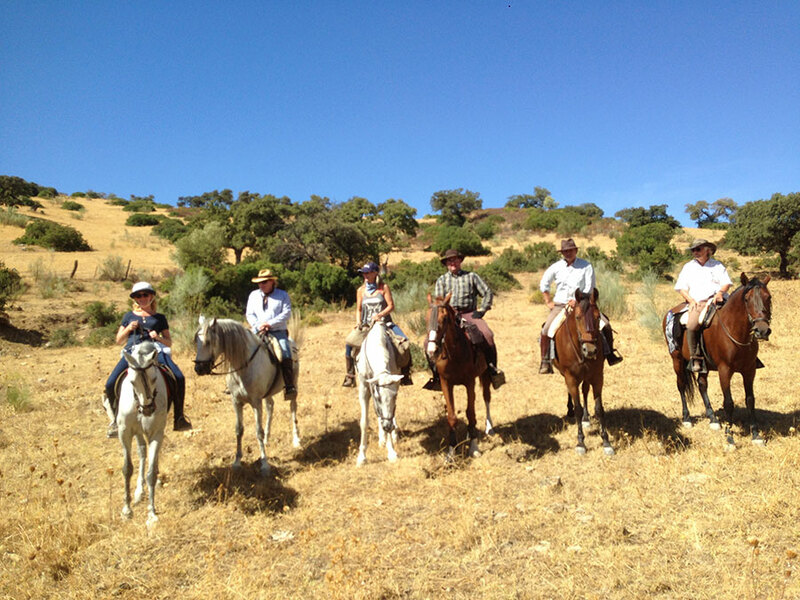 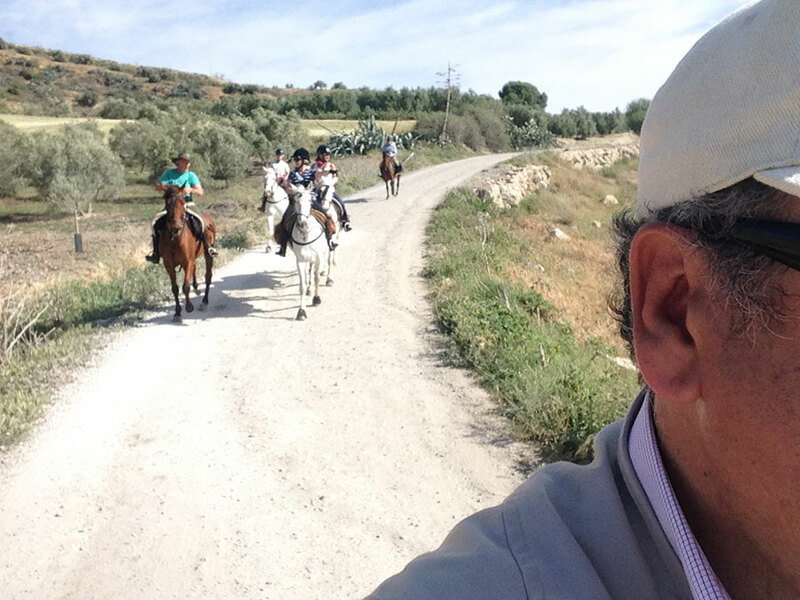 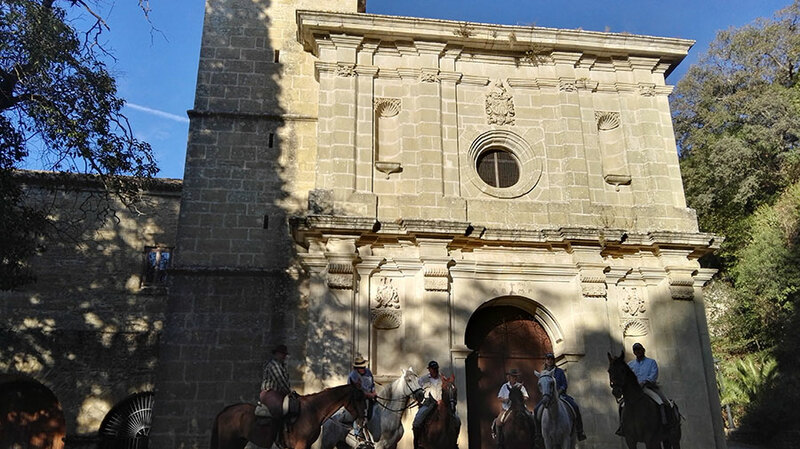 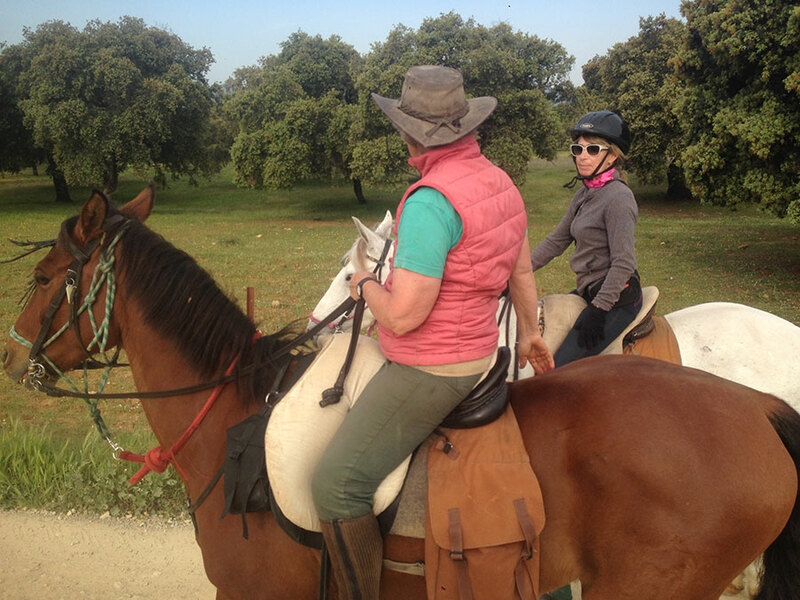 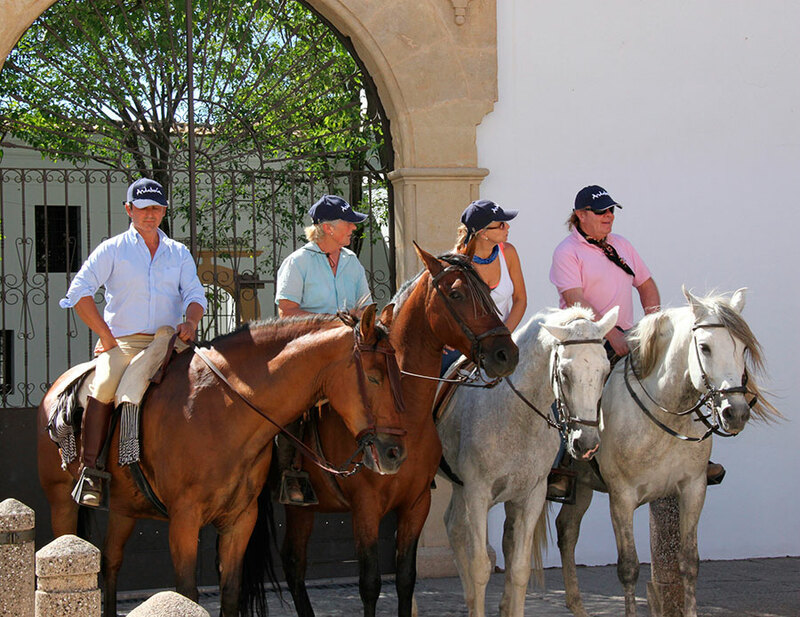 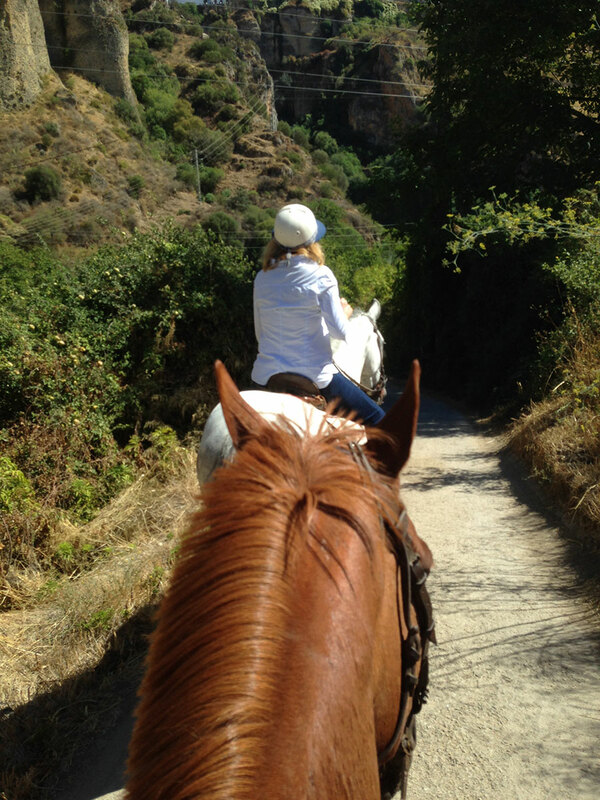 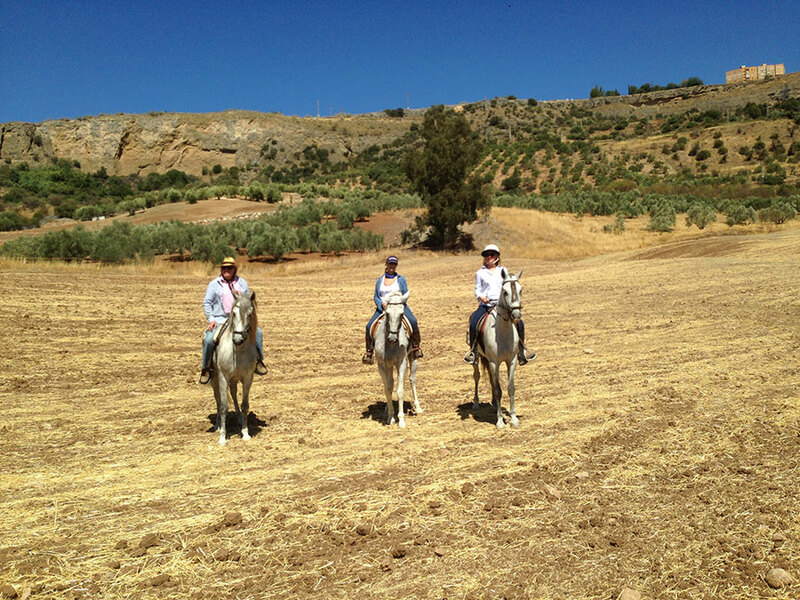 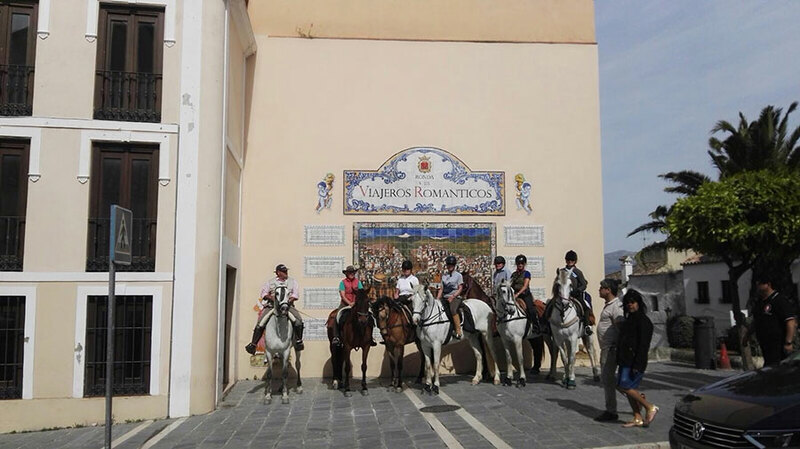 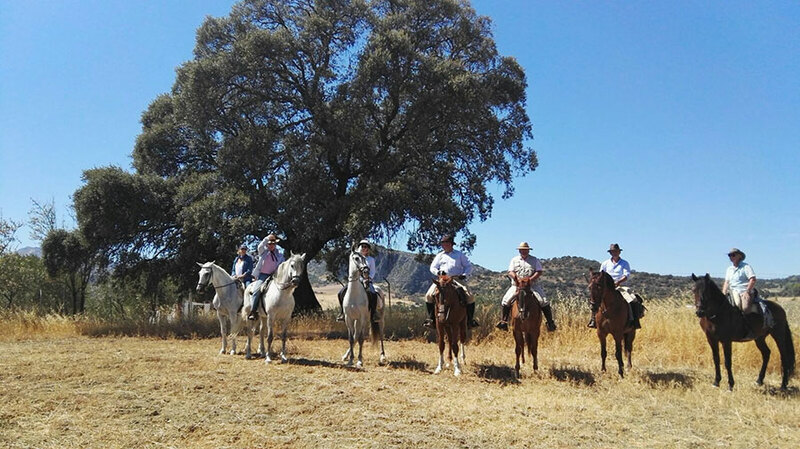 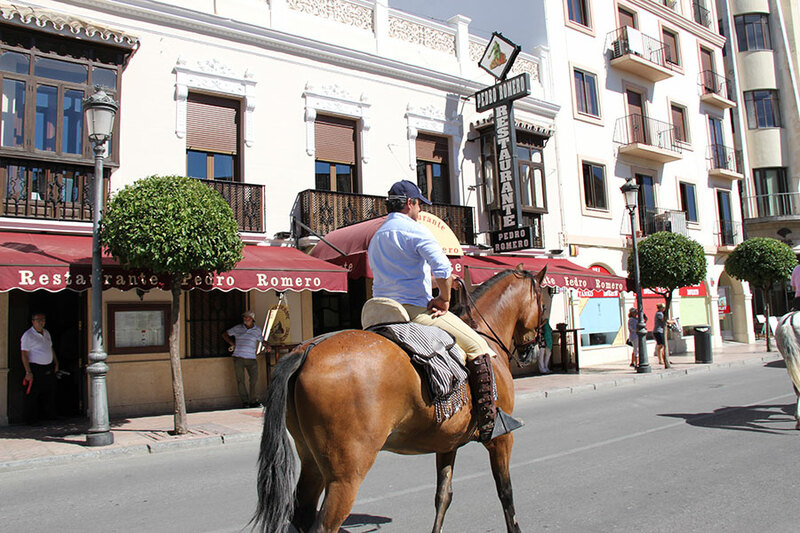 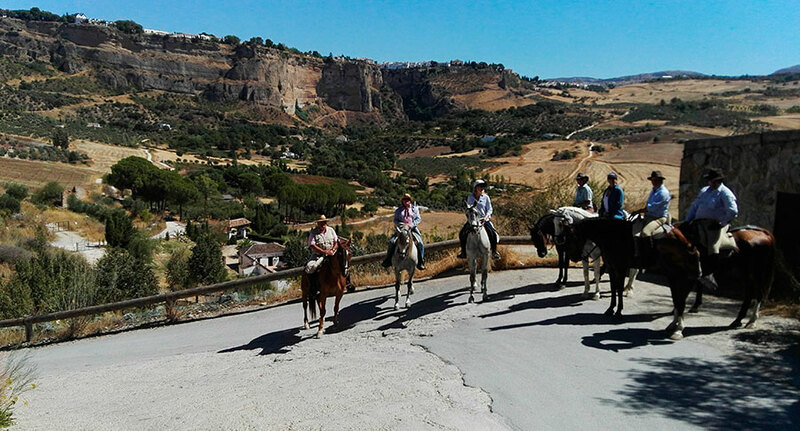 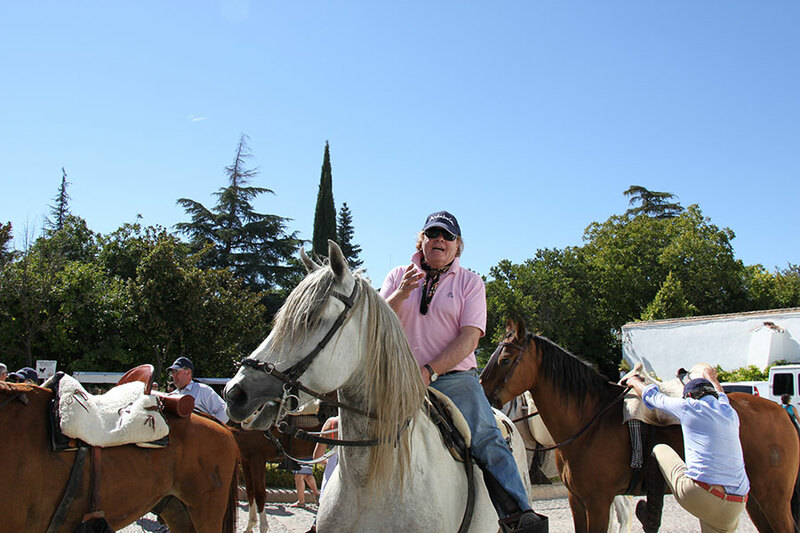 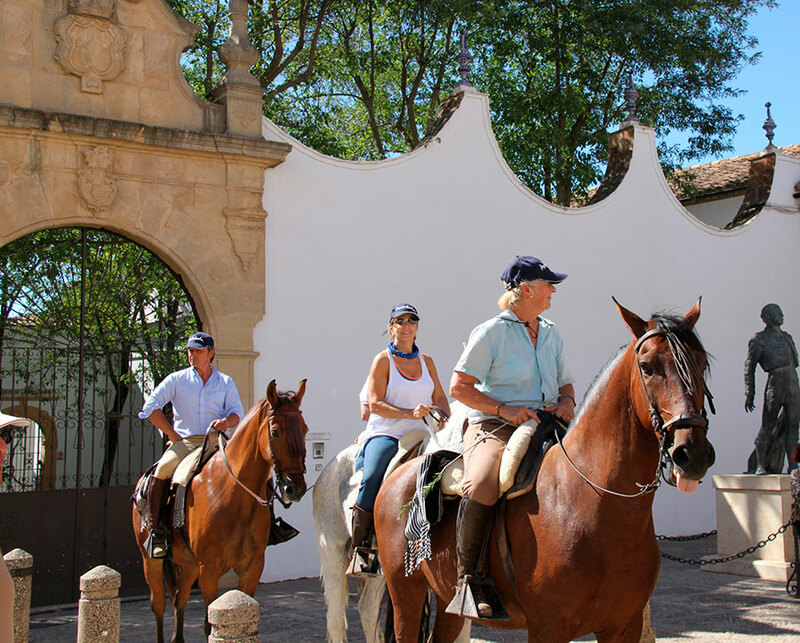 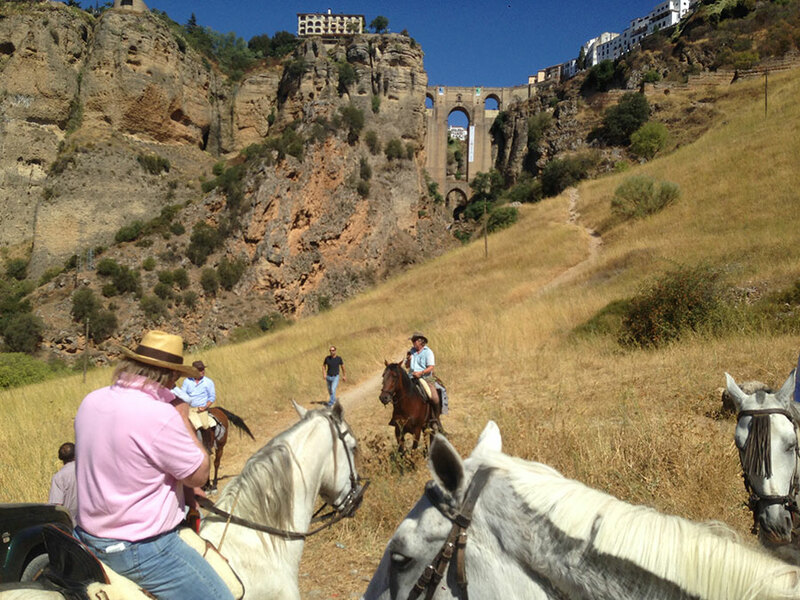 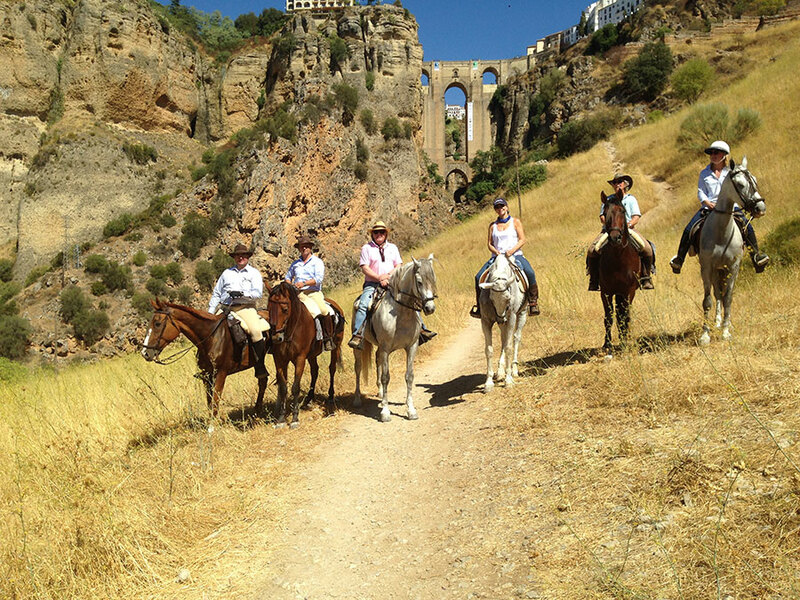 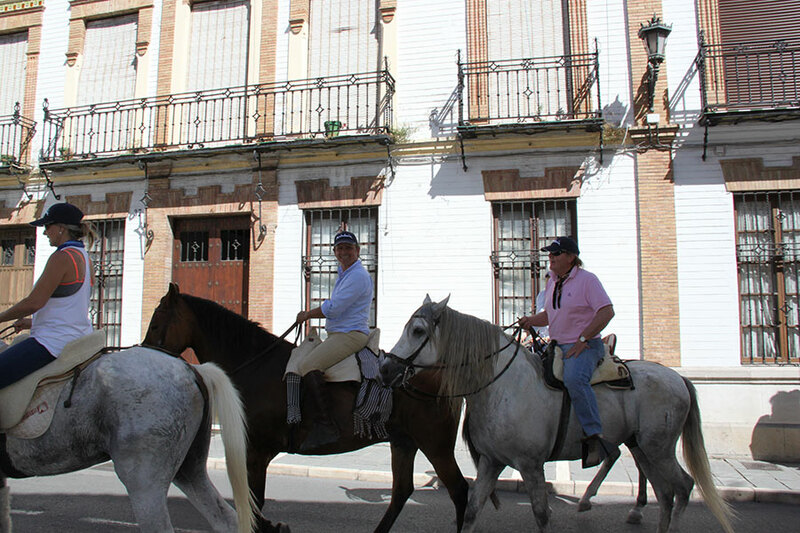 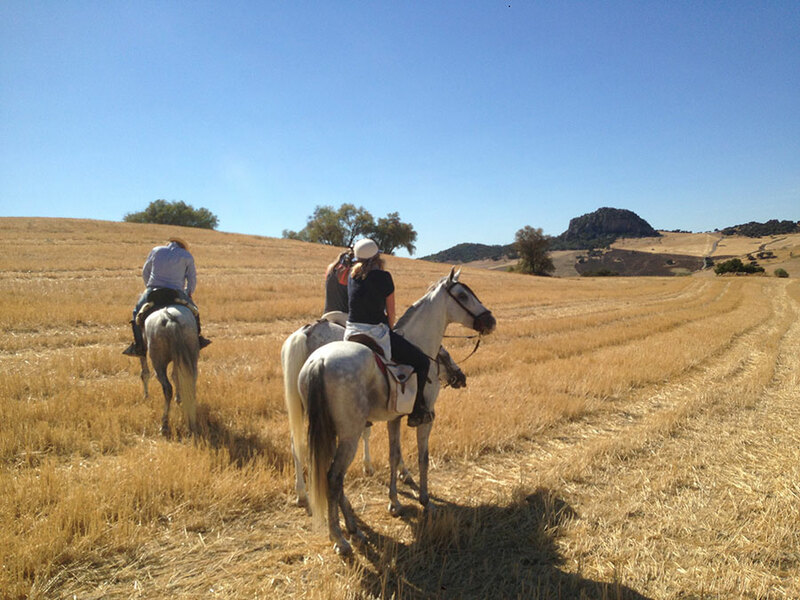 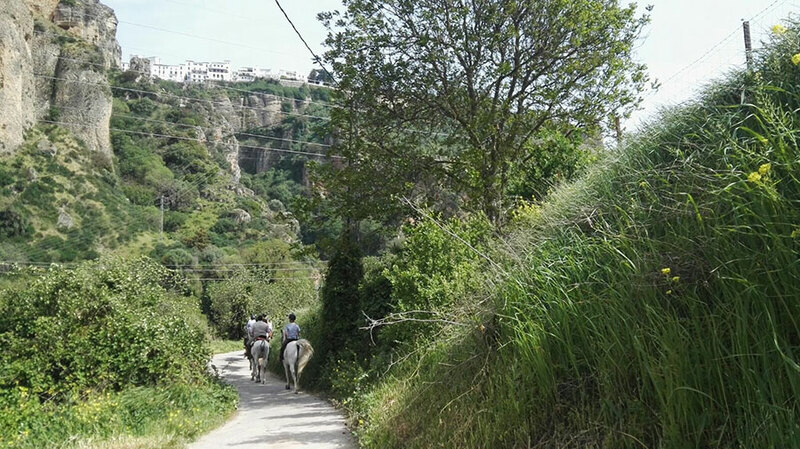 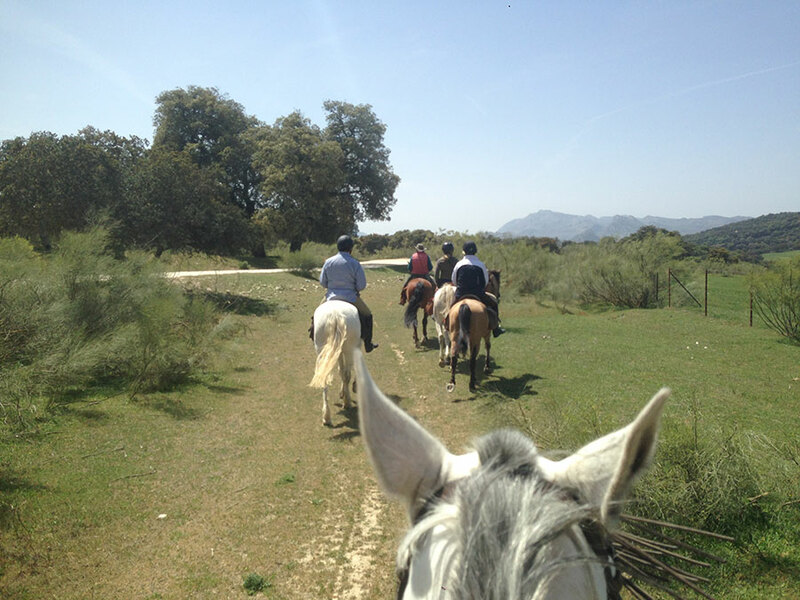 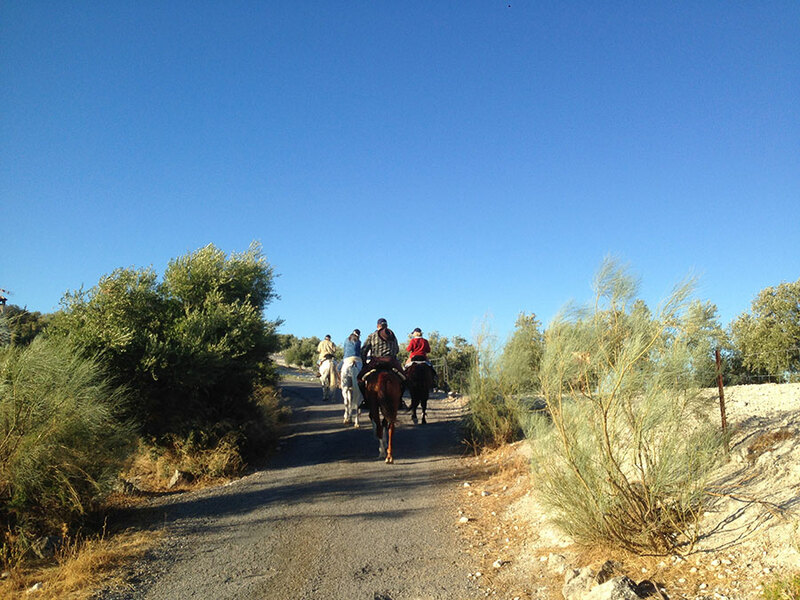 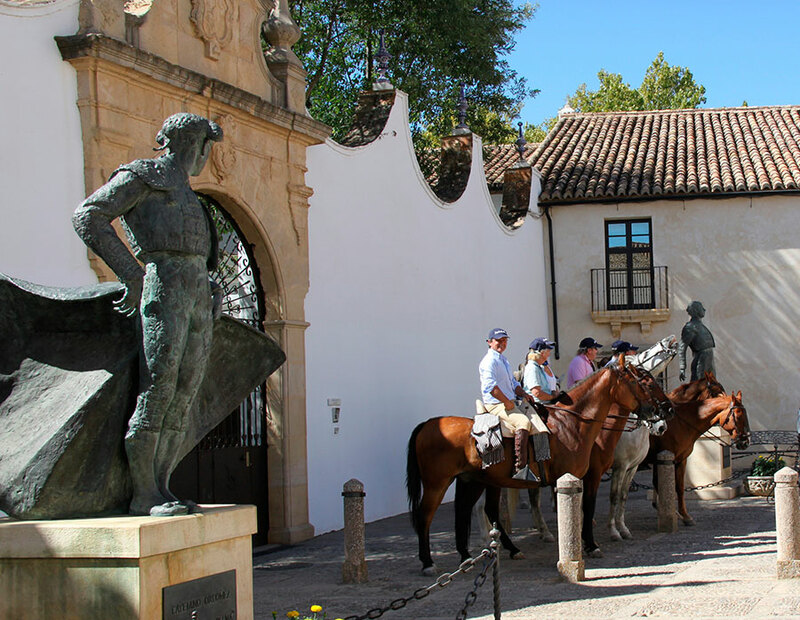 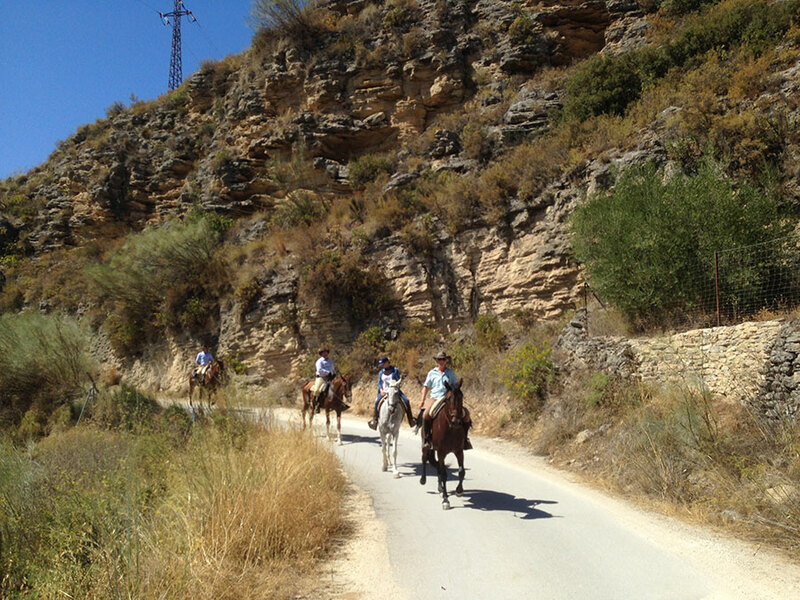 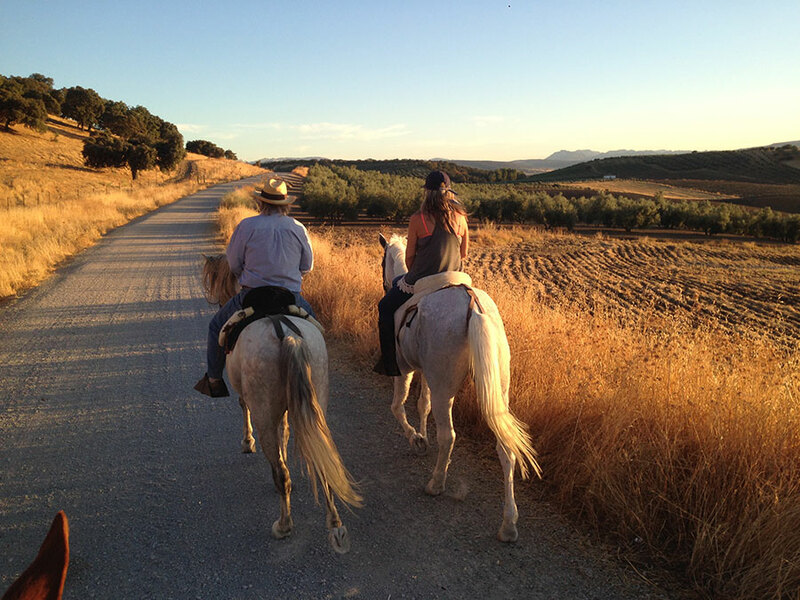 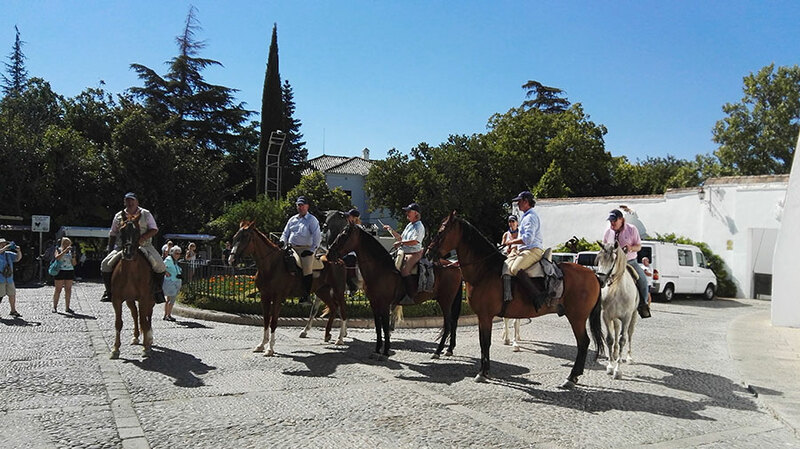 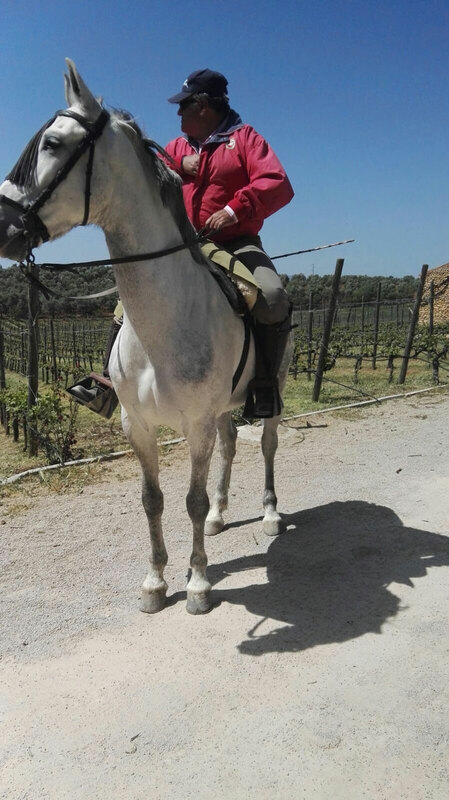 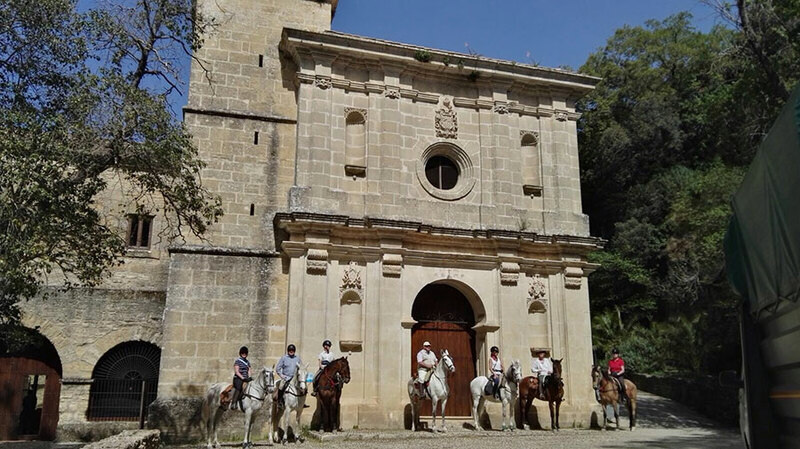 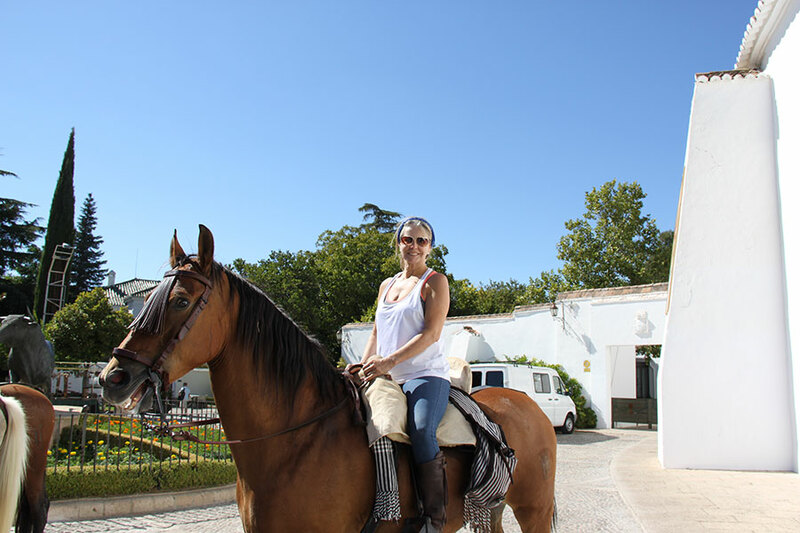 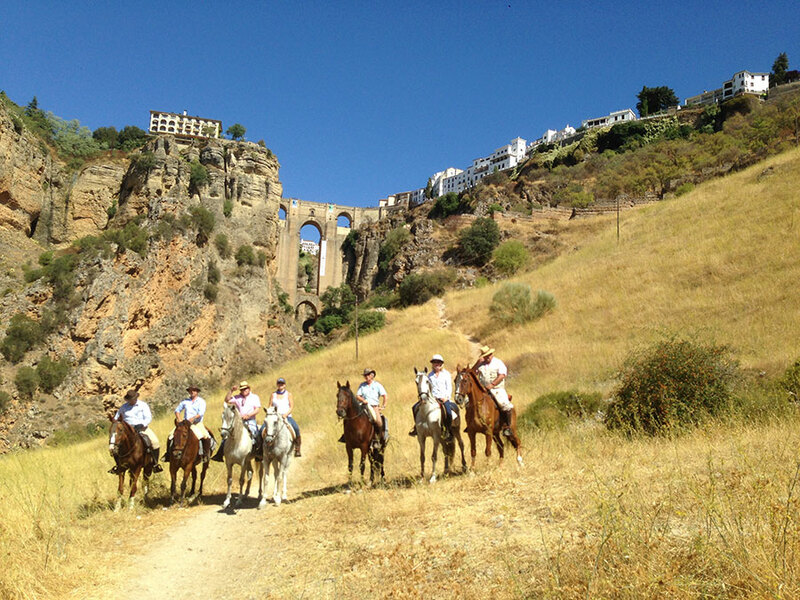 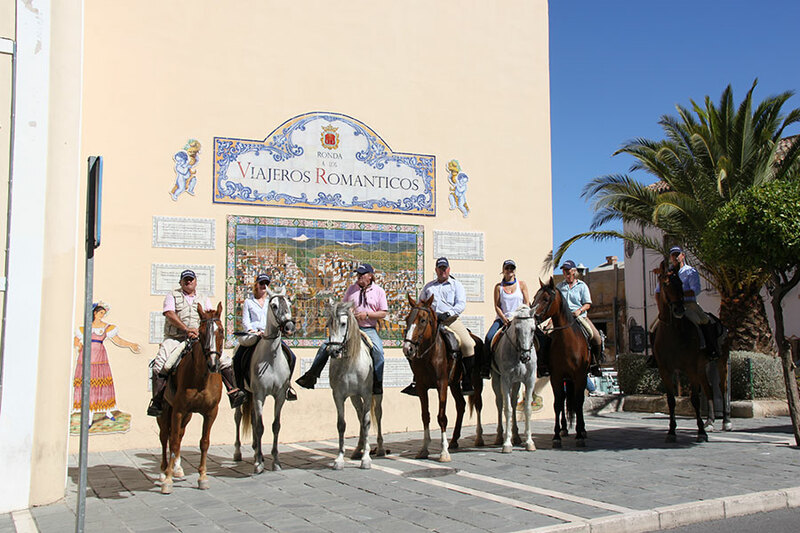 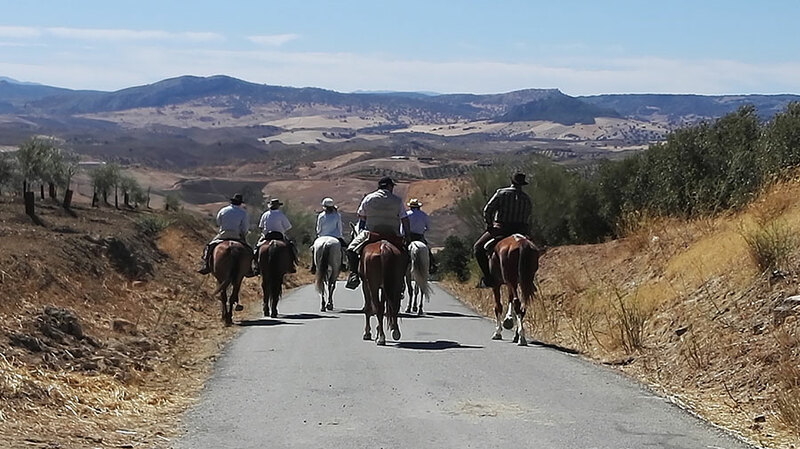 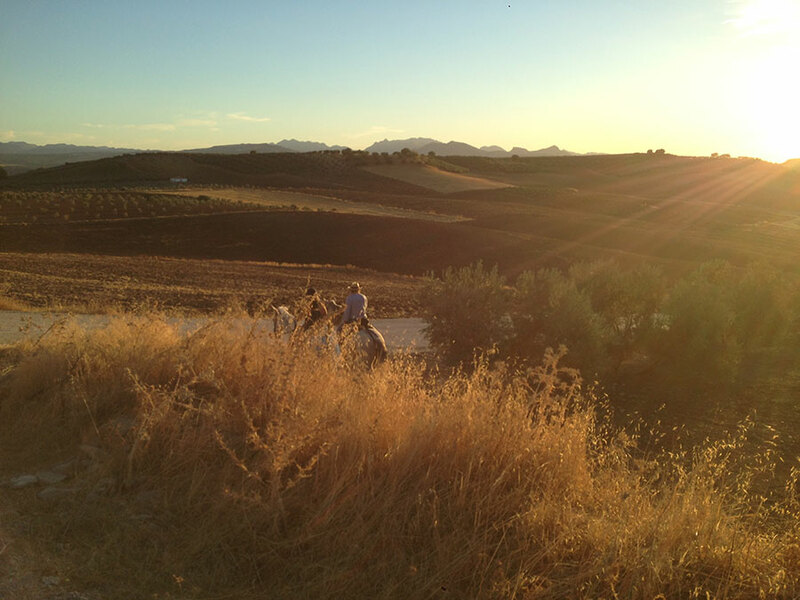 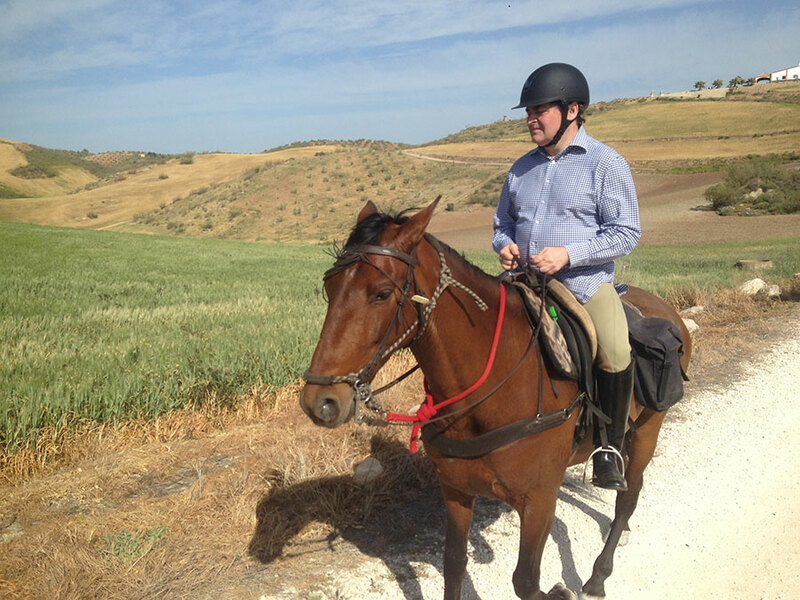 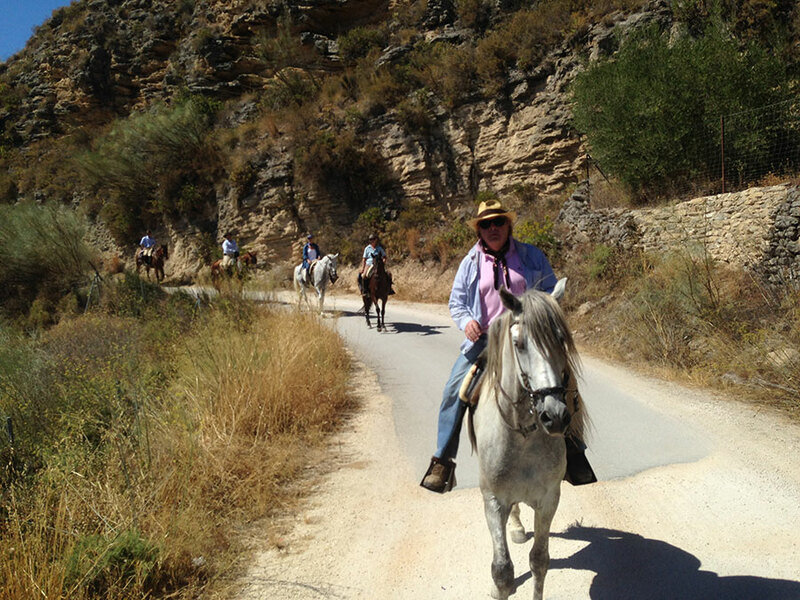 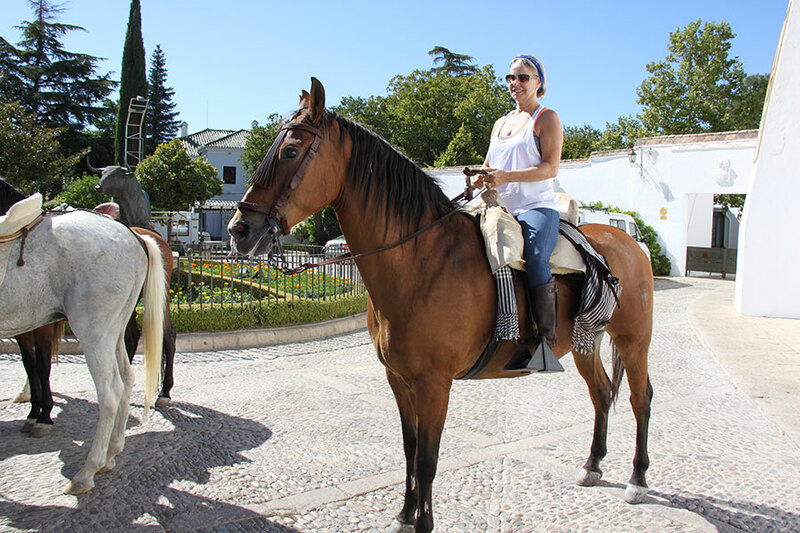 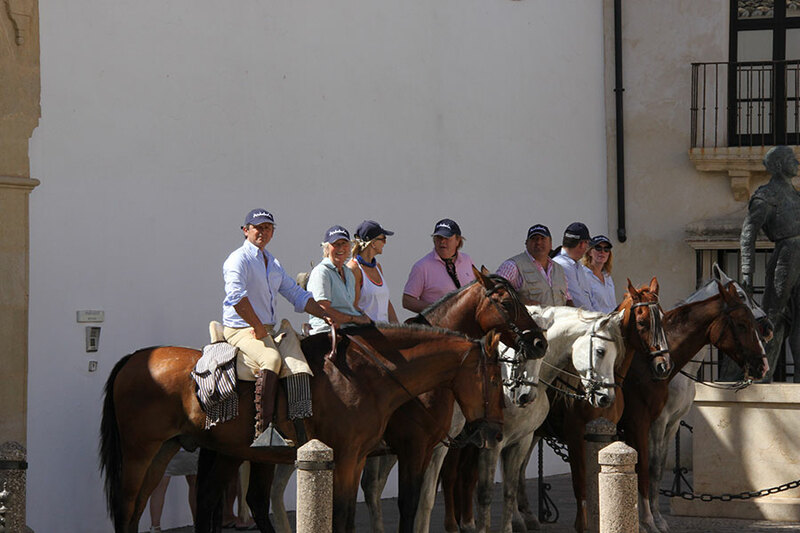 Once all riding our horses, We will continue the path until you reach Ronda Malaga, cradle of banditry by excellence, ending our route in the bicentennial Plaza of bulls. 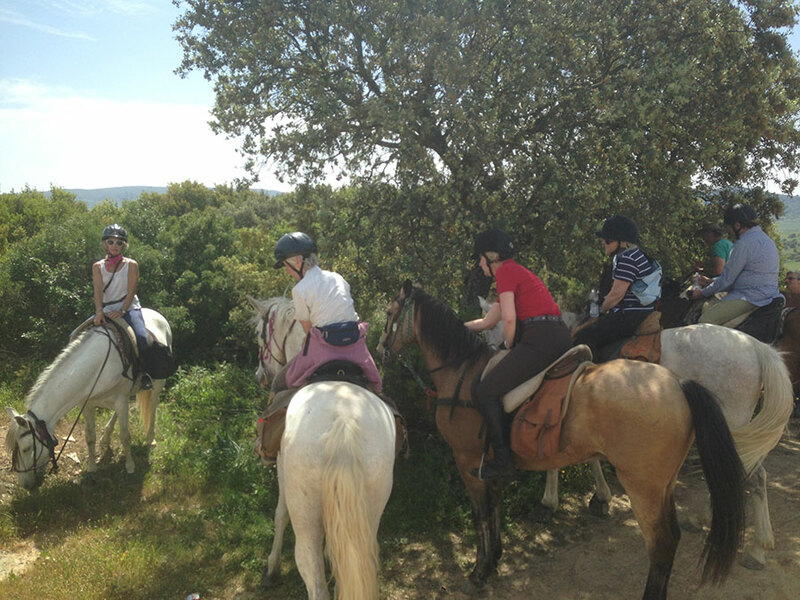 We will have a couple of stops to stretch legs and refresh us with a brief snack. 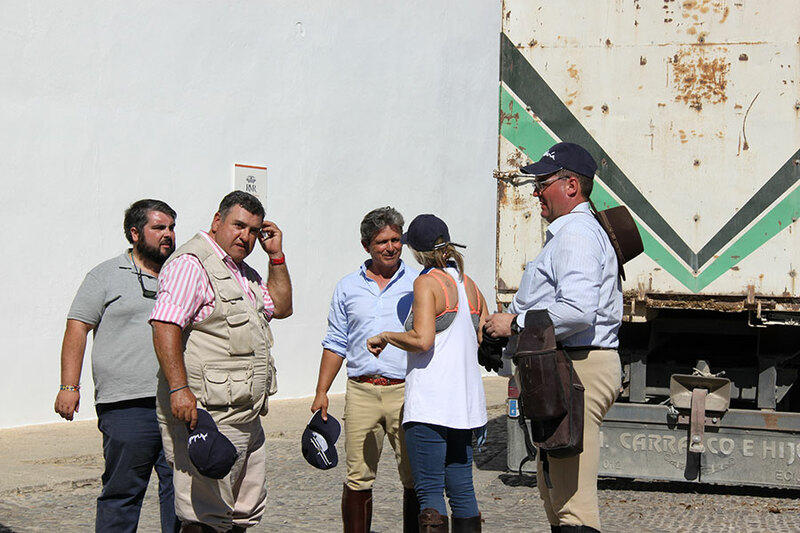 Already in round, We will proceed to board our horses on a truck that will take them to the block from start of the route. 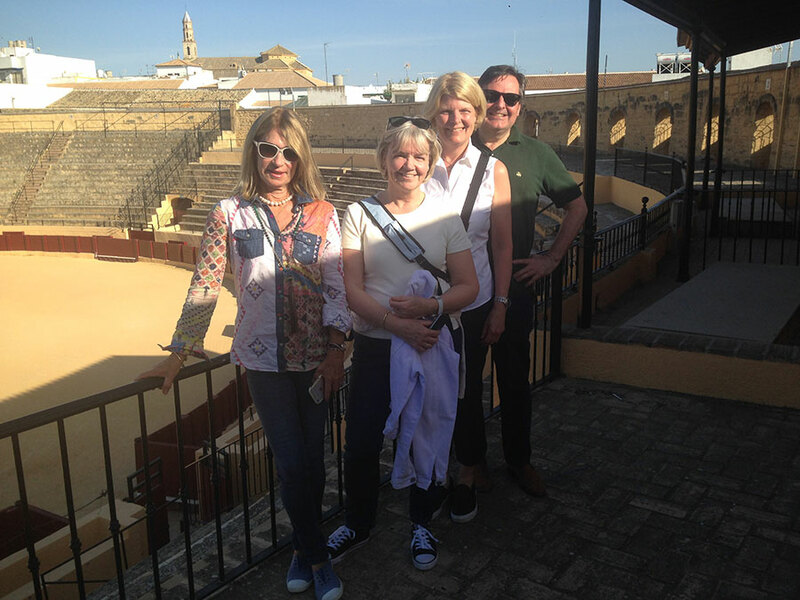 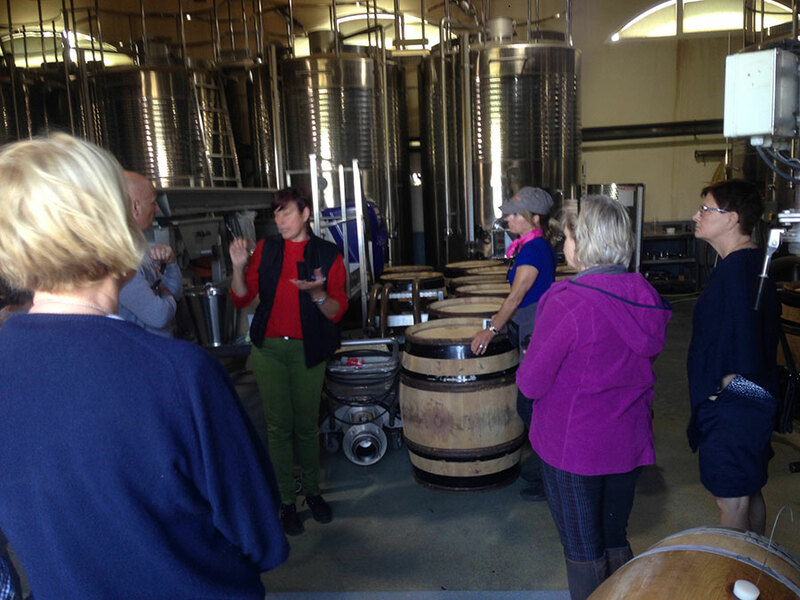 We will visit the bullfighting Museum, located at the Plaza de Toros and a short visit to the city of Ronda, for return drive to our site starting in the complex "Bed and breakfast Las Viñas" on a Osuna, where will our back night. 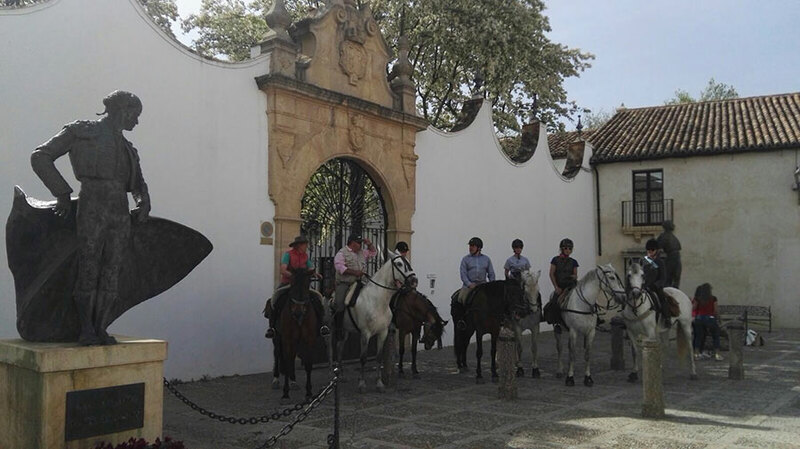 Day free to visit the Villa Ducal de Osuna, its monuments, its streets and tasted their dishes. 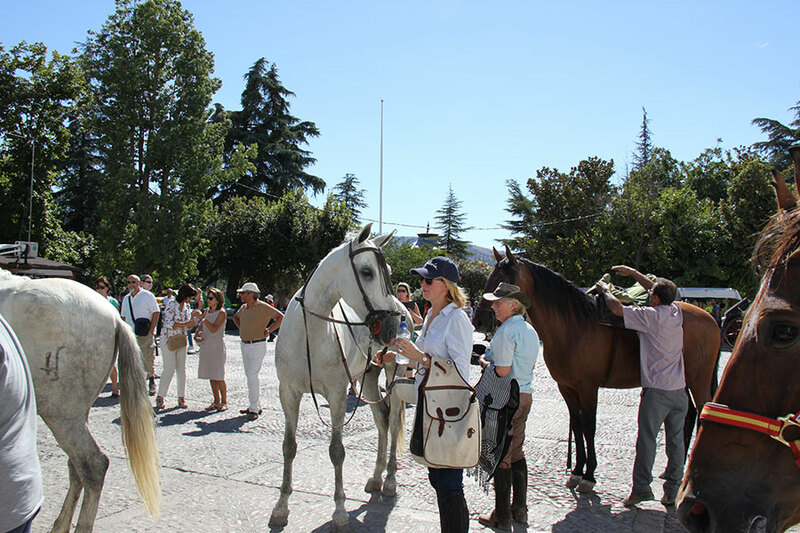 Final farewell to participants. 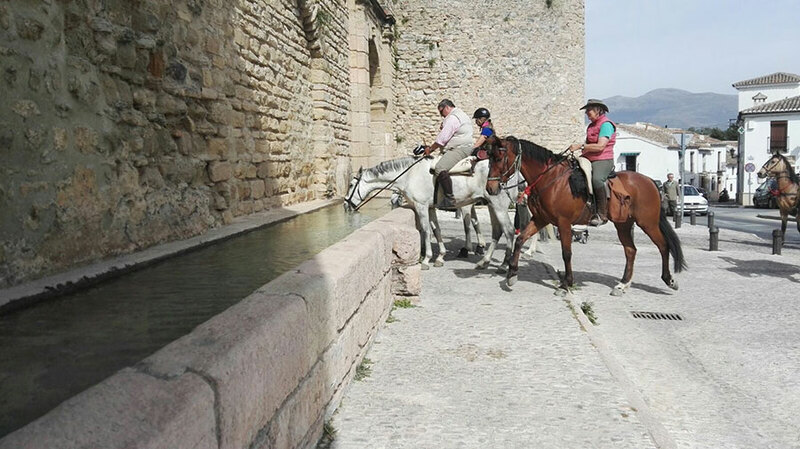 – Accommodation of 3 nights. 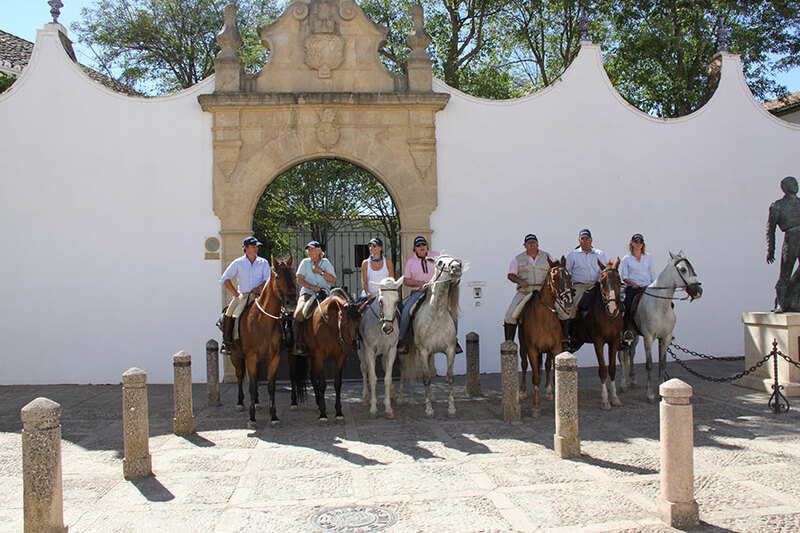 – Horse and Equestrian equipment rental. 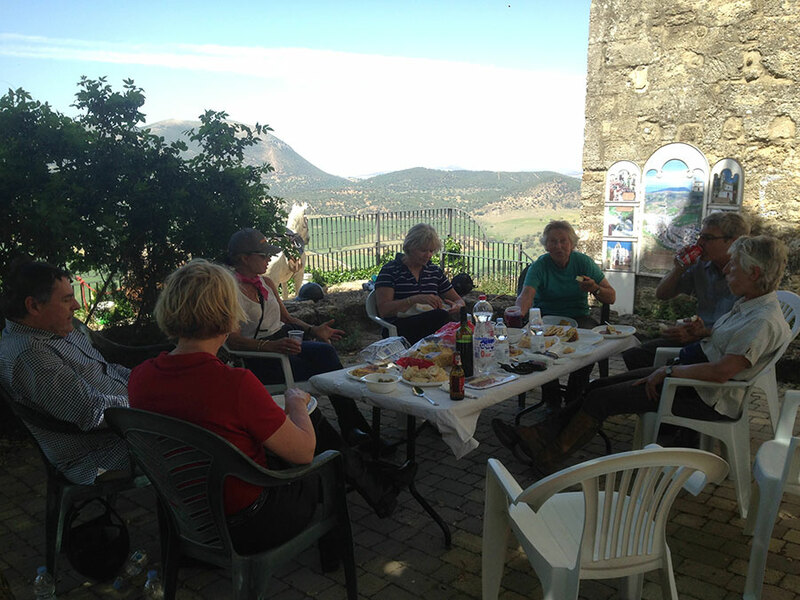 – Breakfast, snacks, lunch and dinner, during the route. 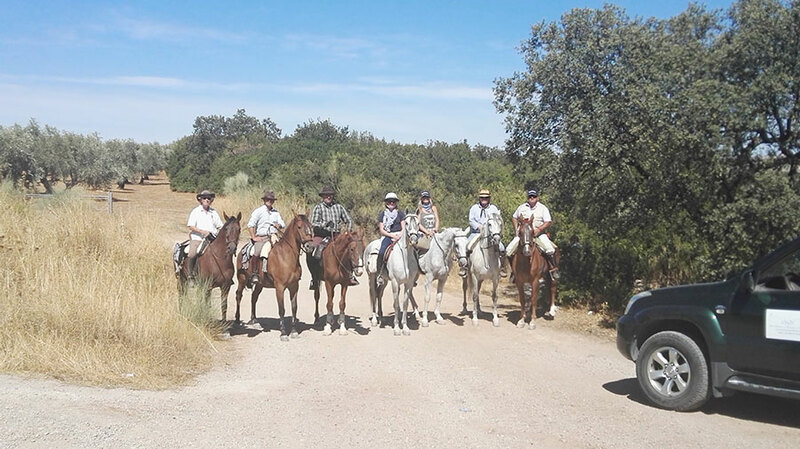 – Transfer in car from round to Osuna. 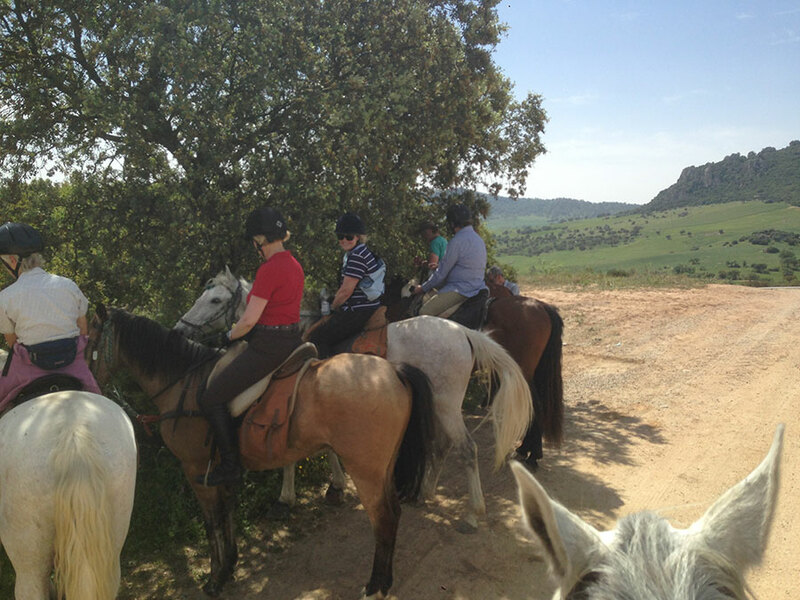 – SUV / VAN that accompany us in the entire route. 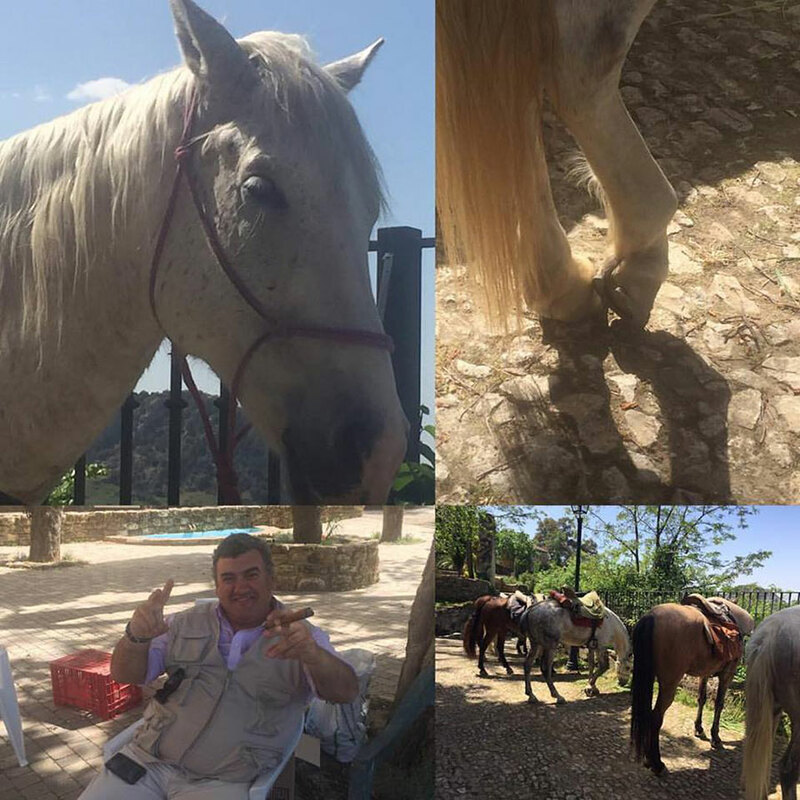 – Food, breakfast and dinner, of those days 1 and 4. 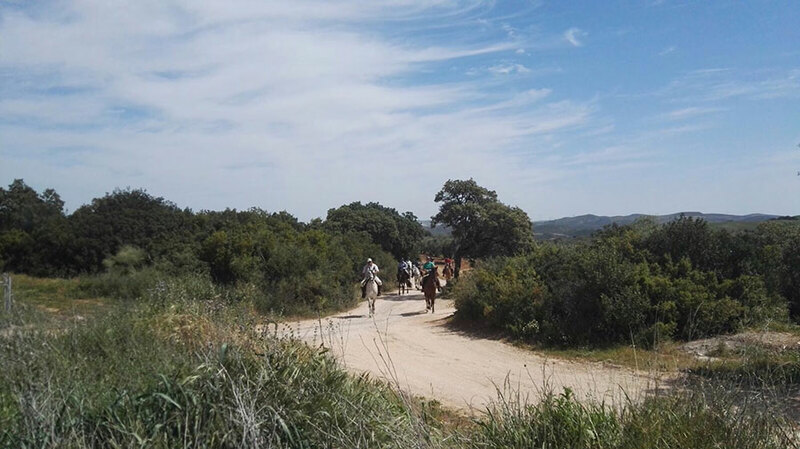 Routes: Of the 28 February to the 30 of Mayo and of the 1 September to the 15 October. 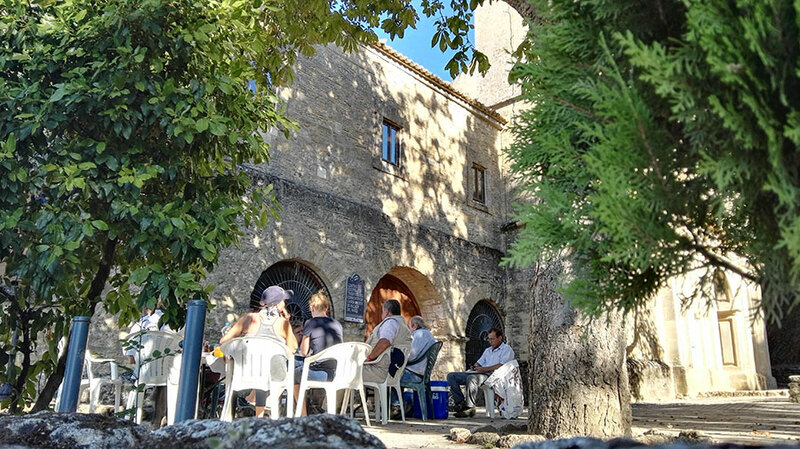 NUM. 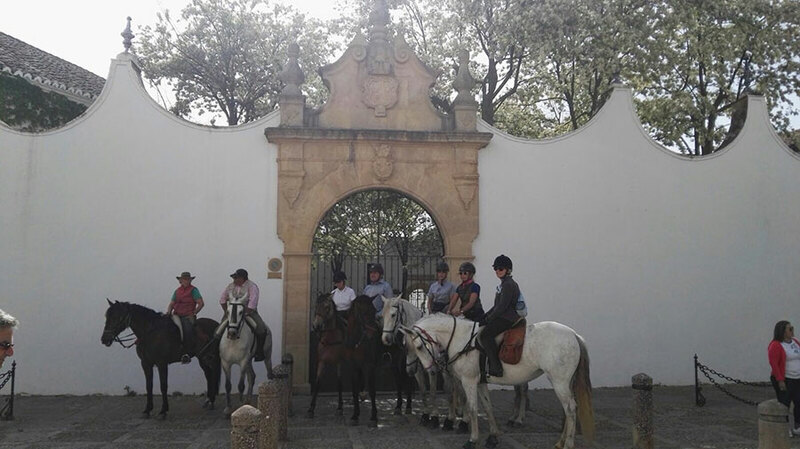 Minimum of participants: 6/7. 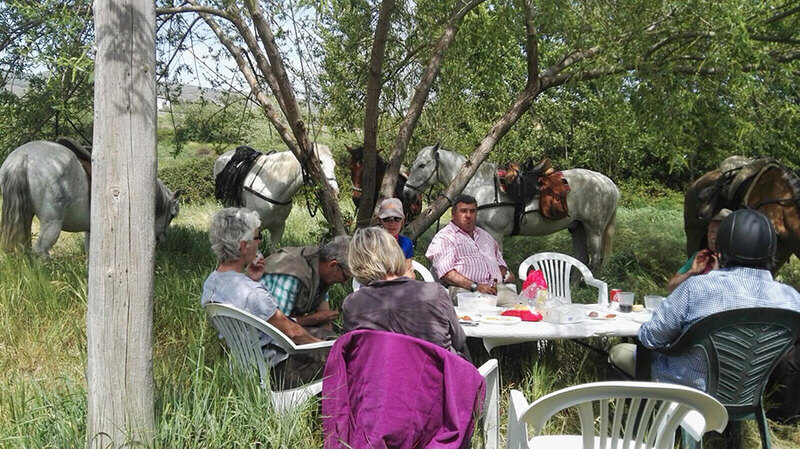 NUM. 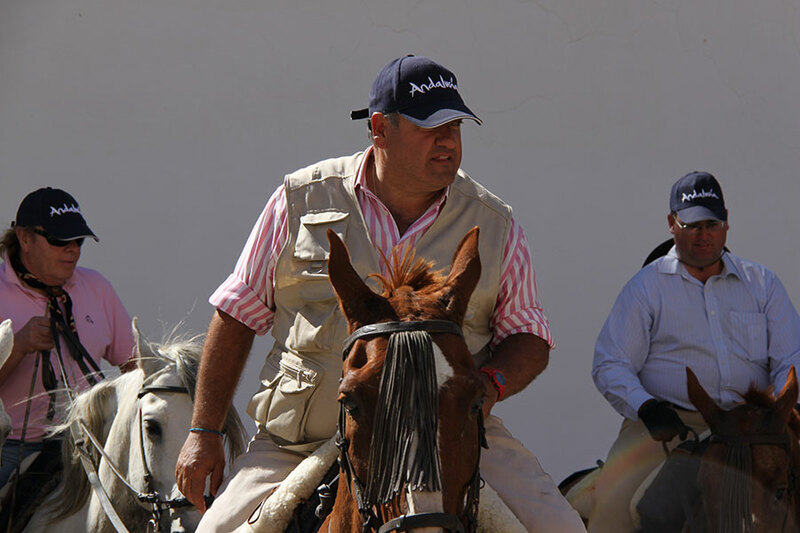 Maximum of participants: 10.